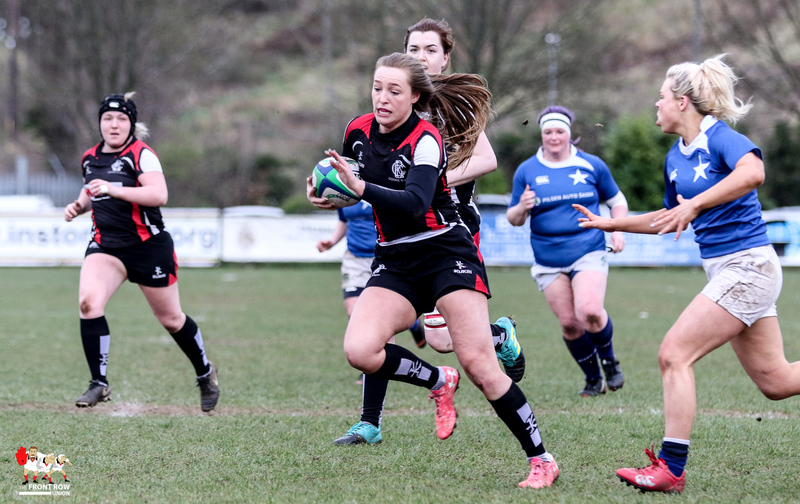 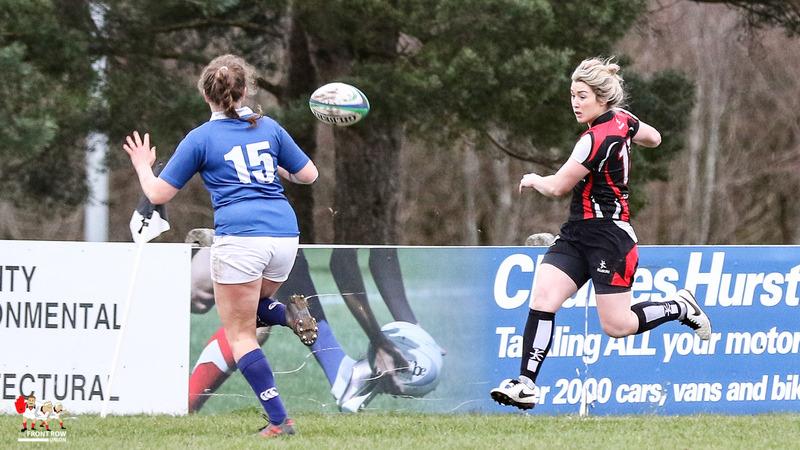 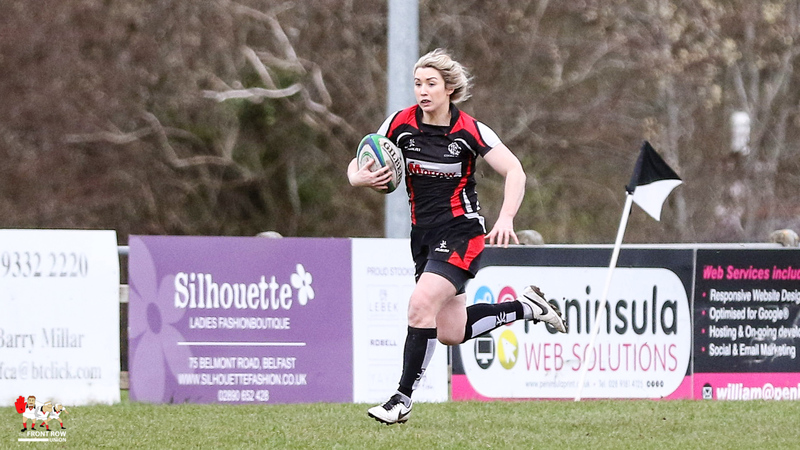 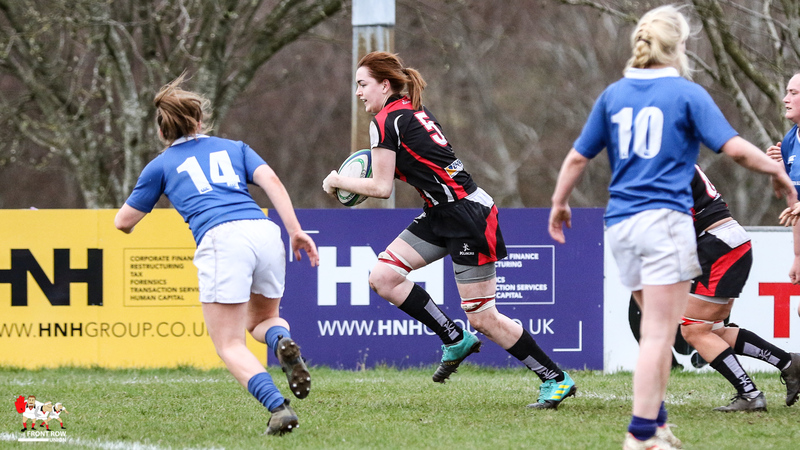 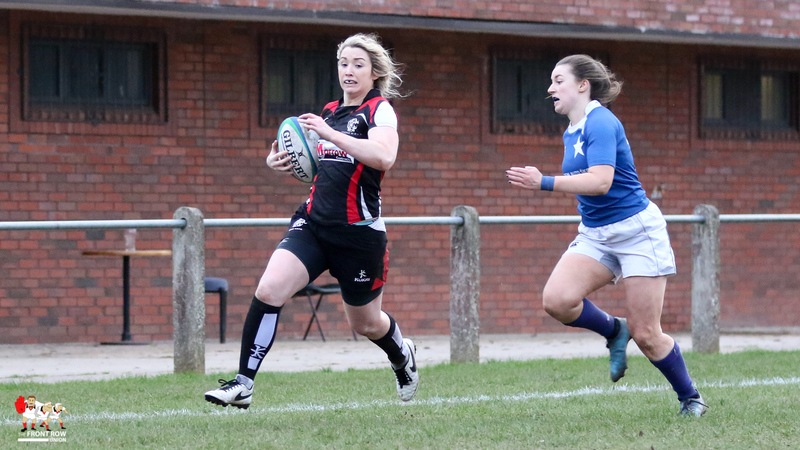 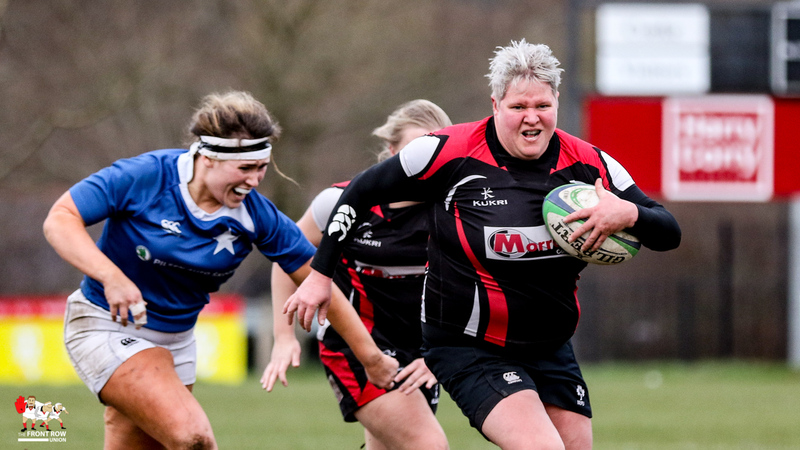 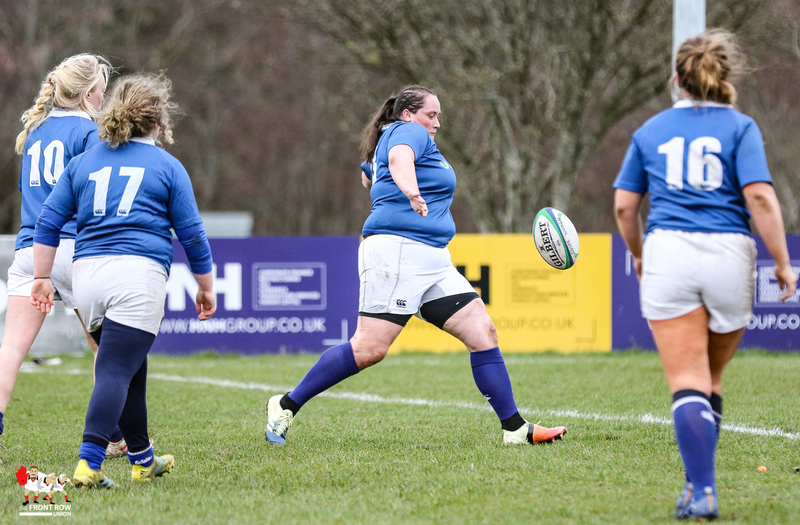 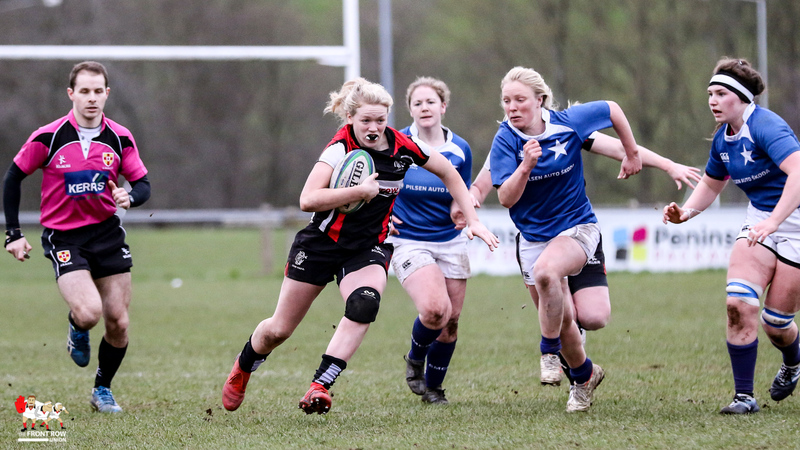 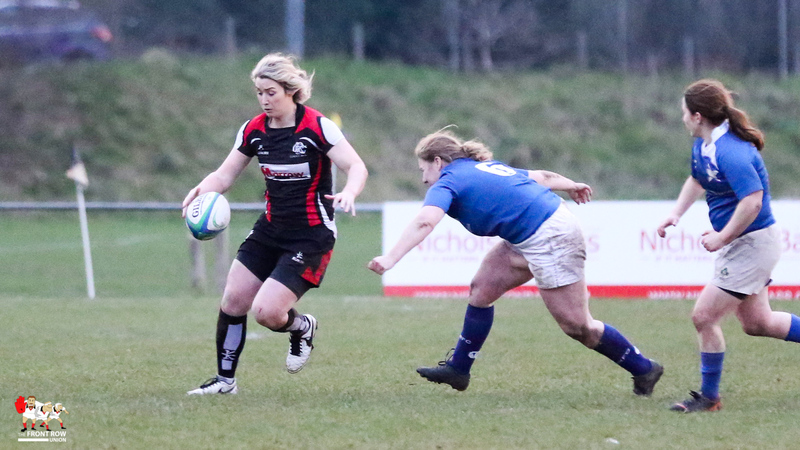 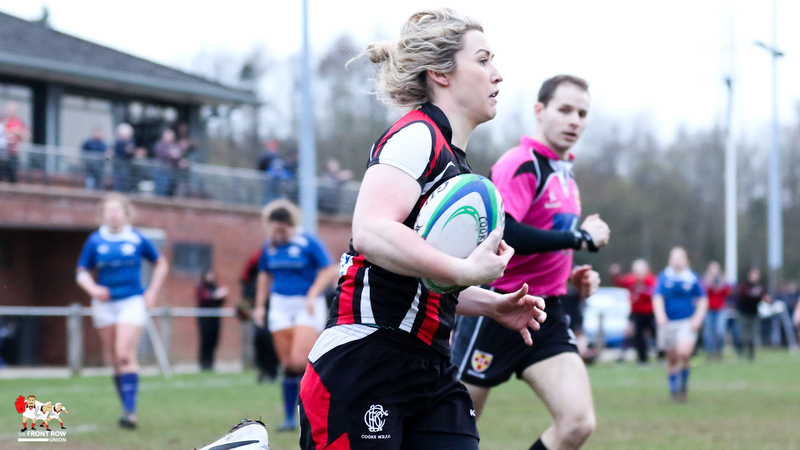 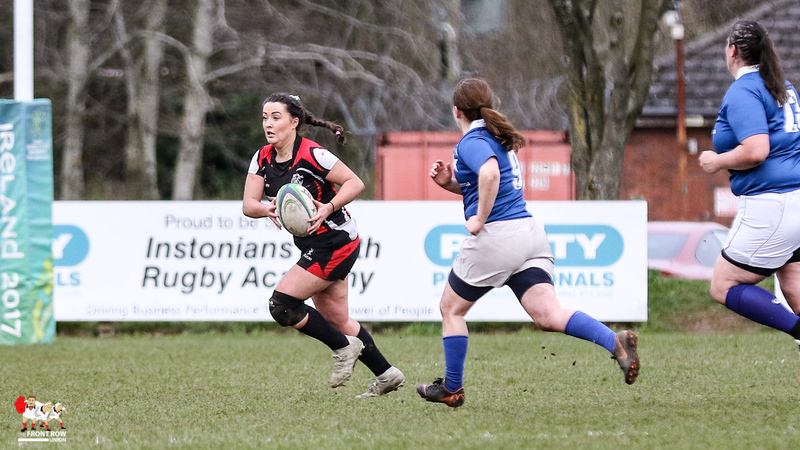 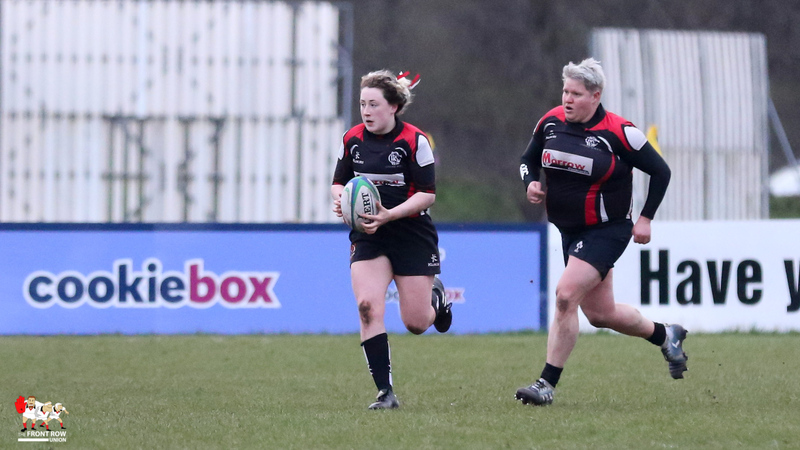 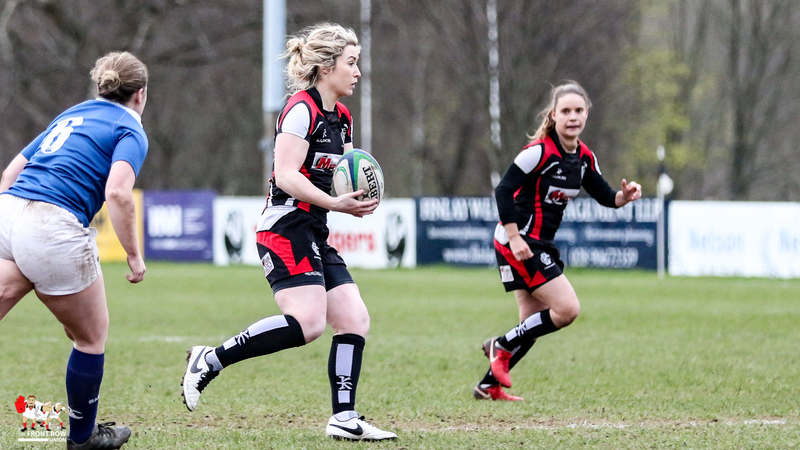 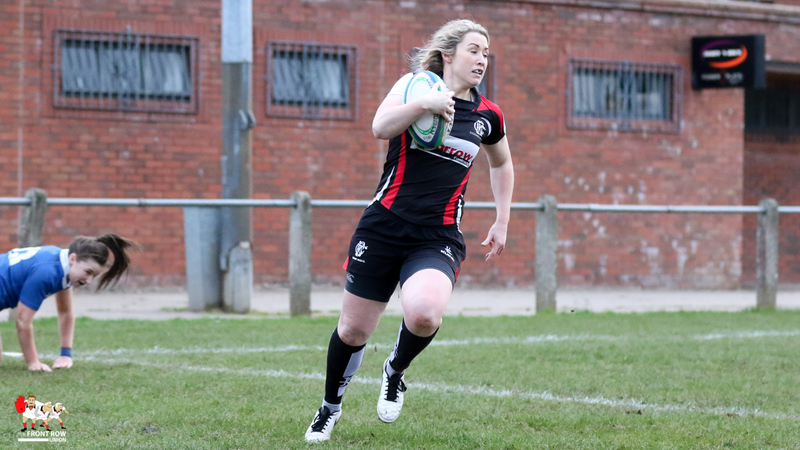 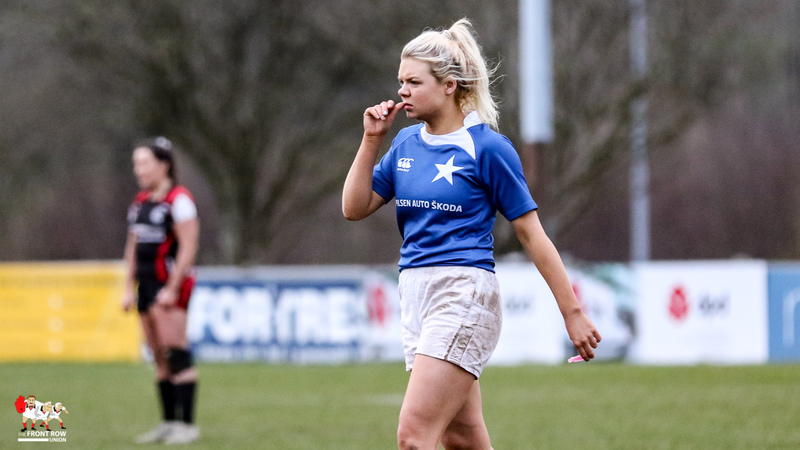 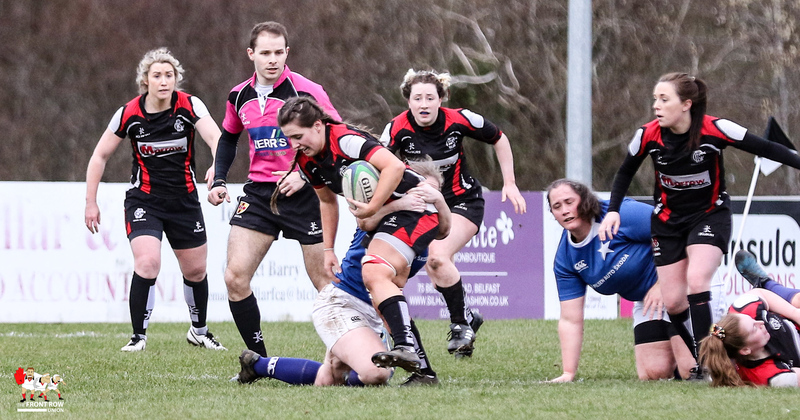 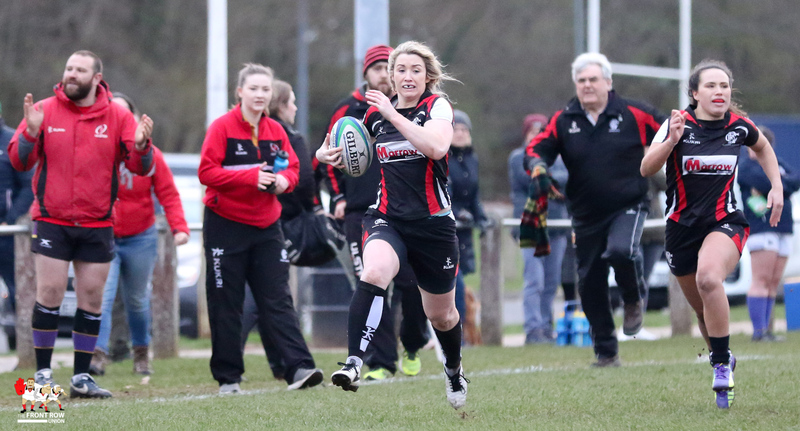 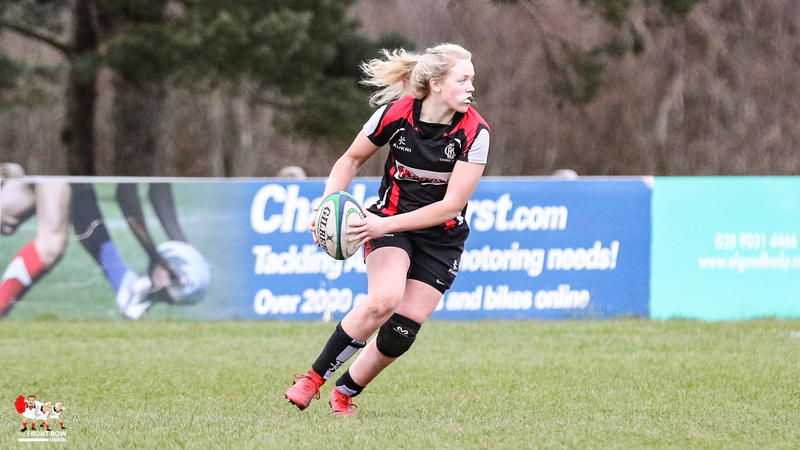 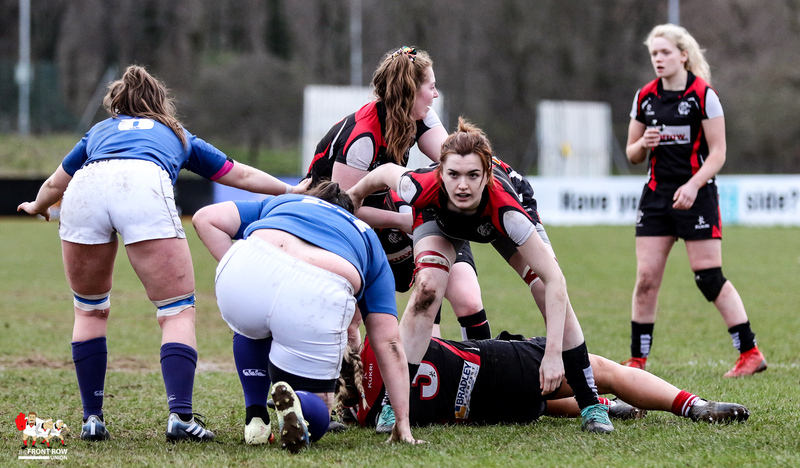 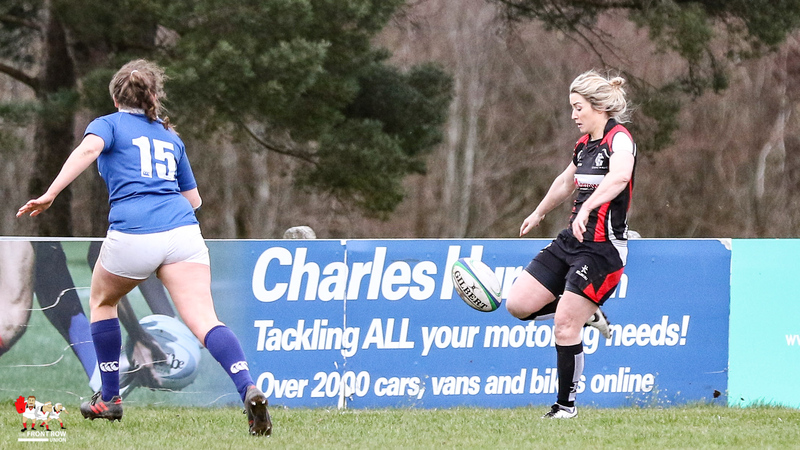 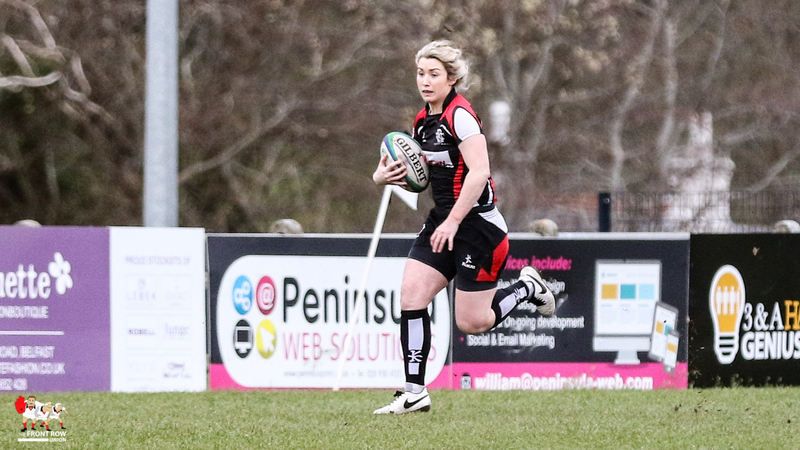 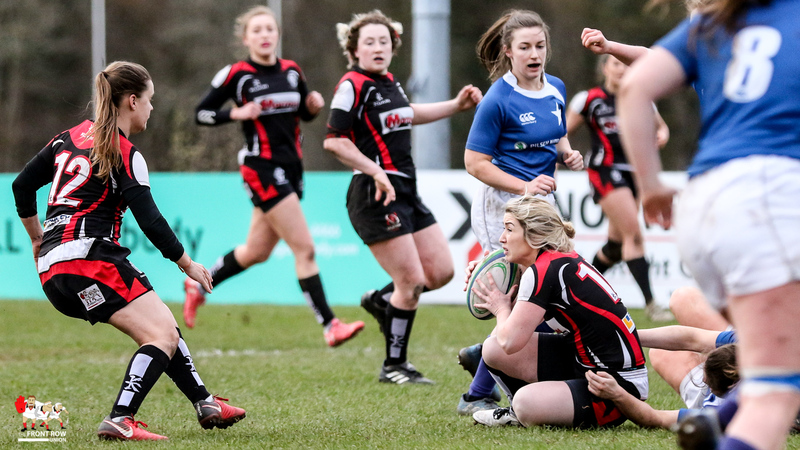 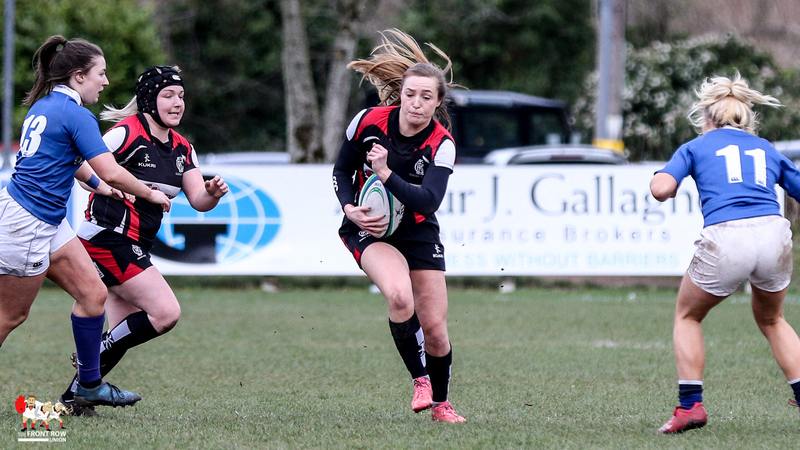 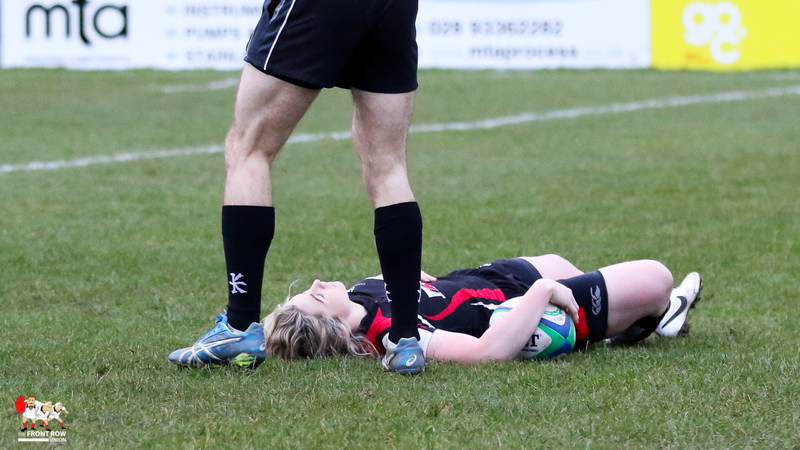 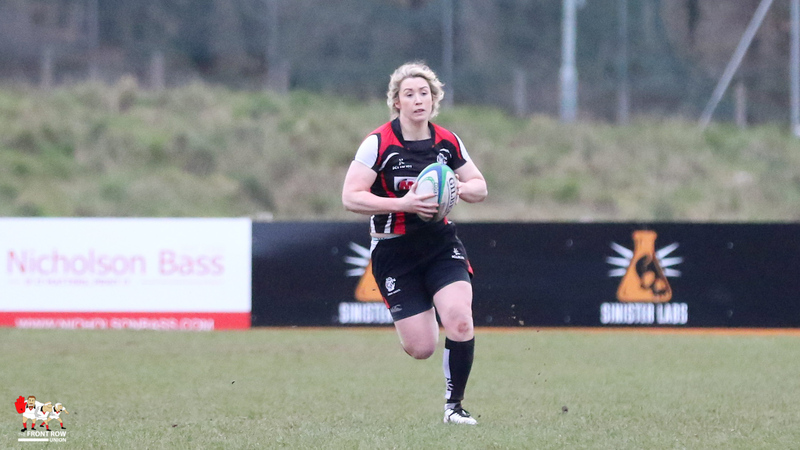 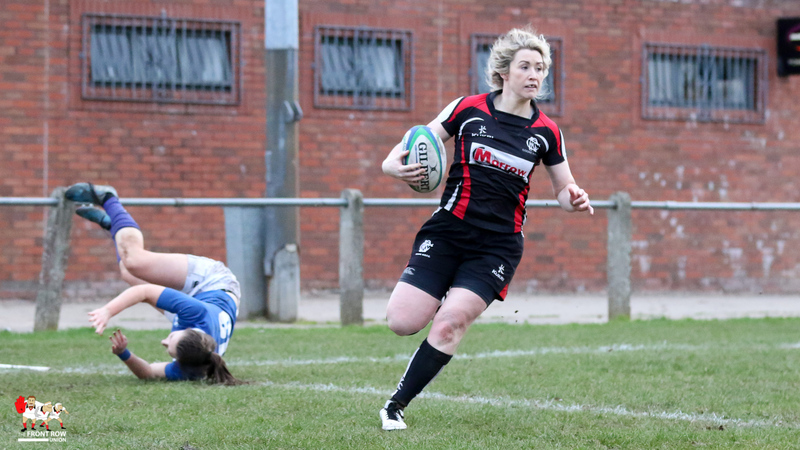 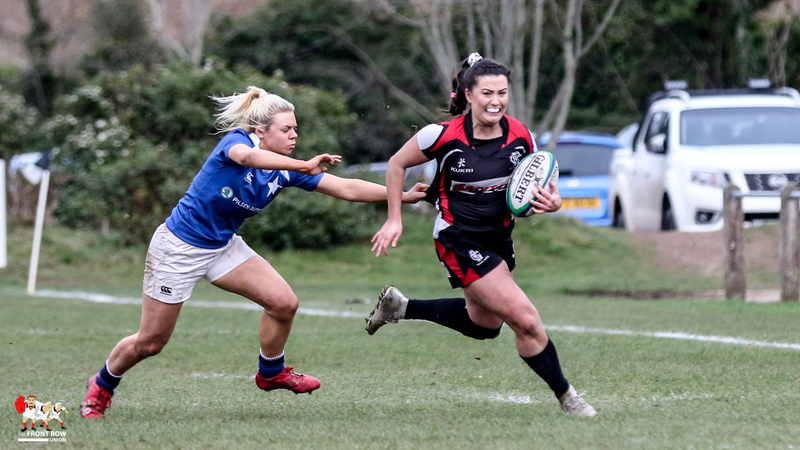 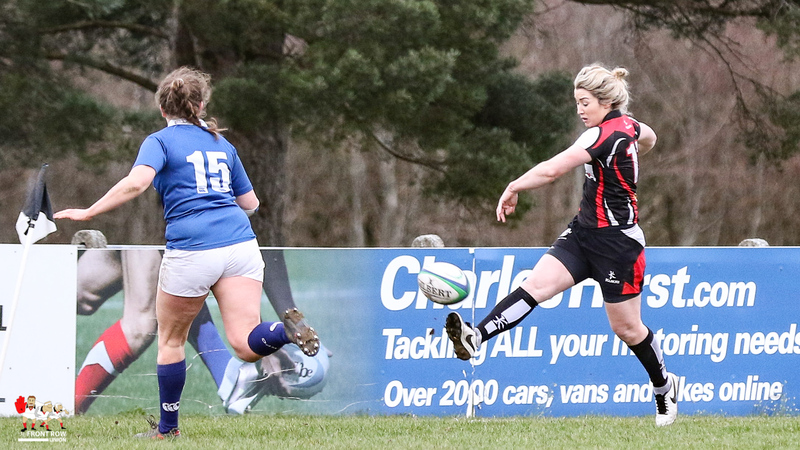 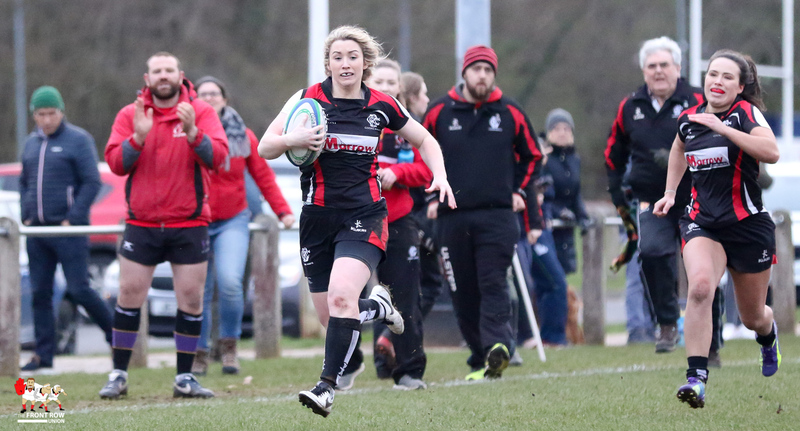 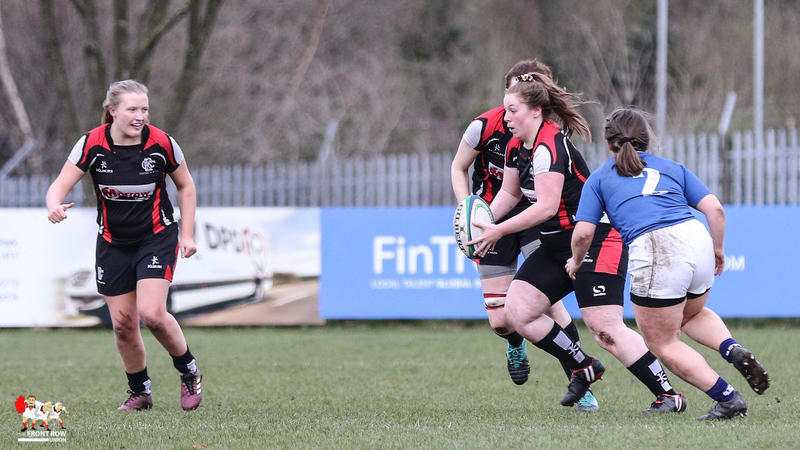 Try scorer Naomi McCullagh had an impressive game for Cooke. 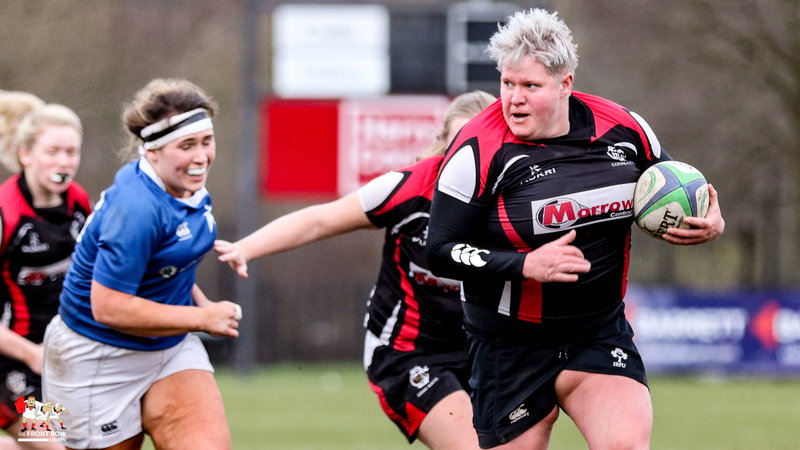 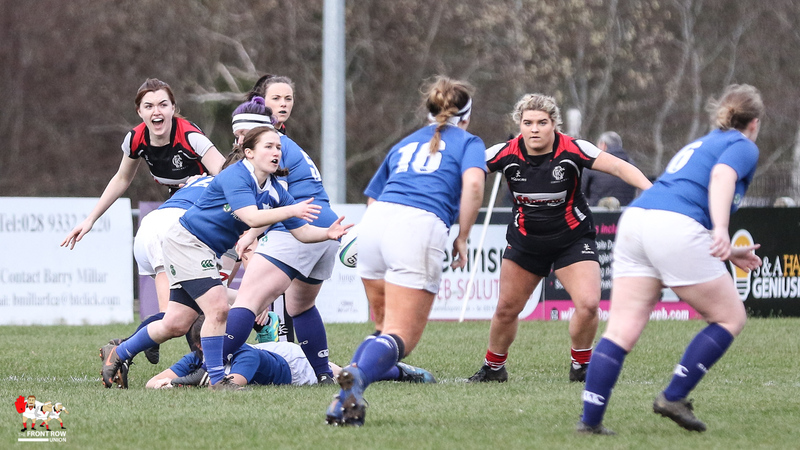 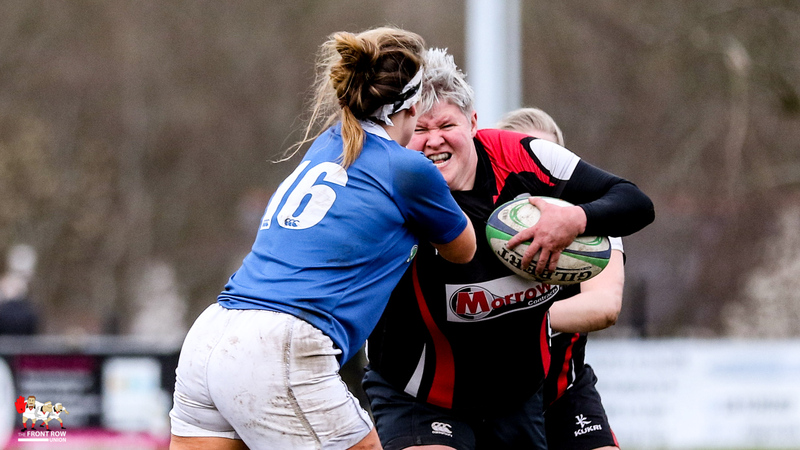 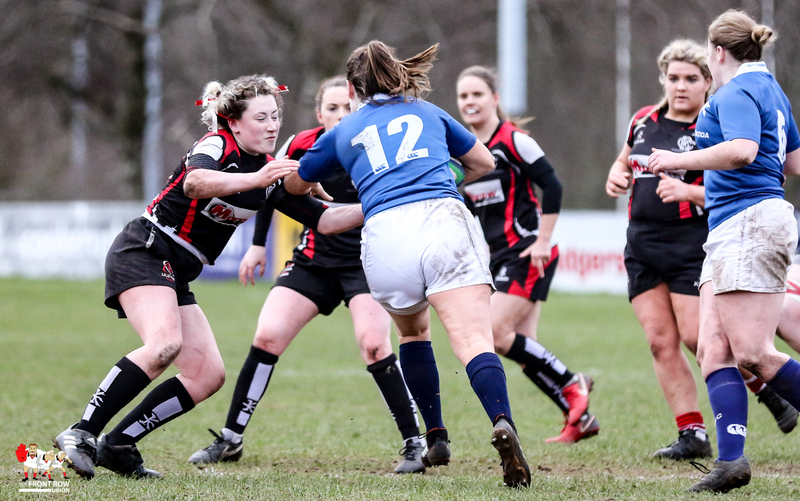 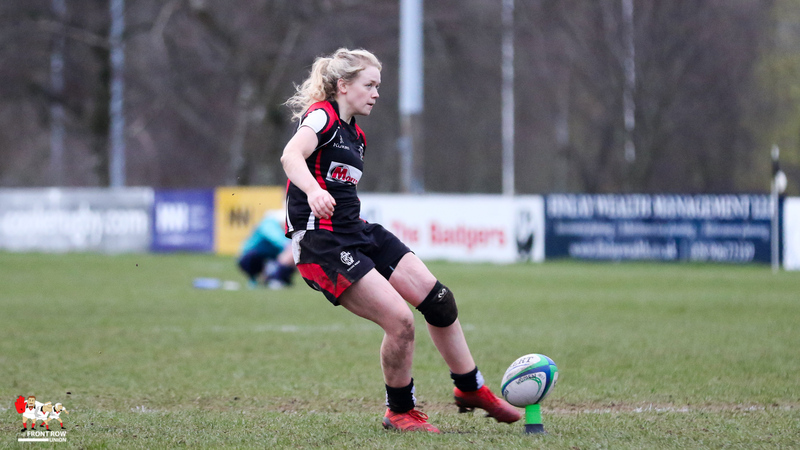 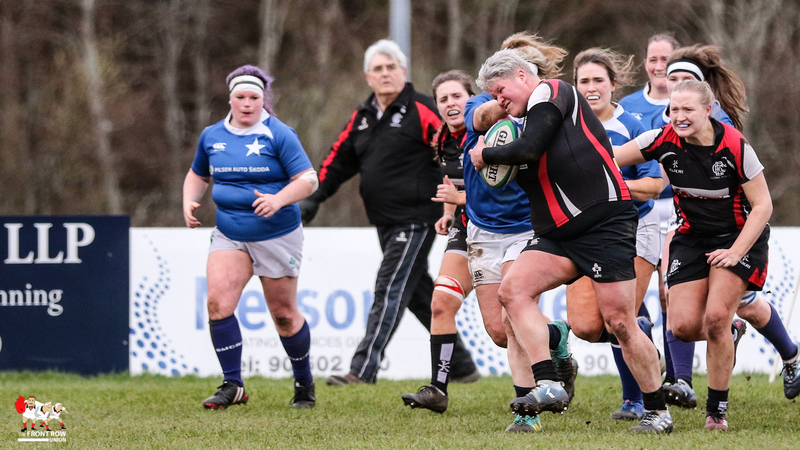 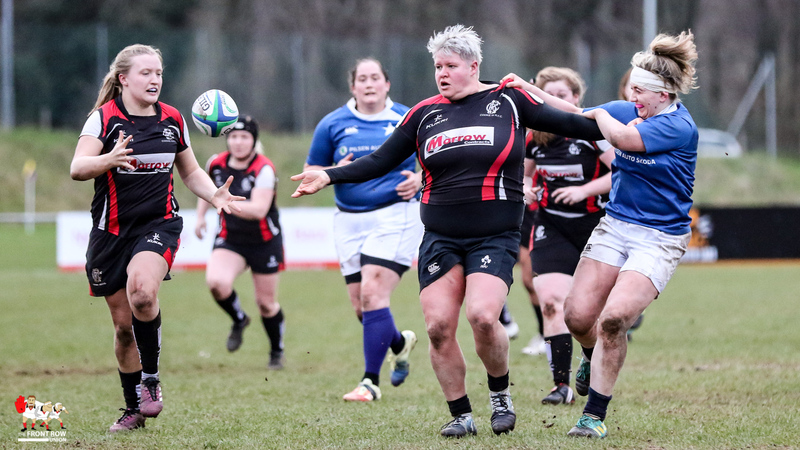 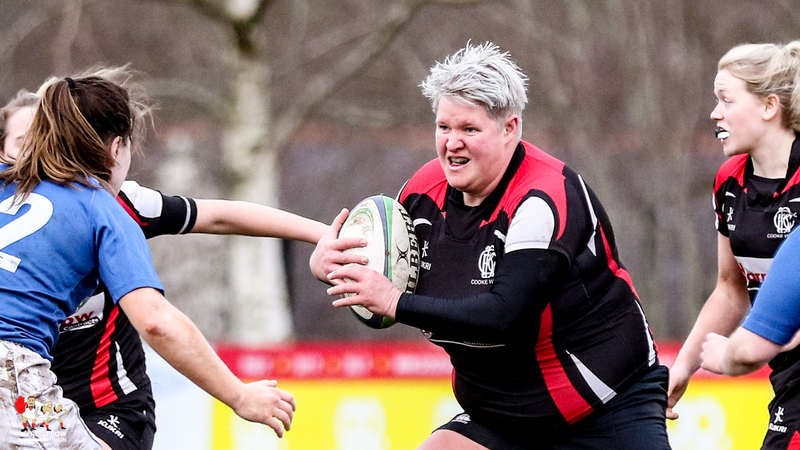 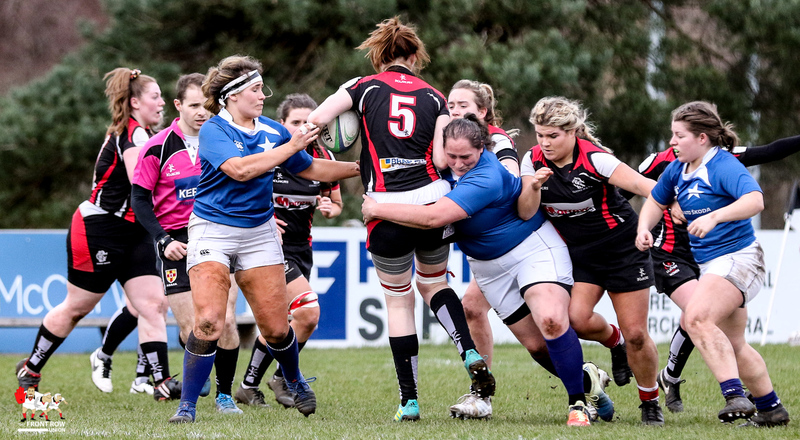 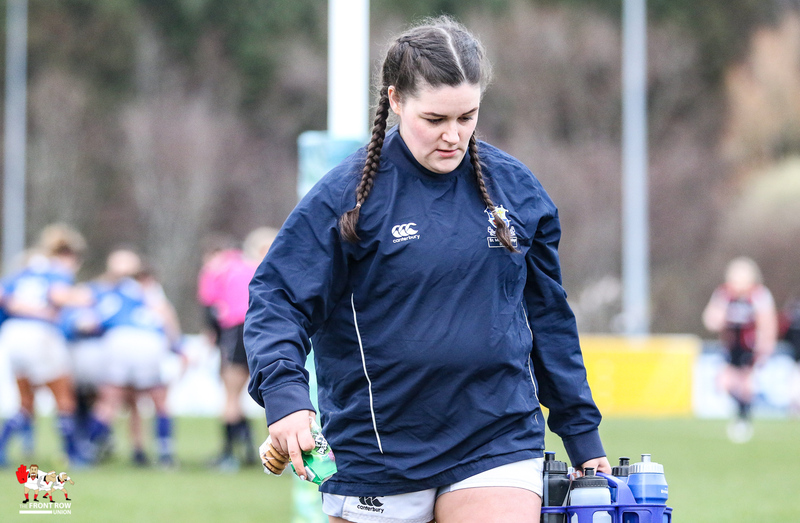 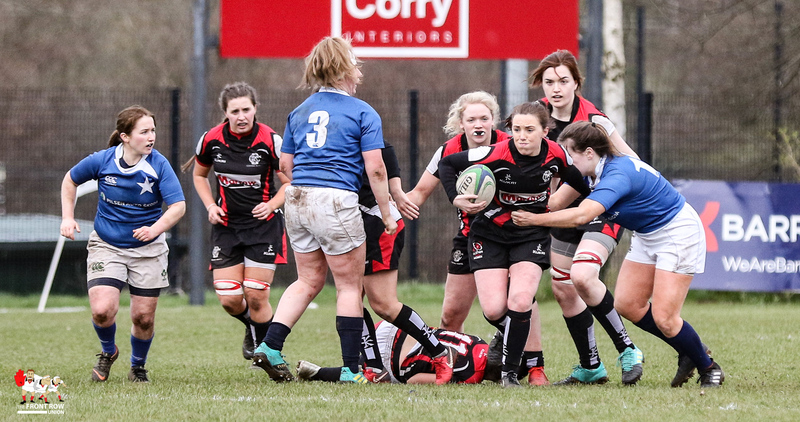 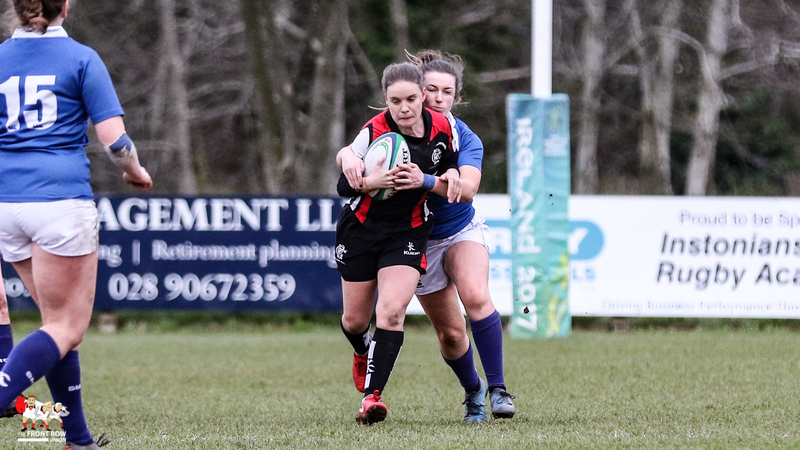 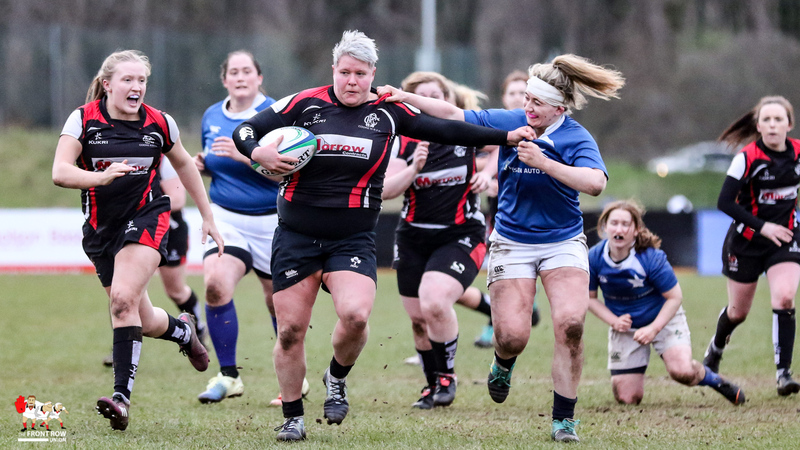 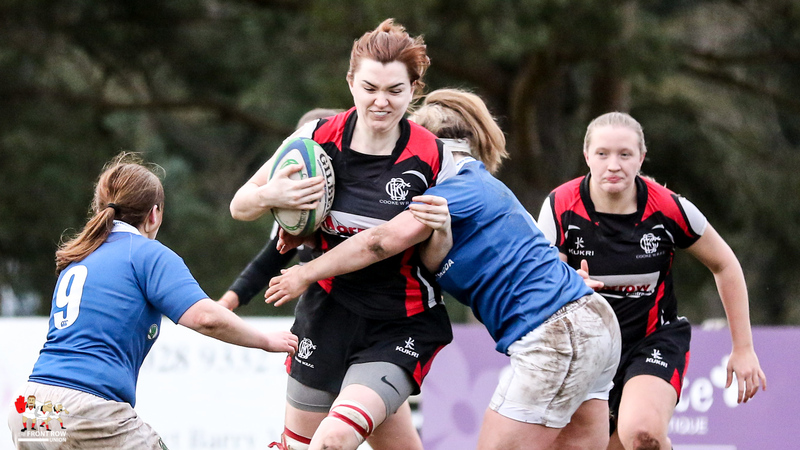 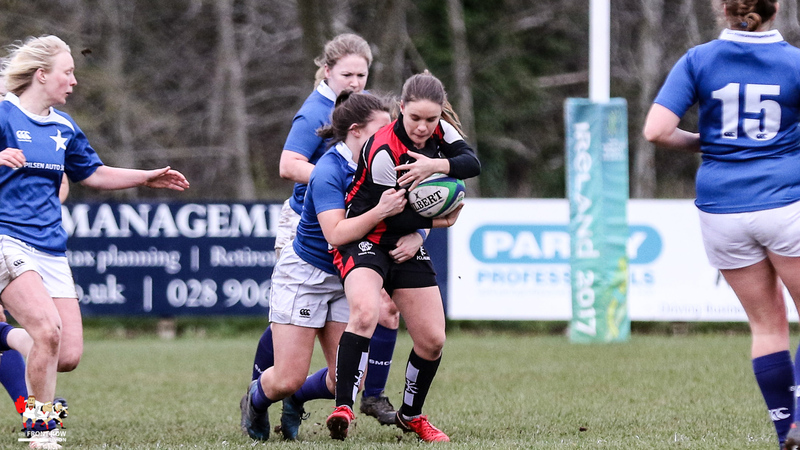 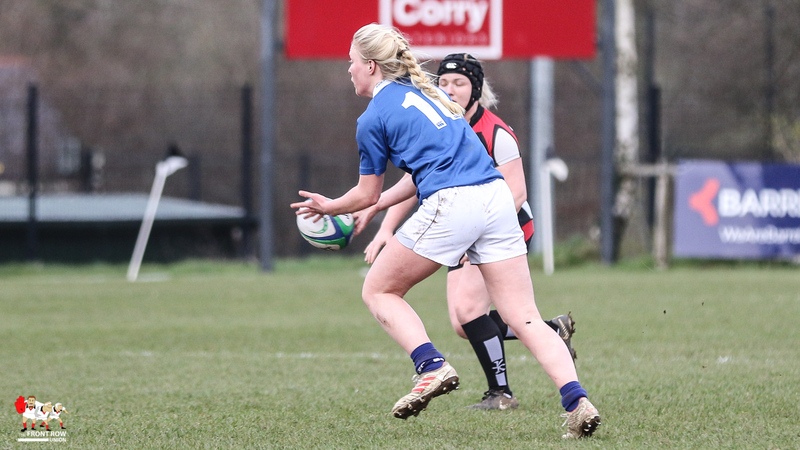 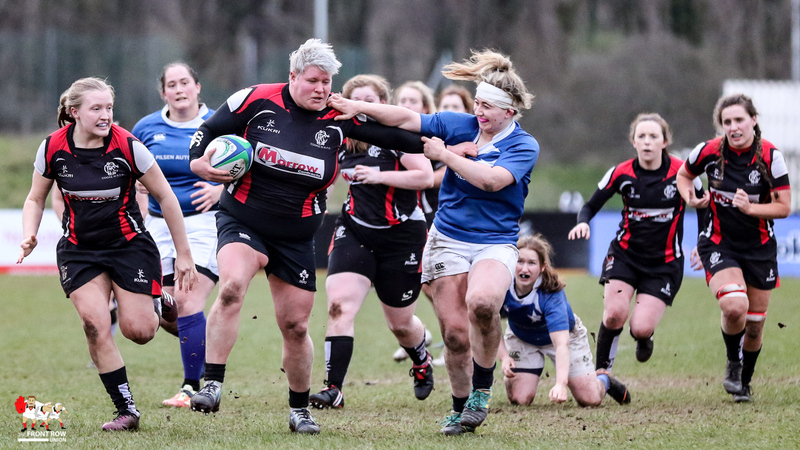 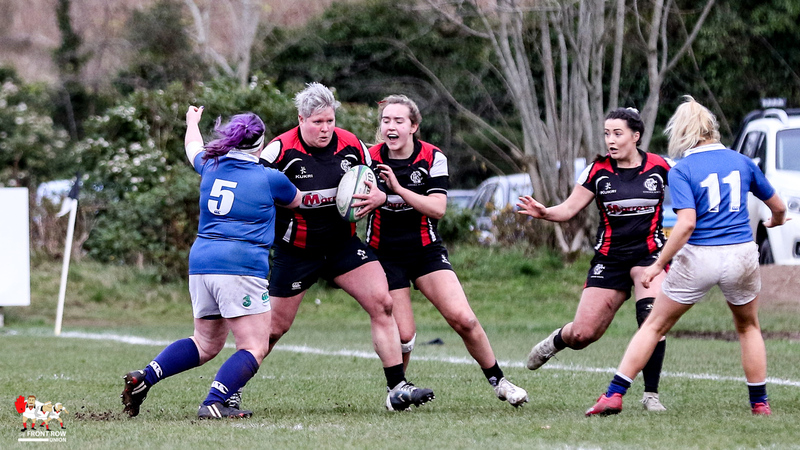 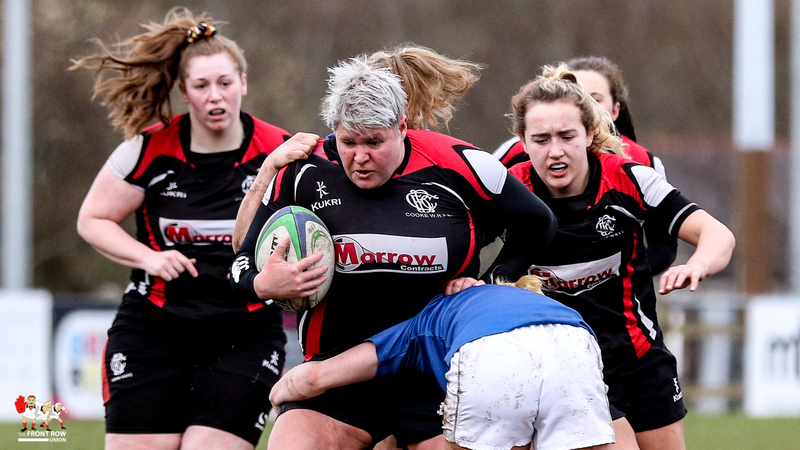 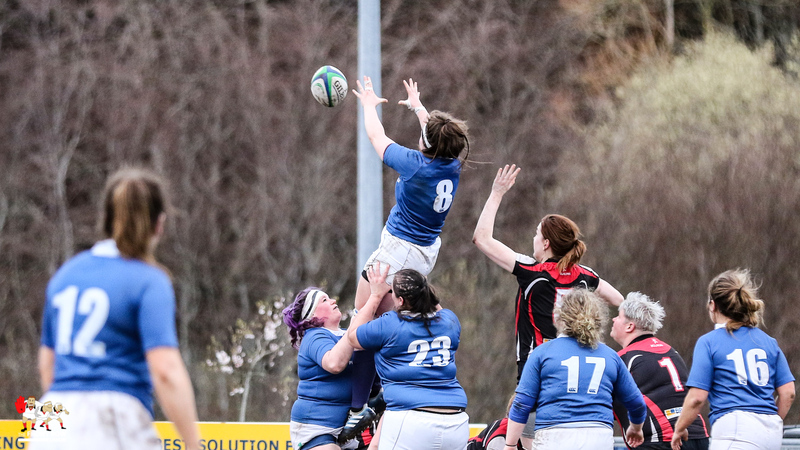 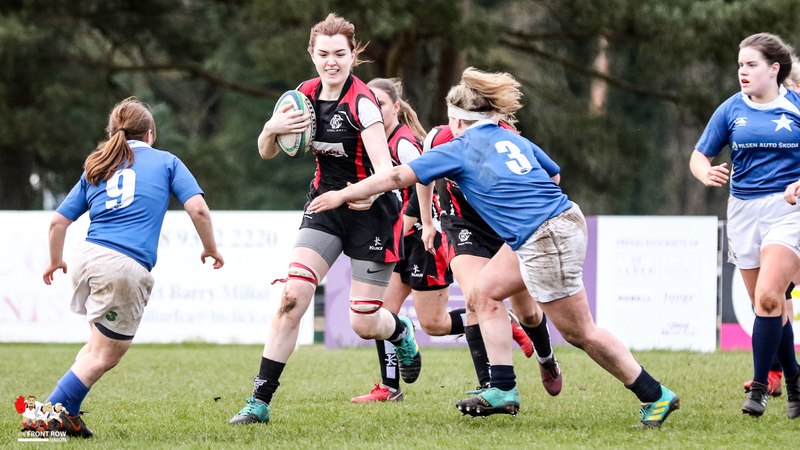 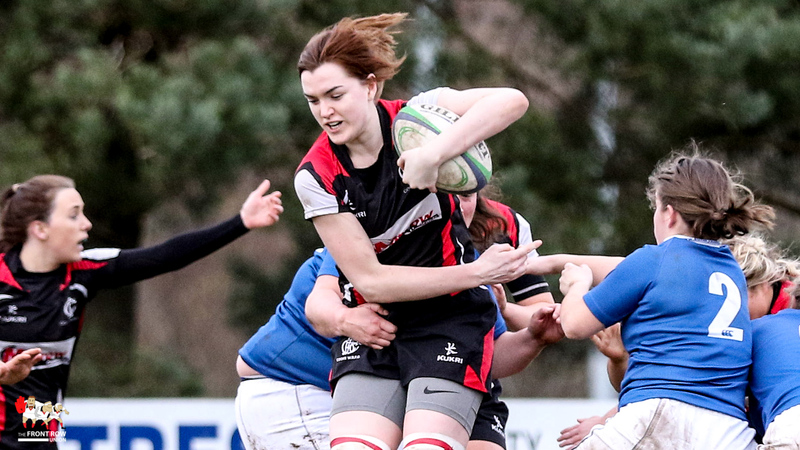 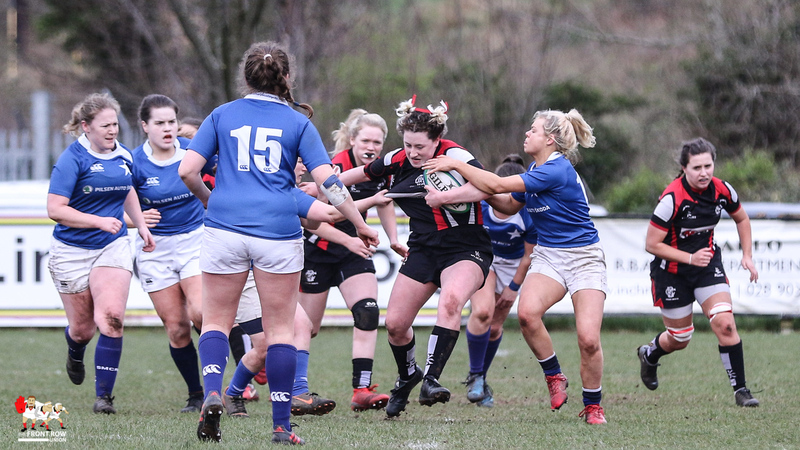 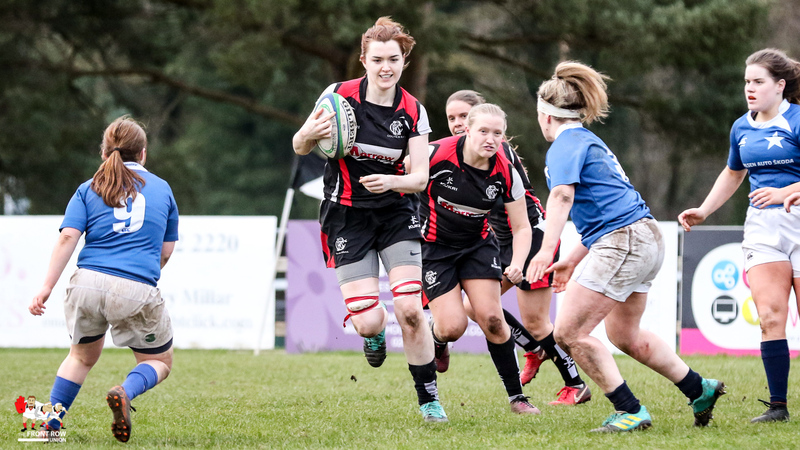 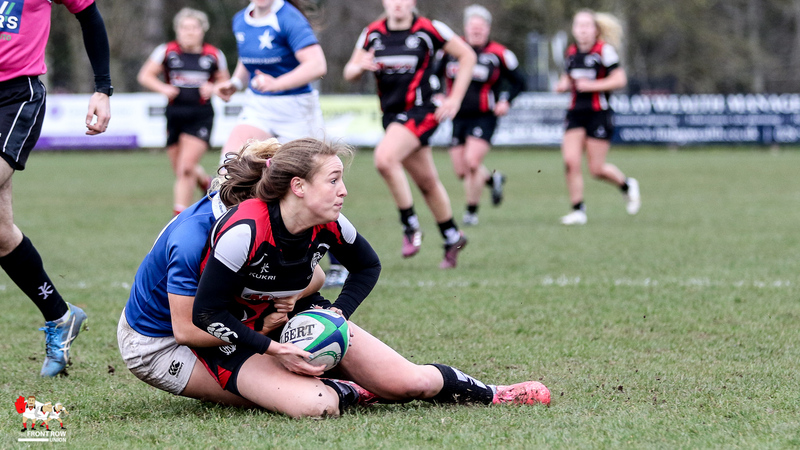 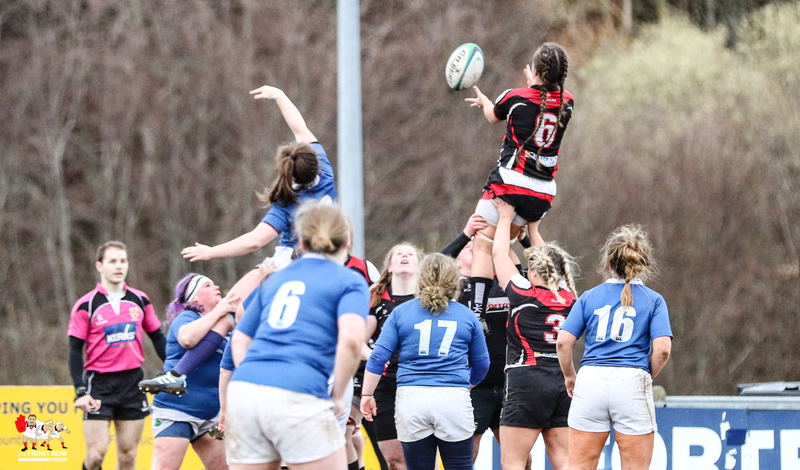 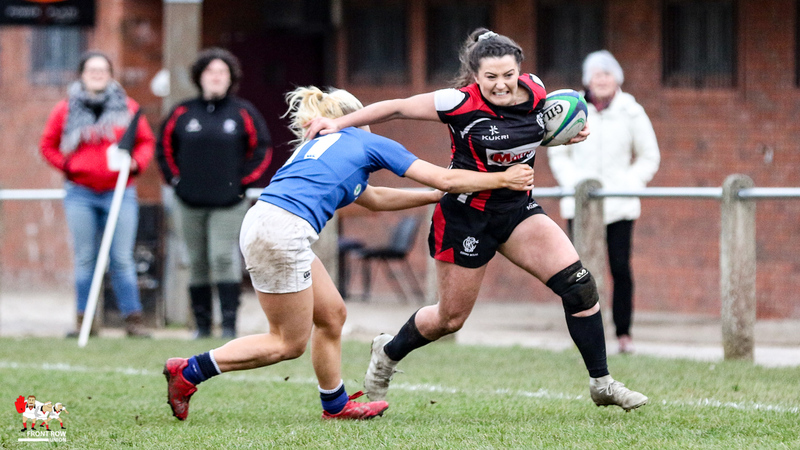 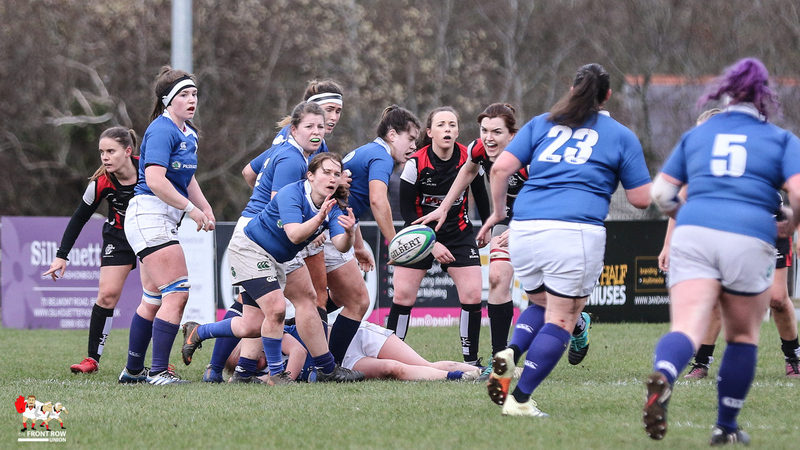 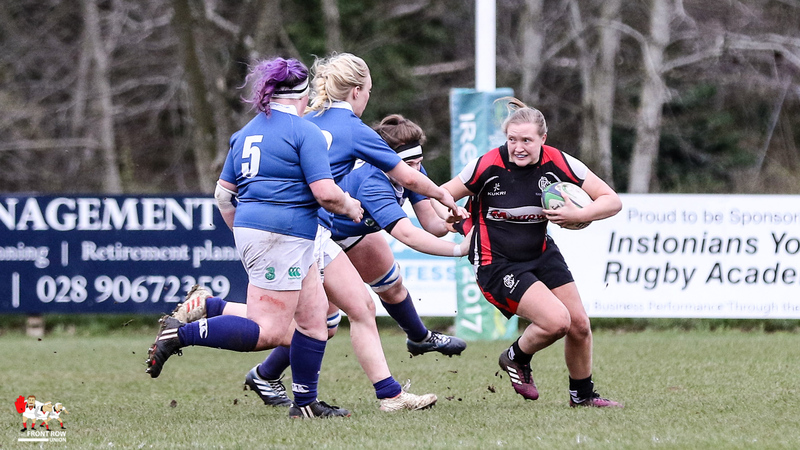 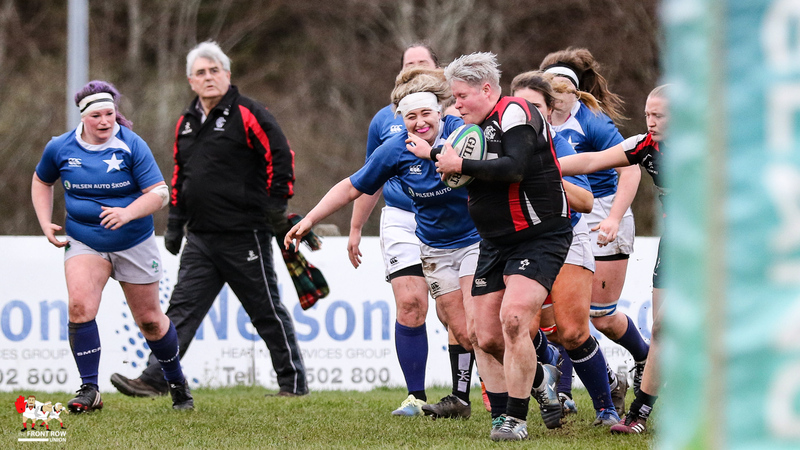 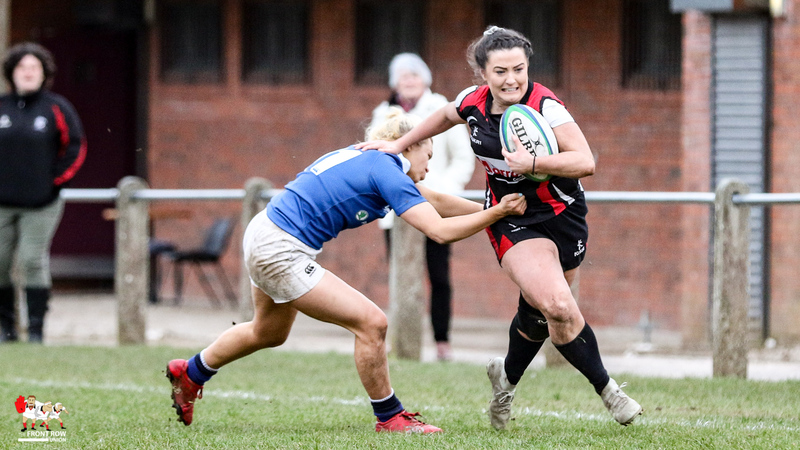 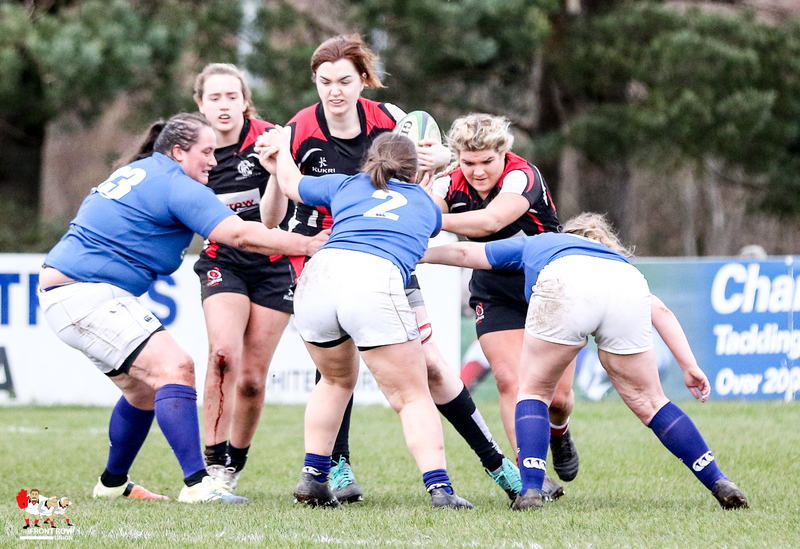 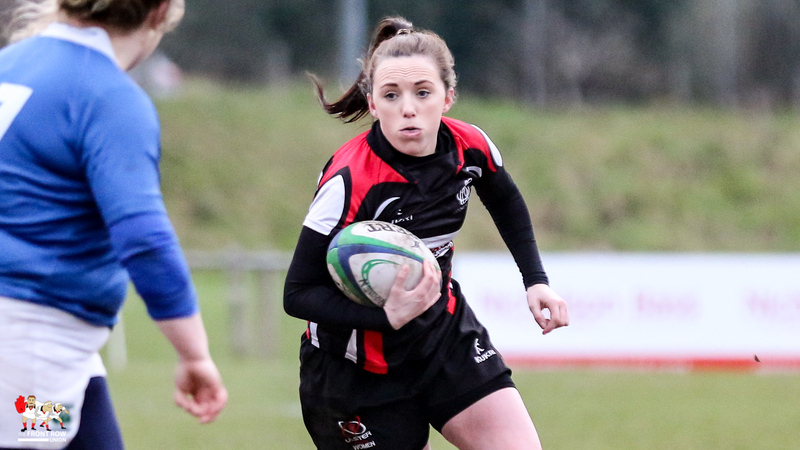 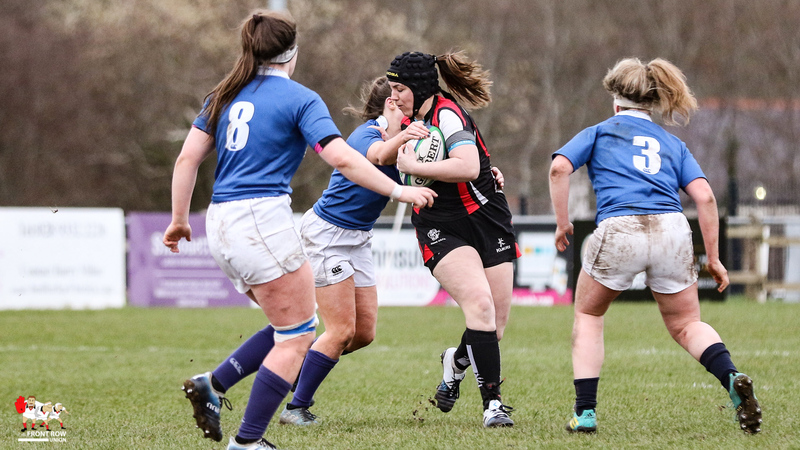 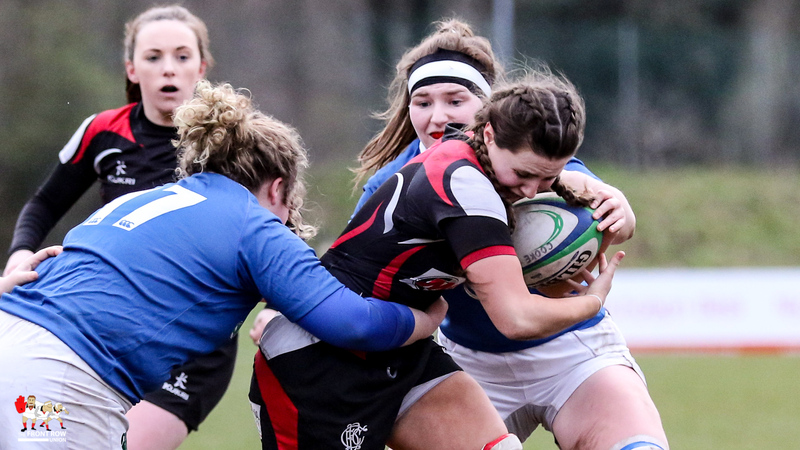 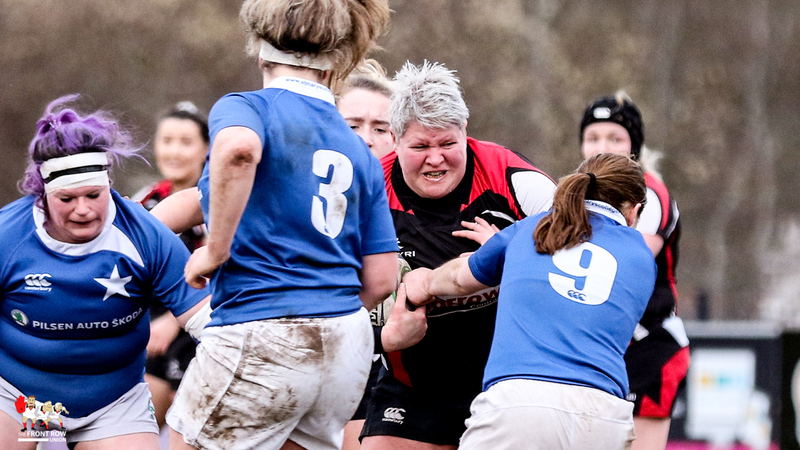 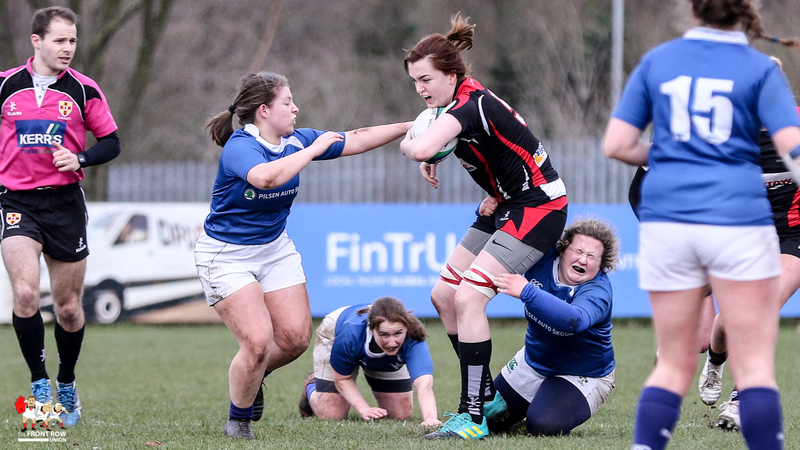 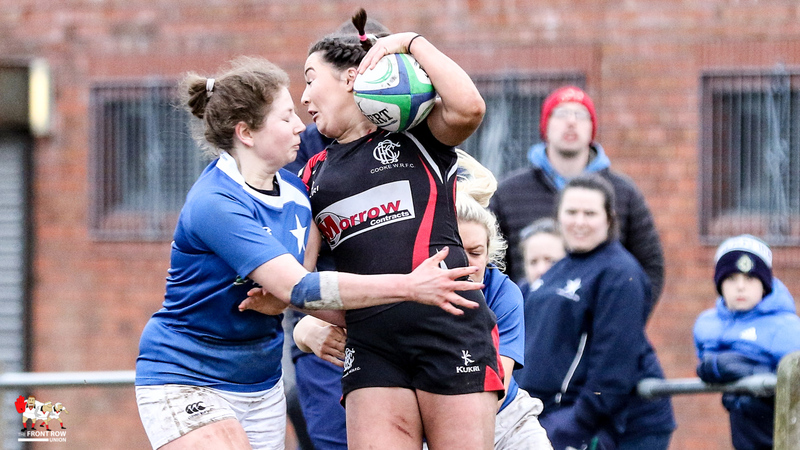 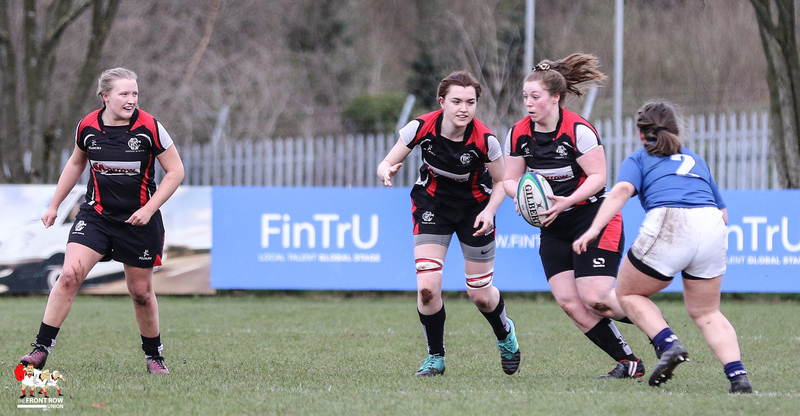 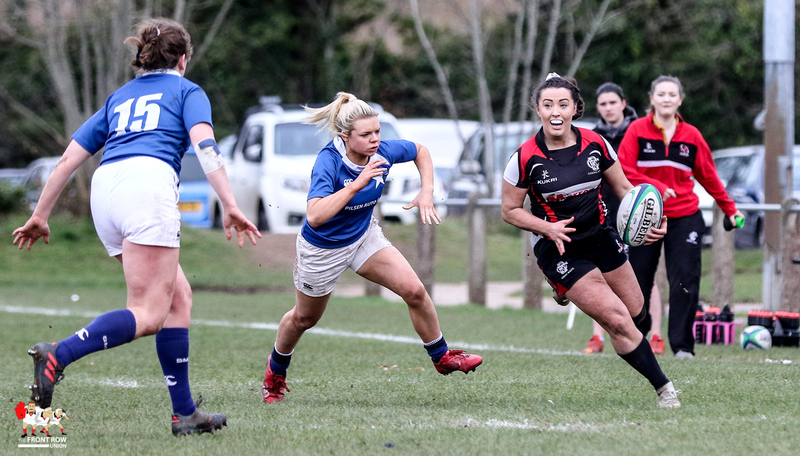 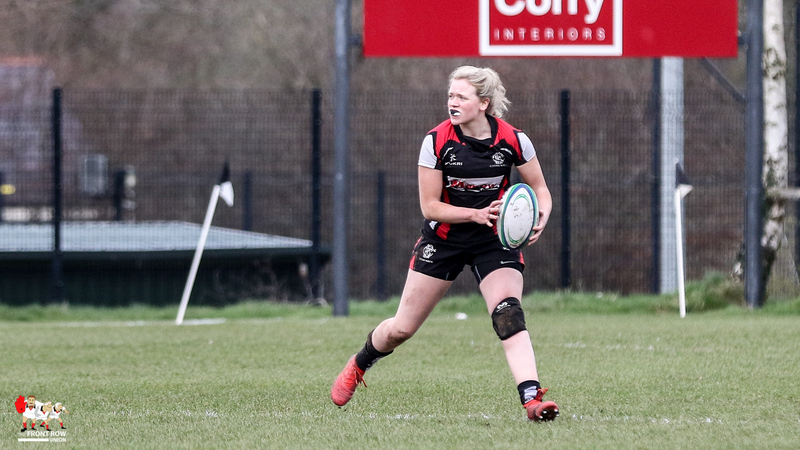 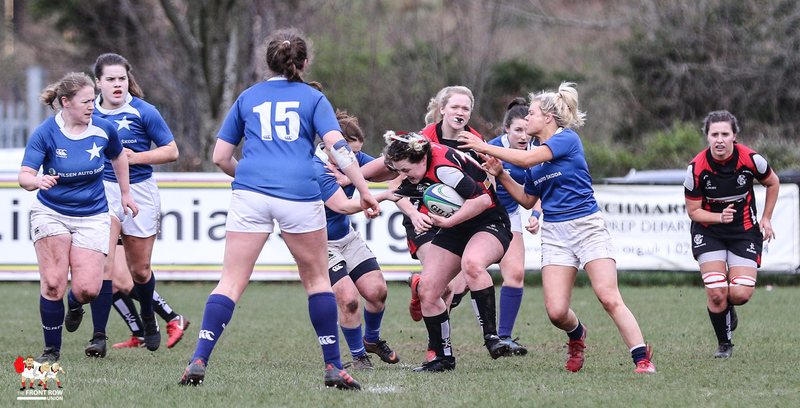 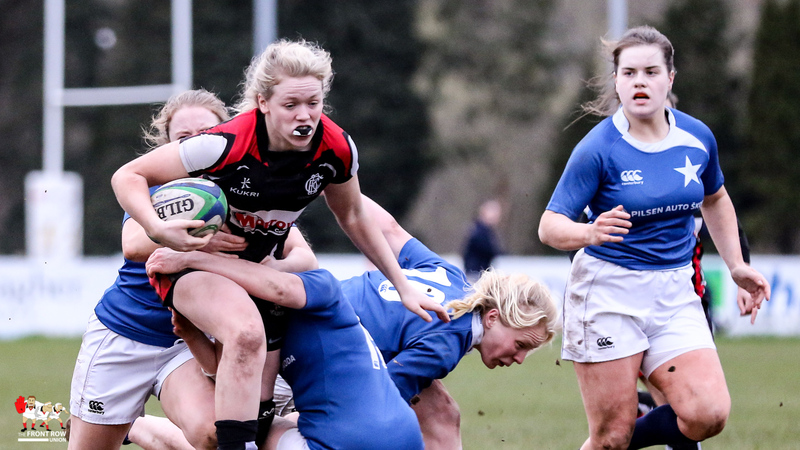 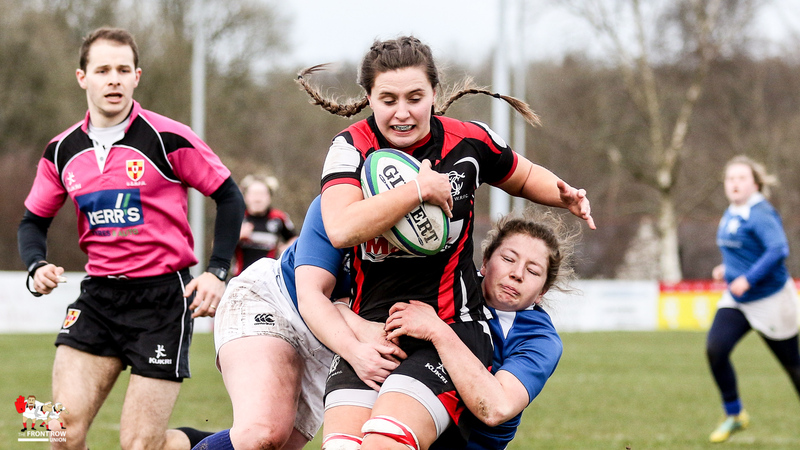 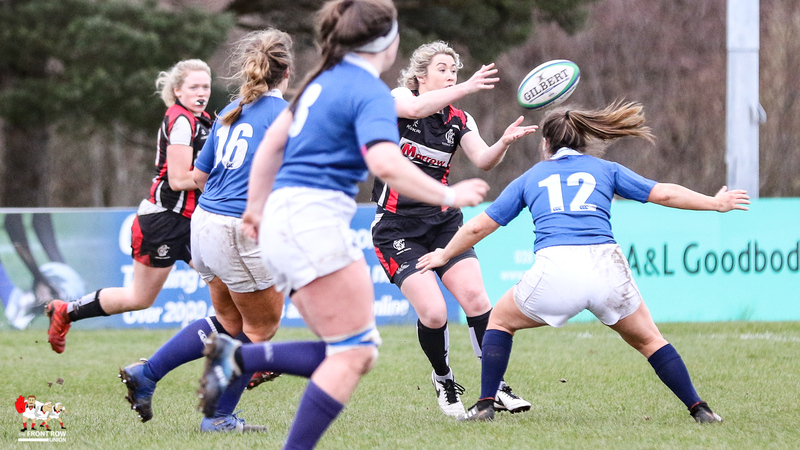 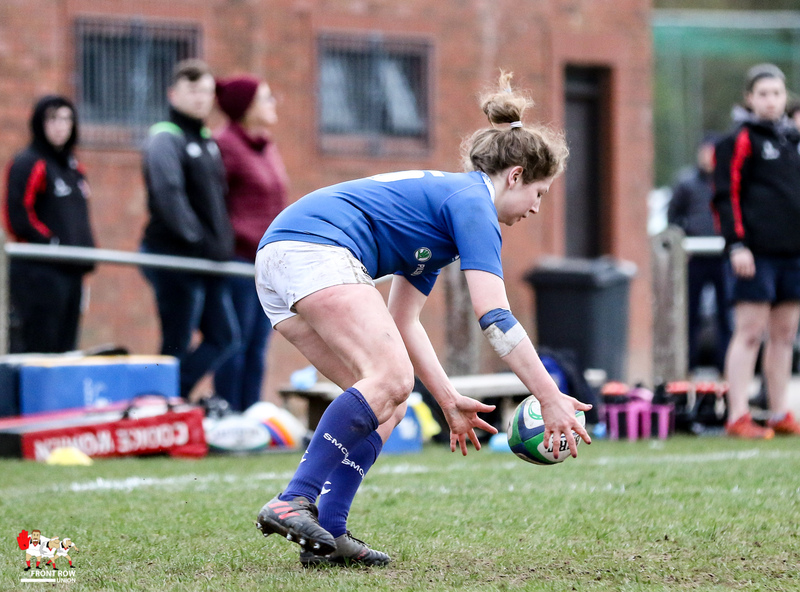 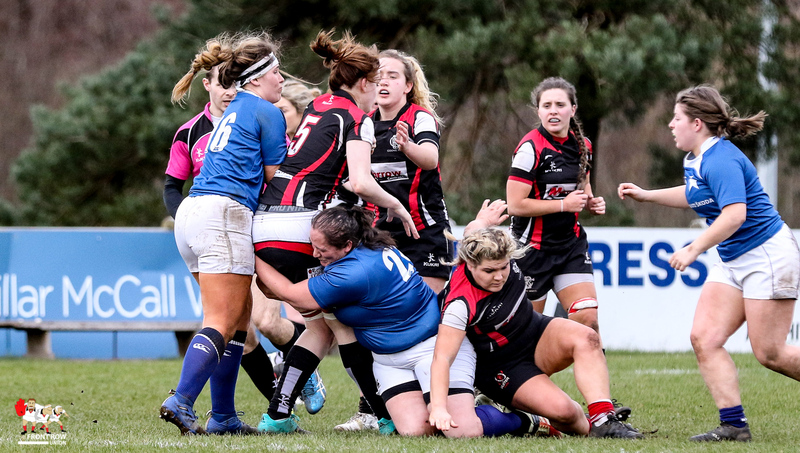 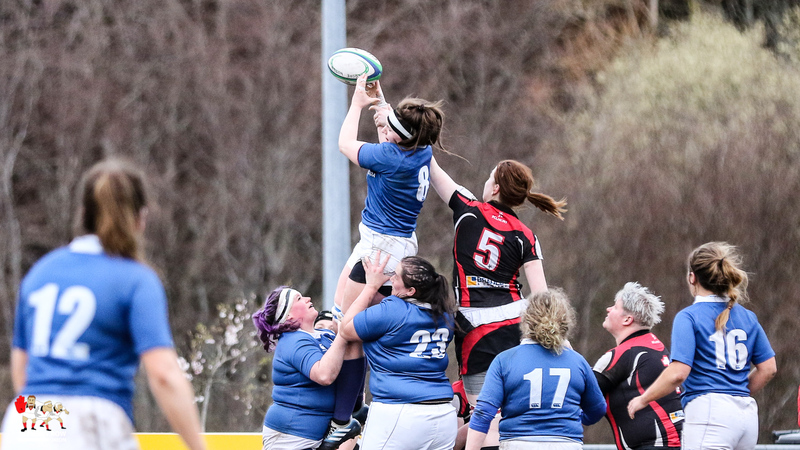 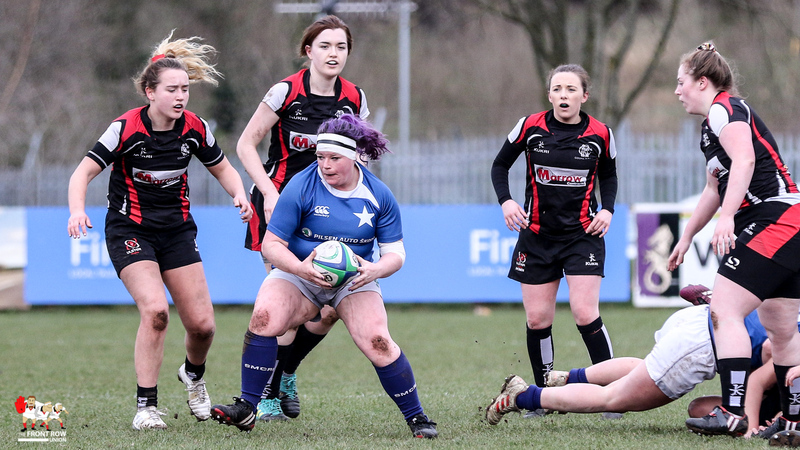 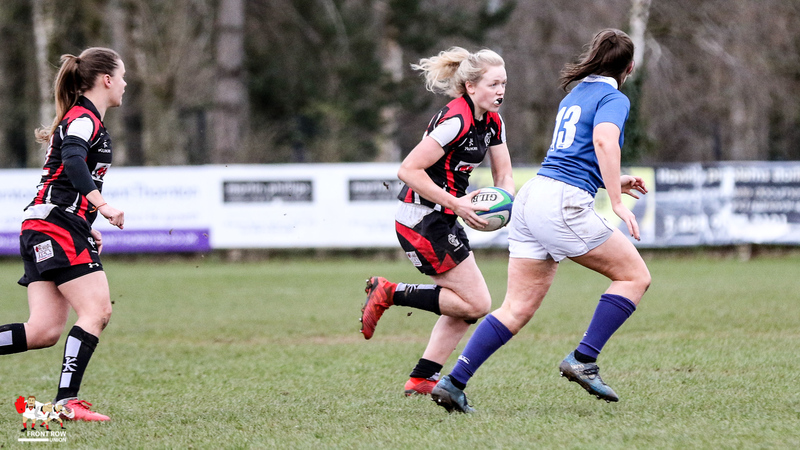 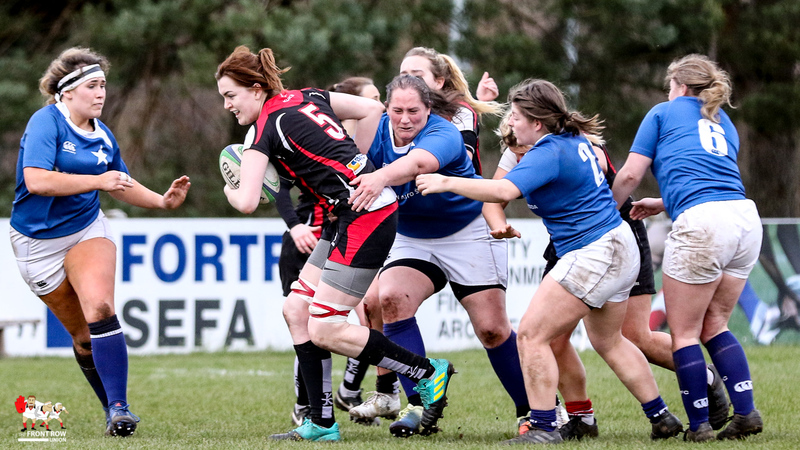 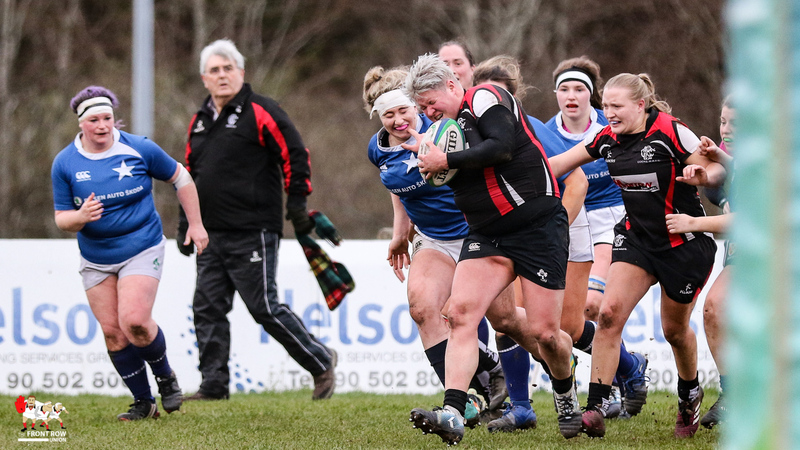 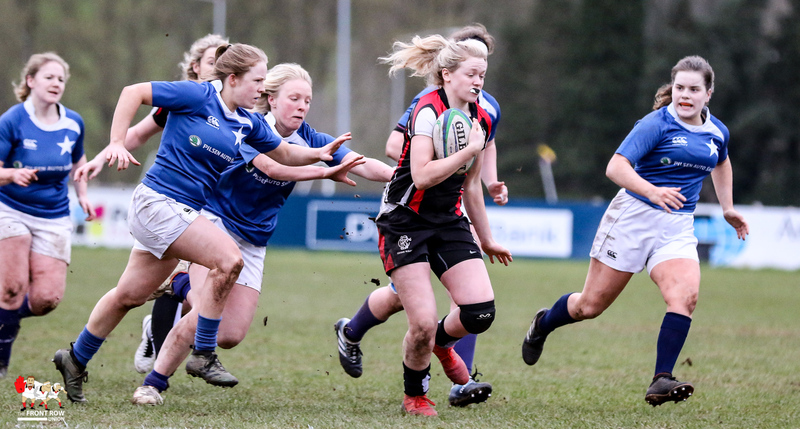 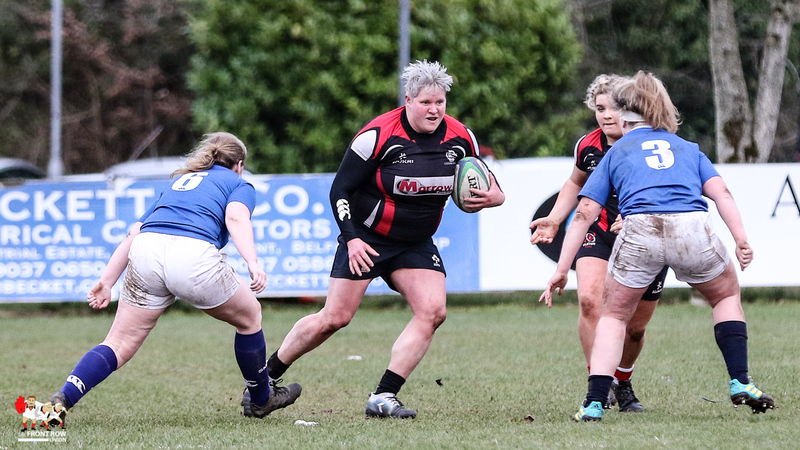 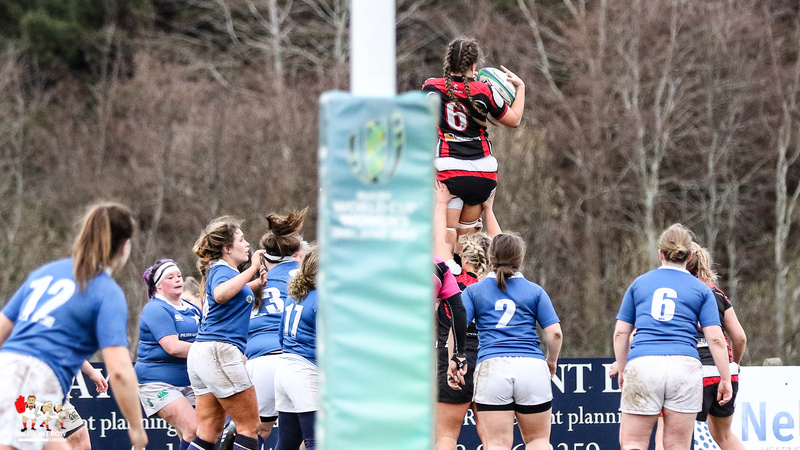 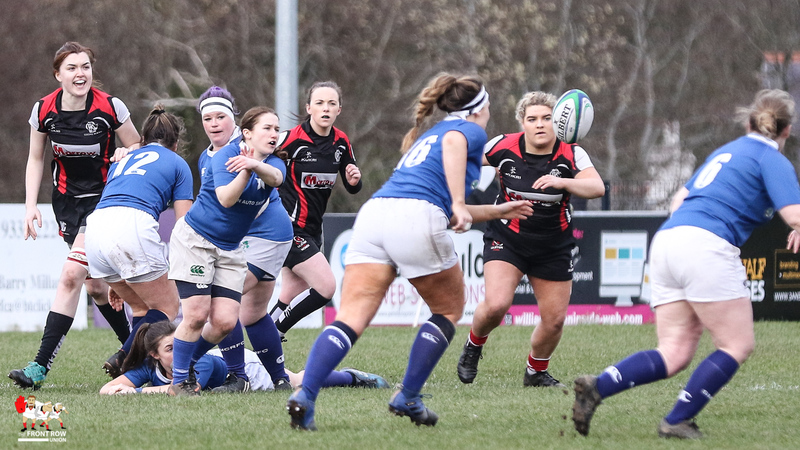 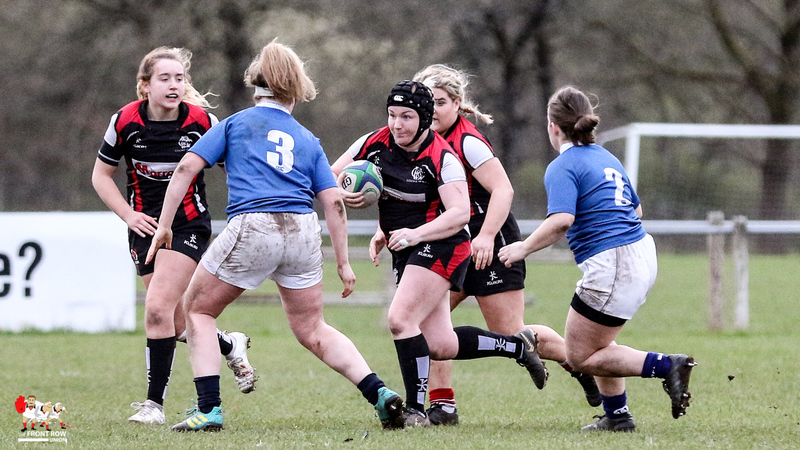 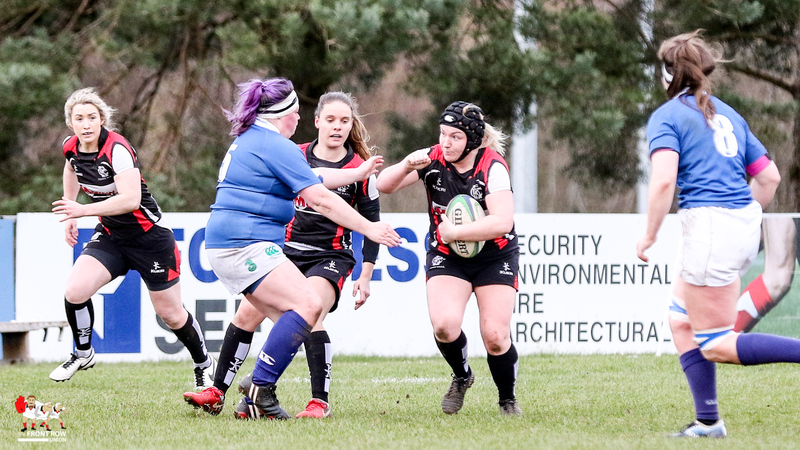 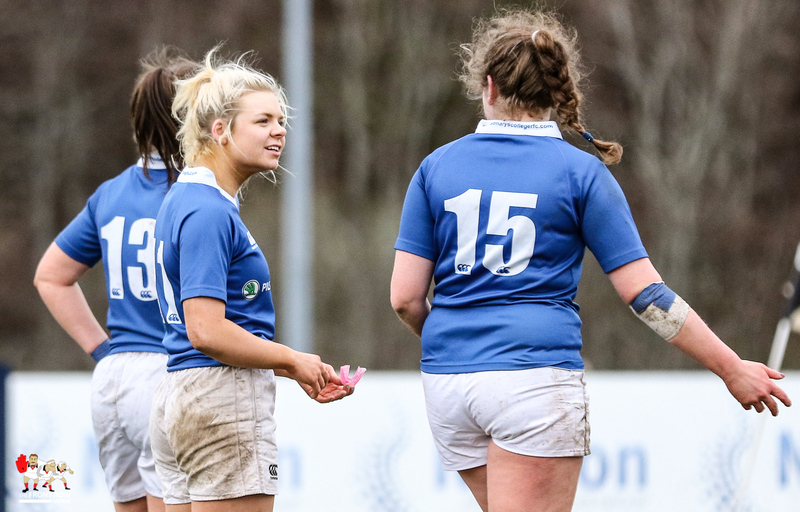 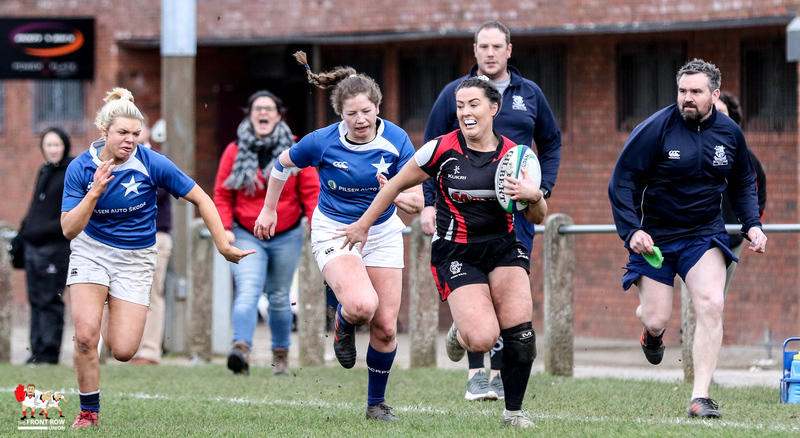 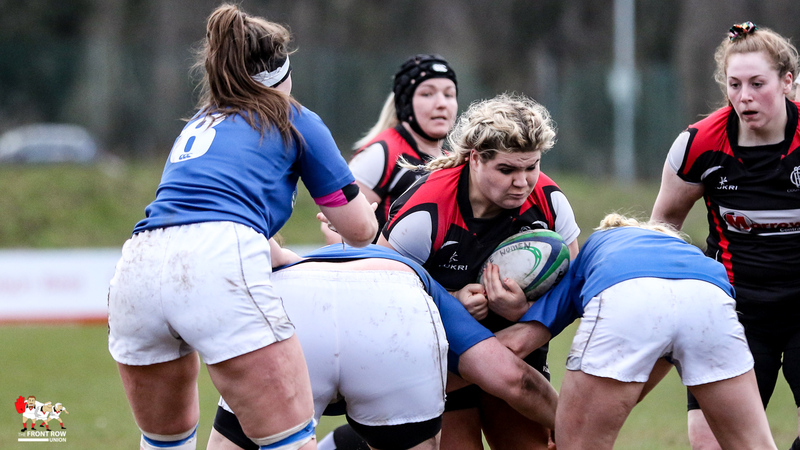 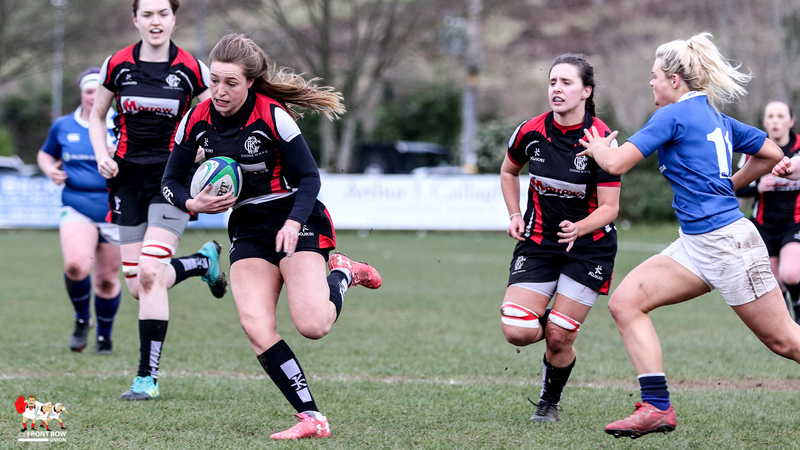 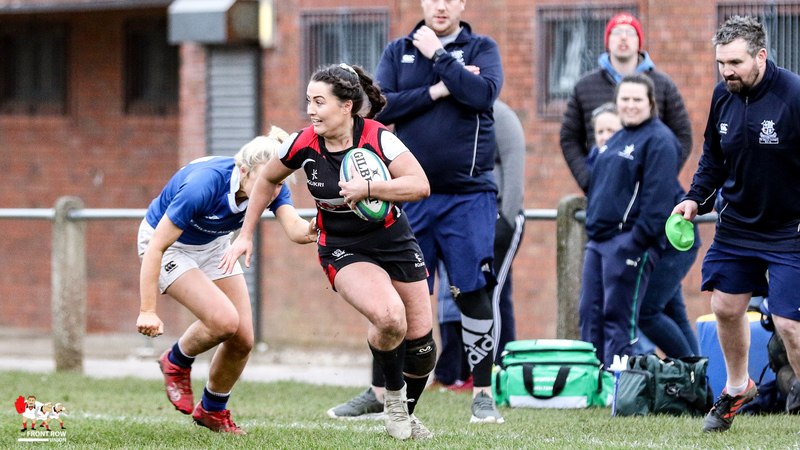 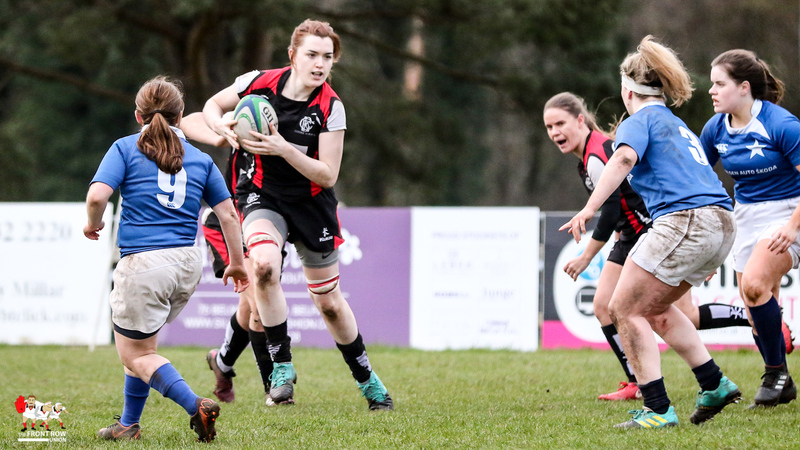 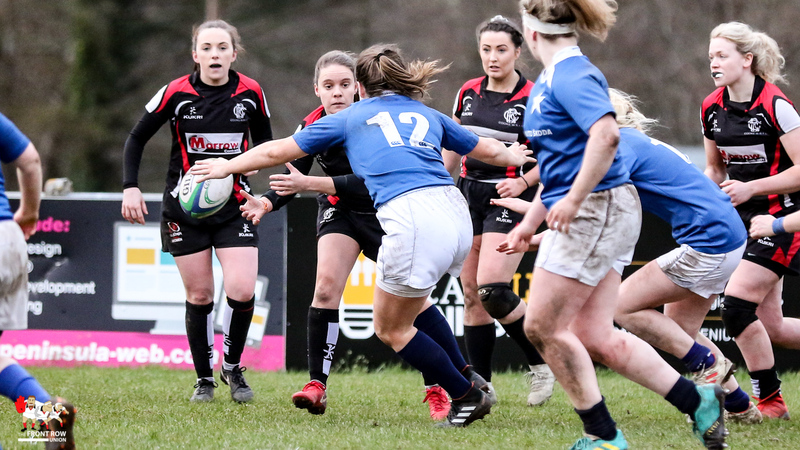 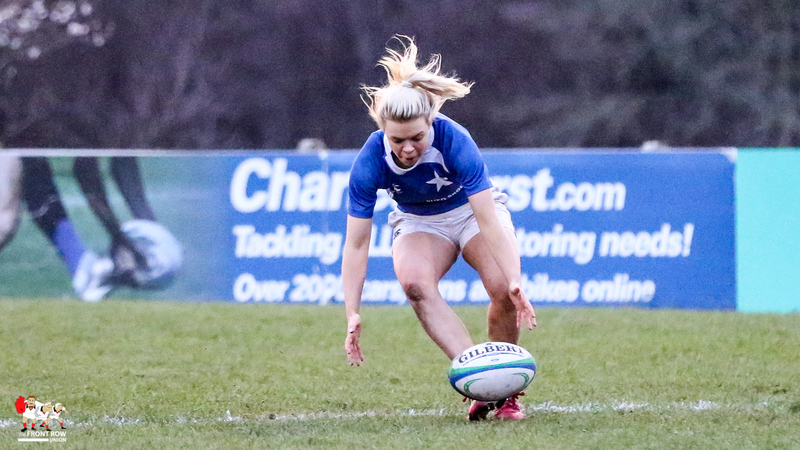 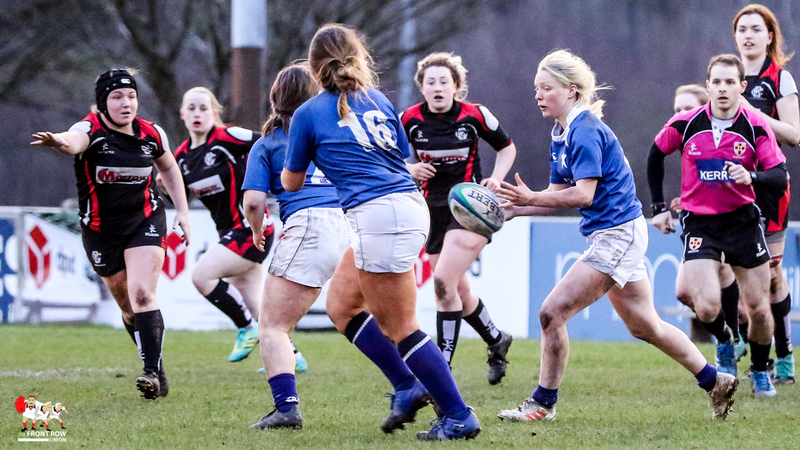 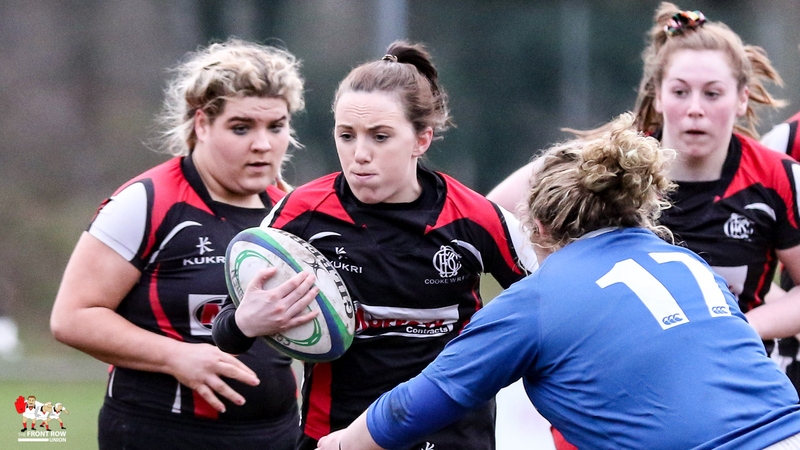 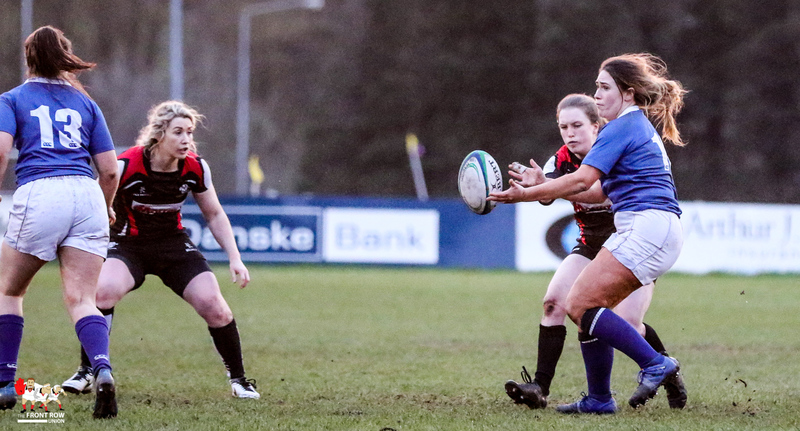 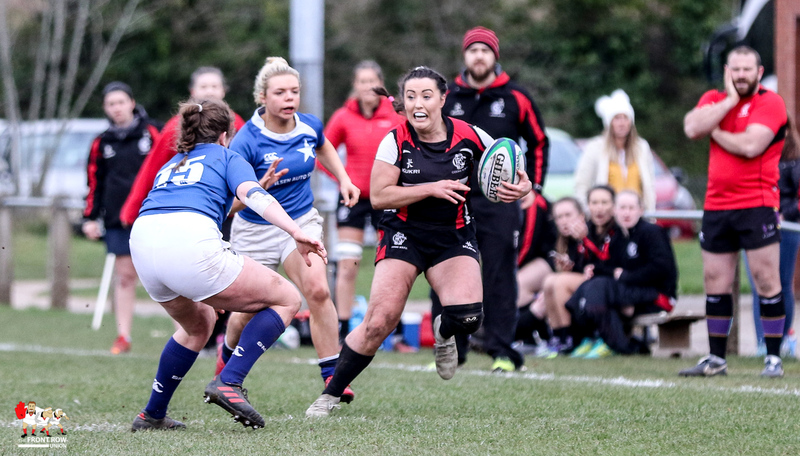 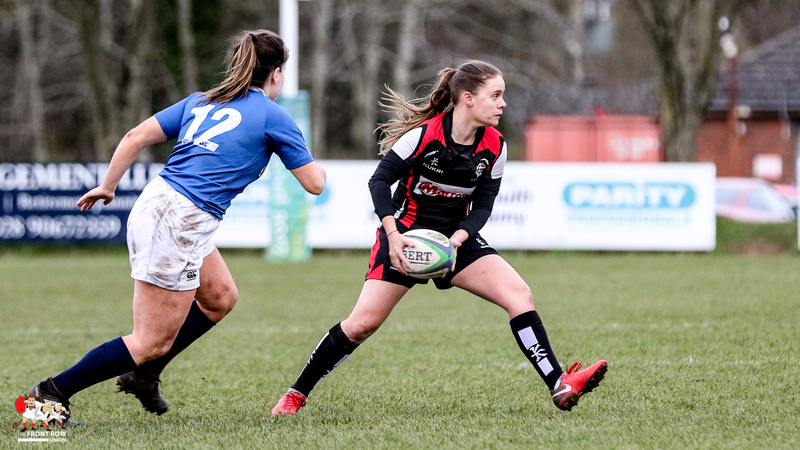 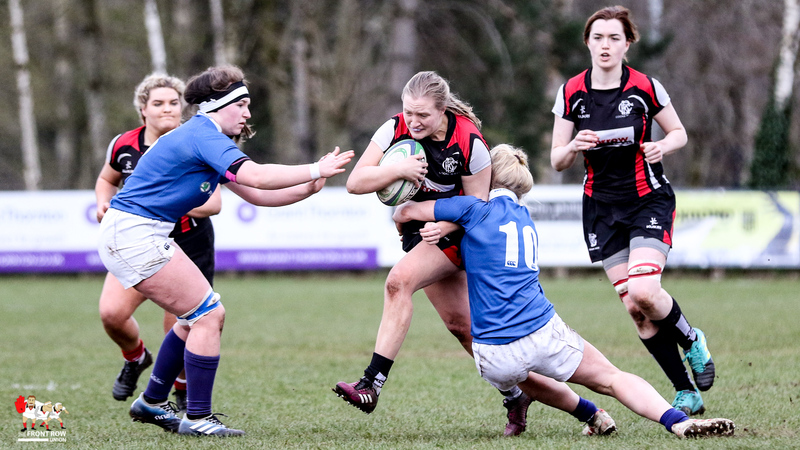 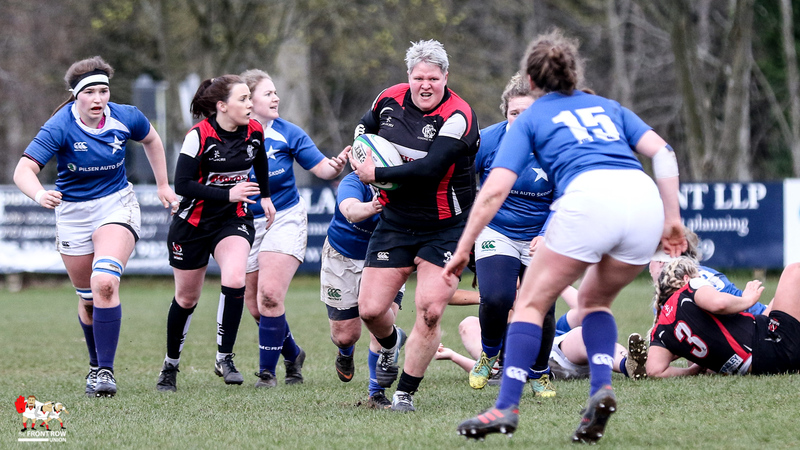 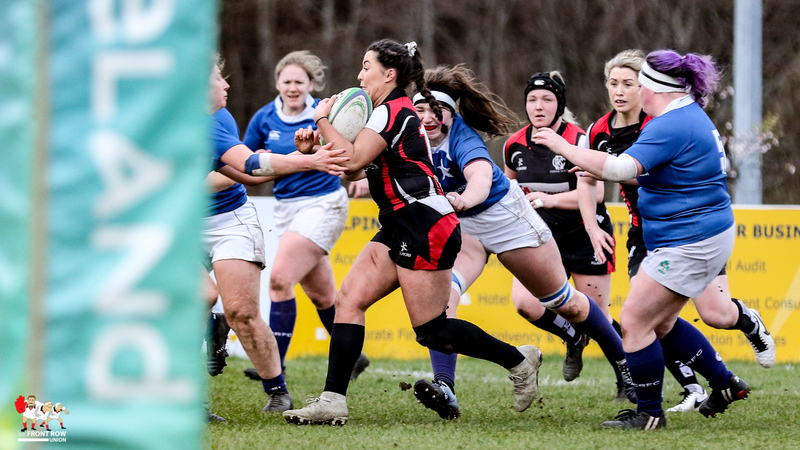 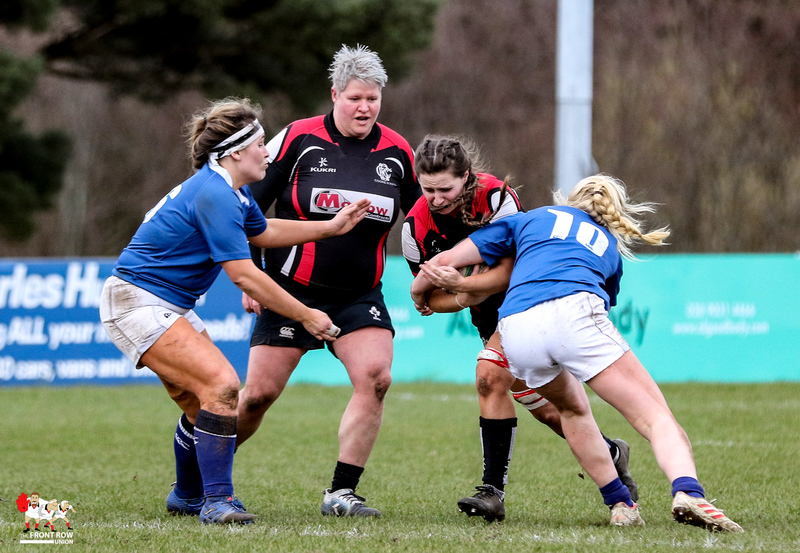 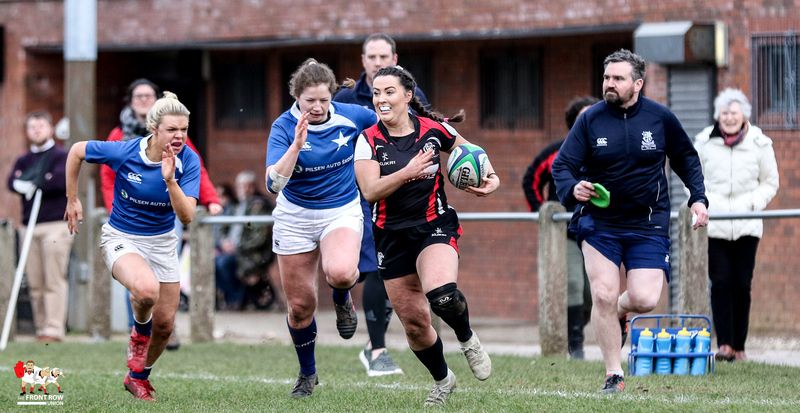 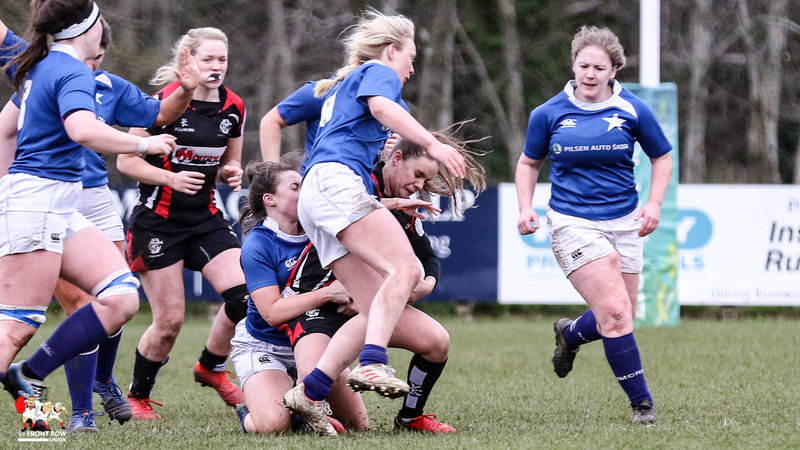 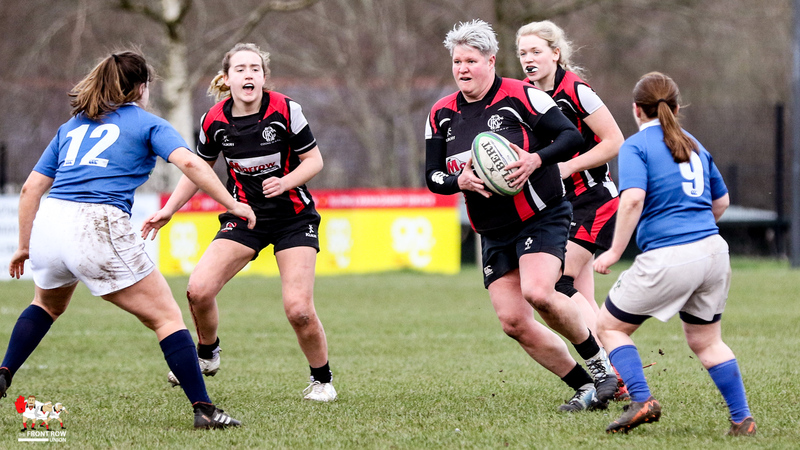 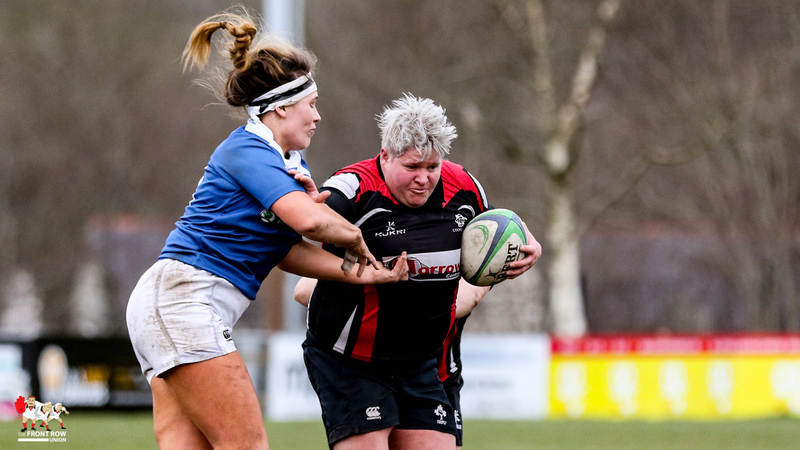 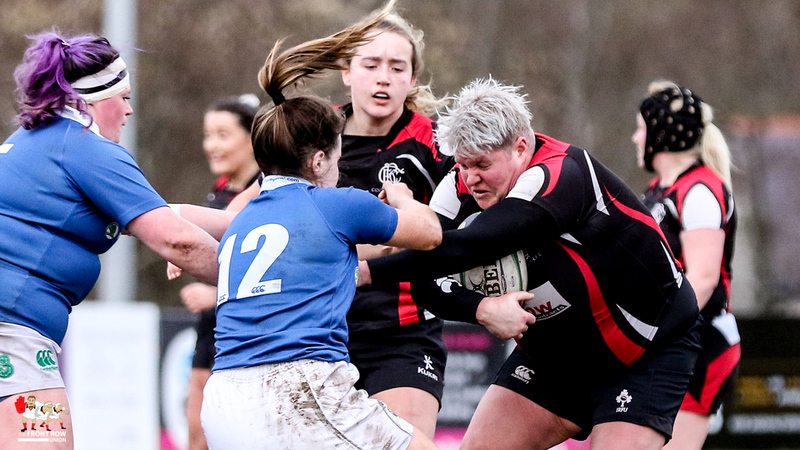 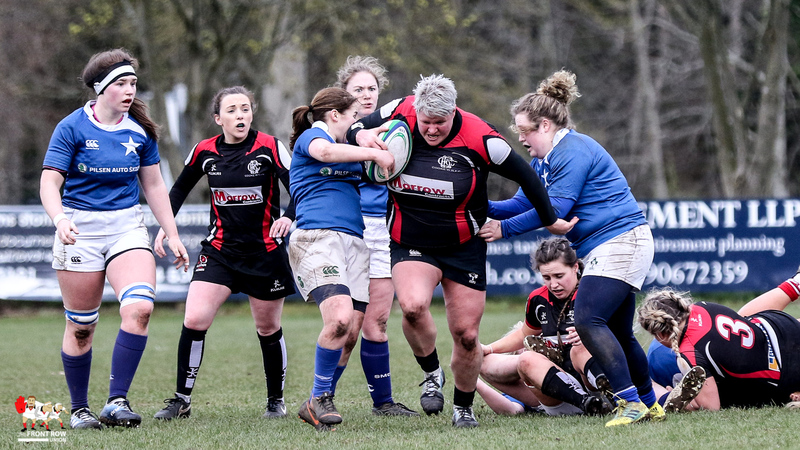 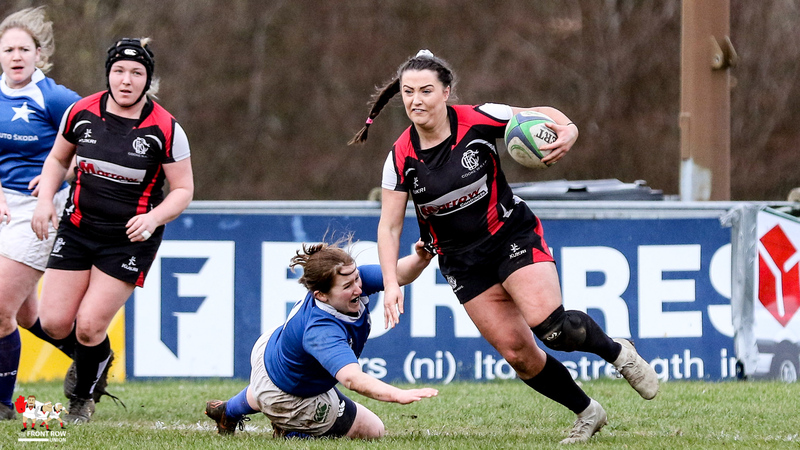 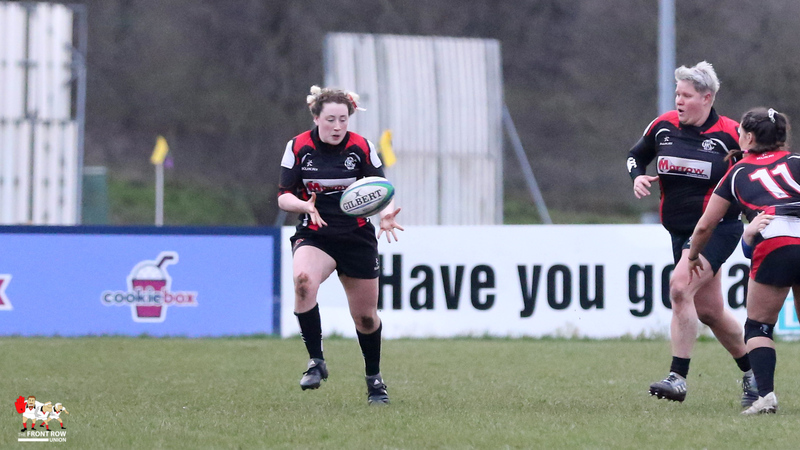 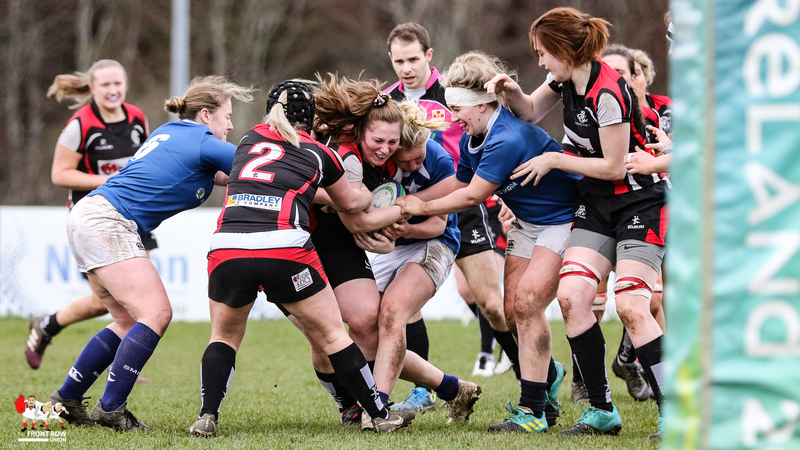 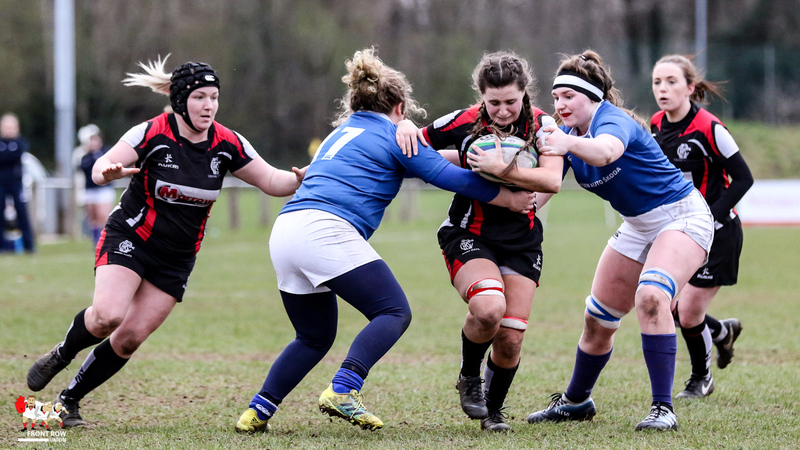 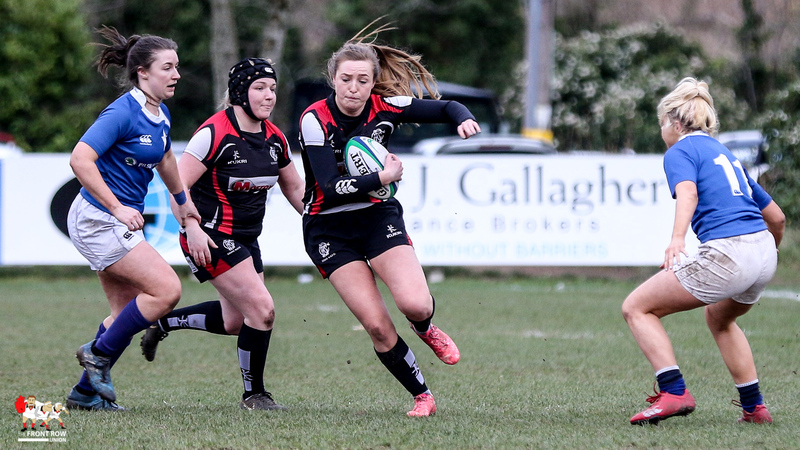 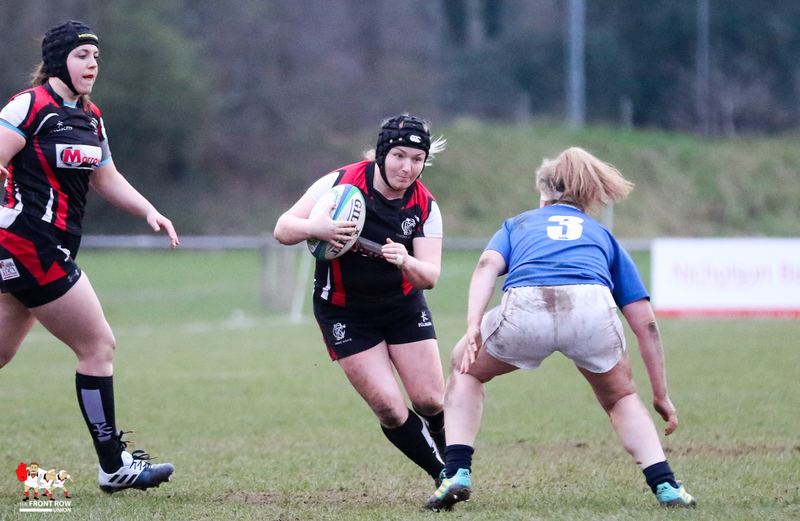 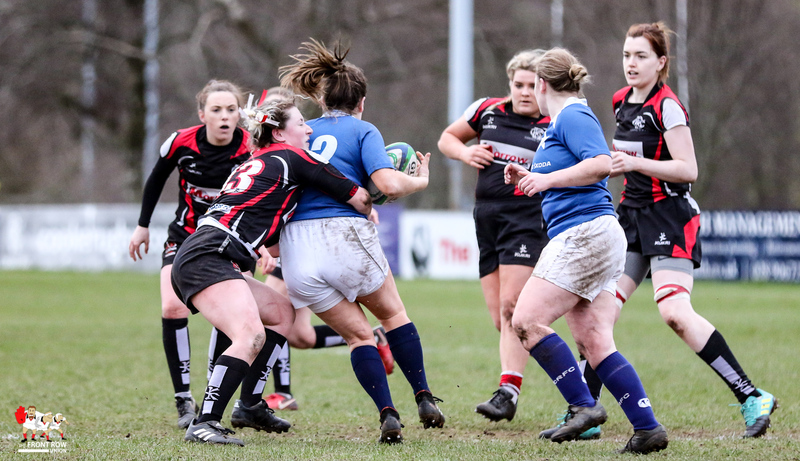 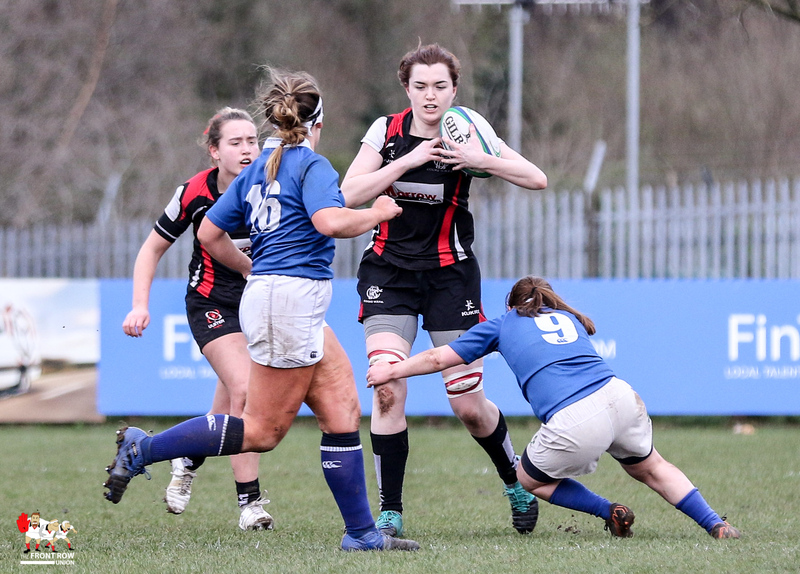 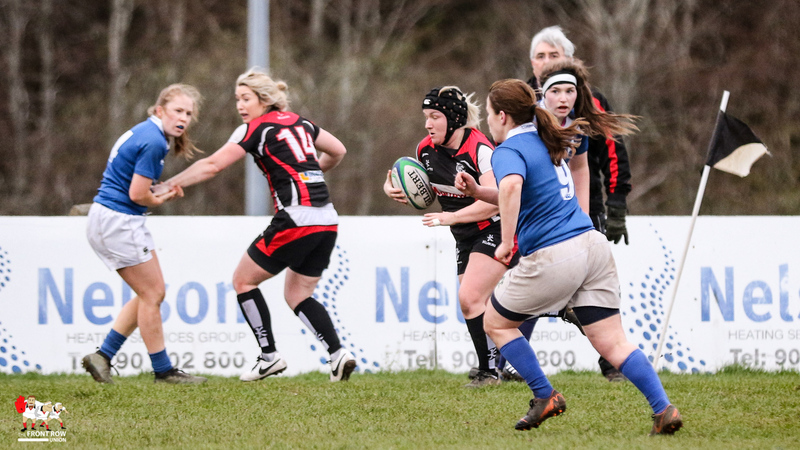 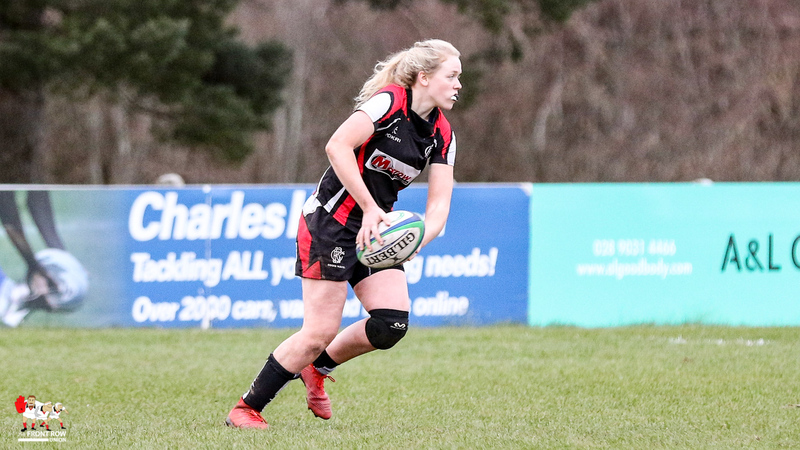 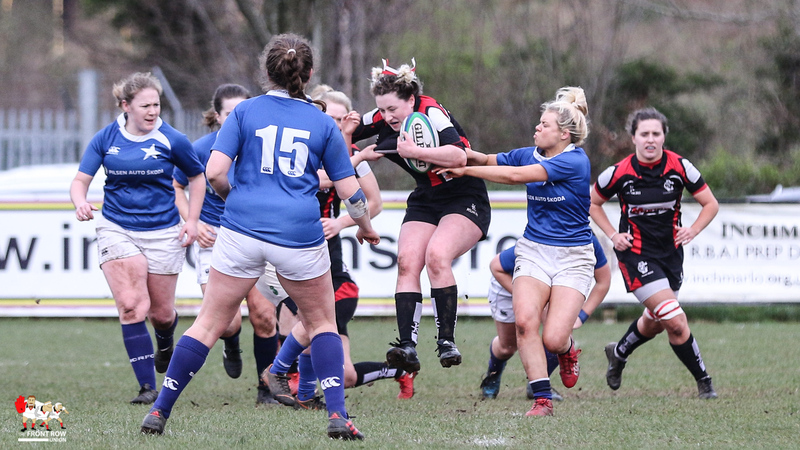 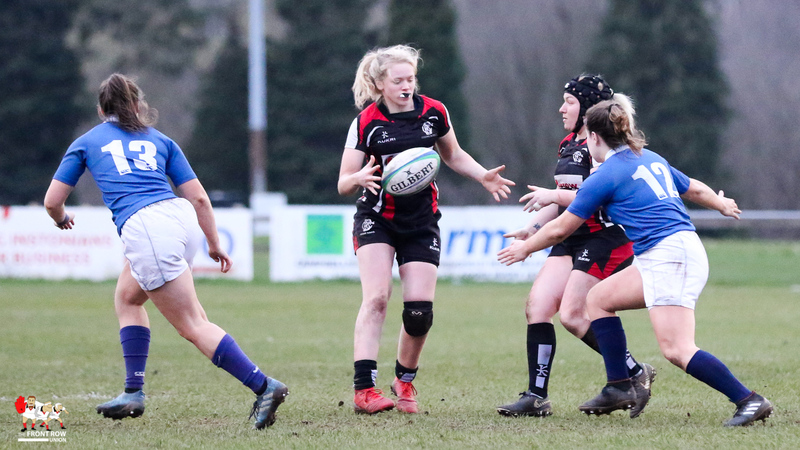 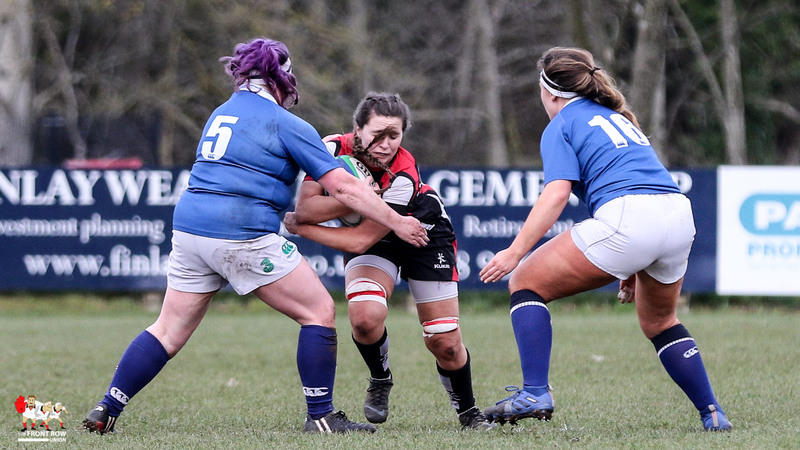 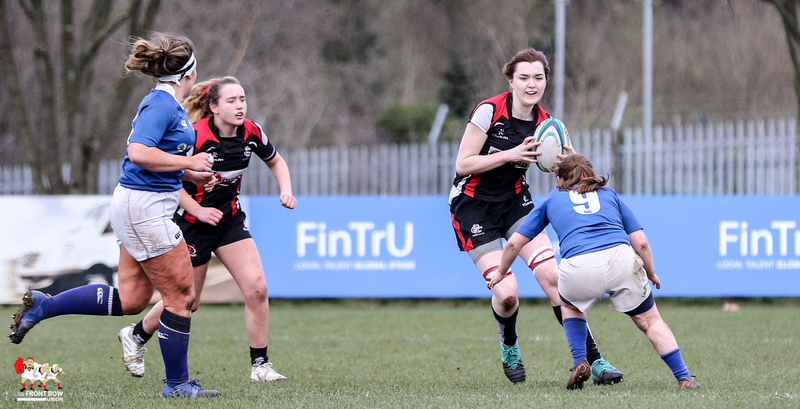 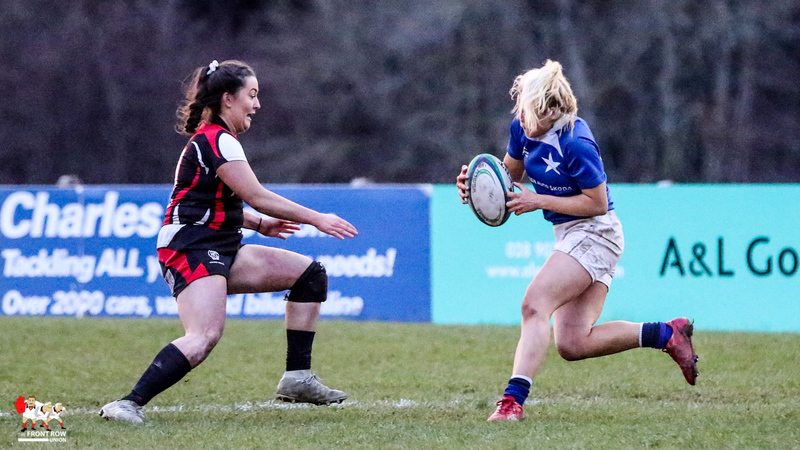 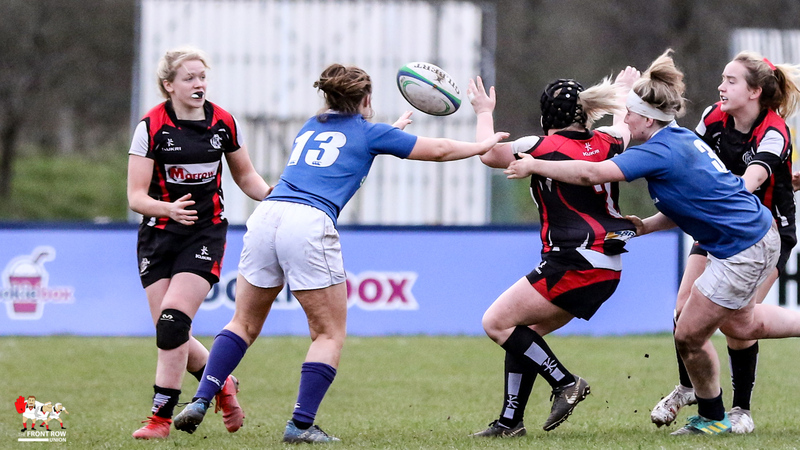 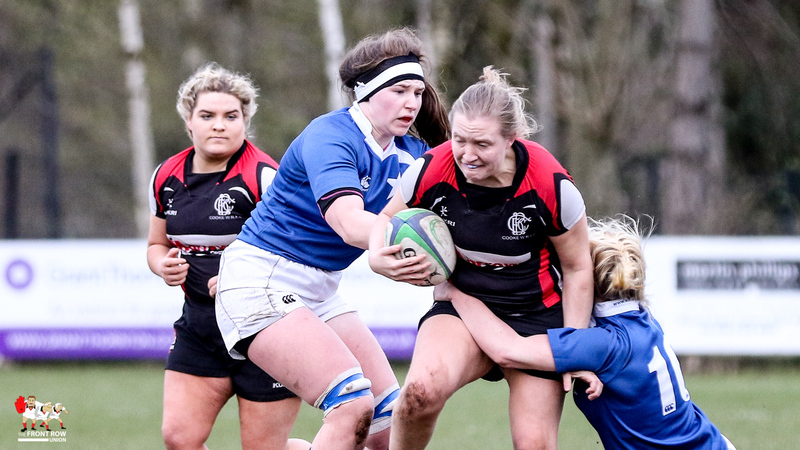 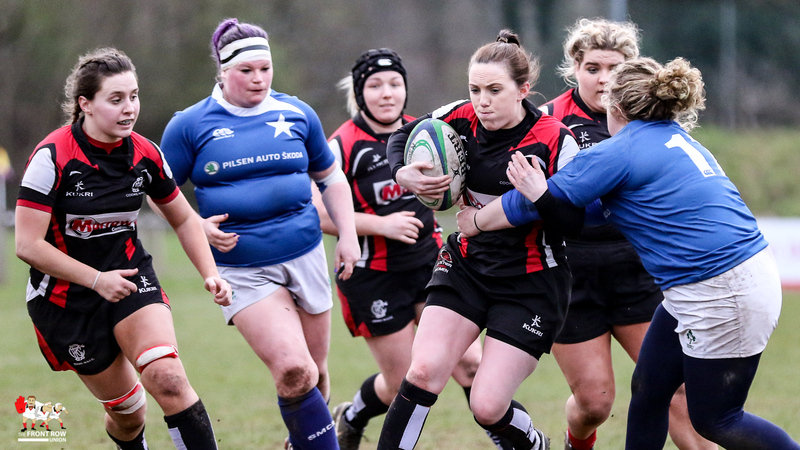 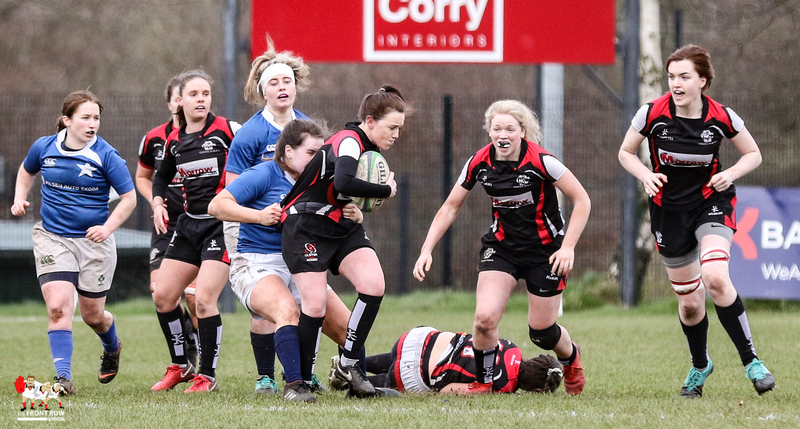 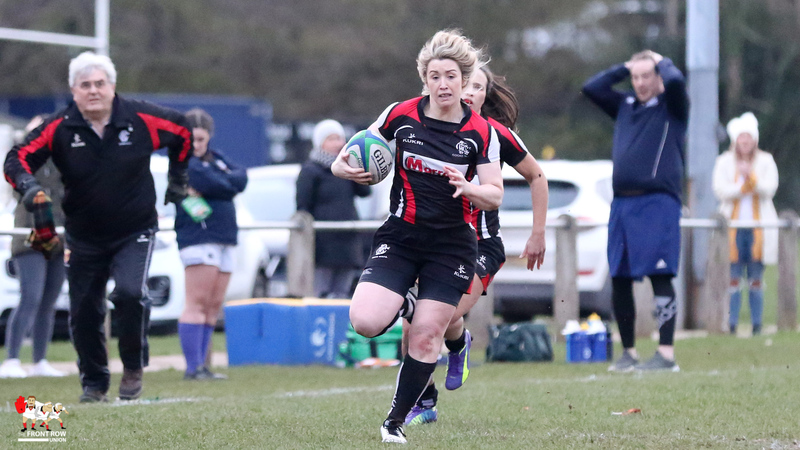 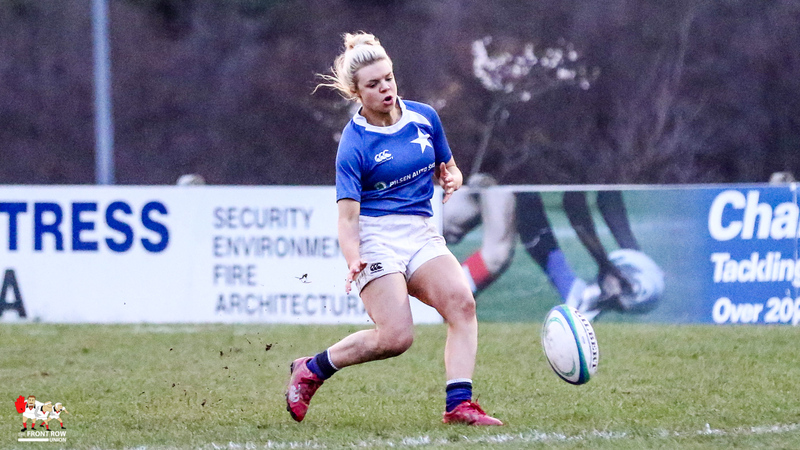 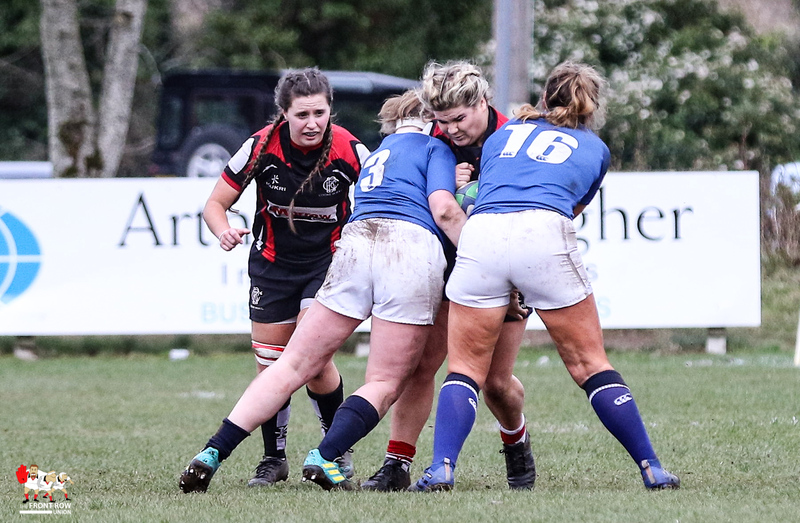 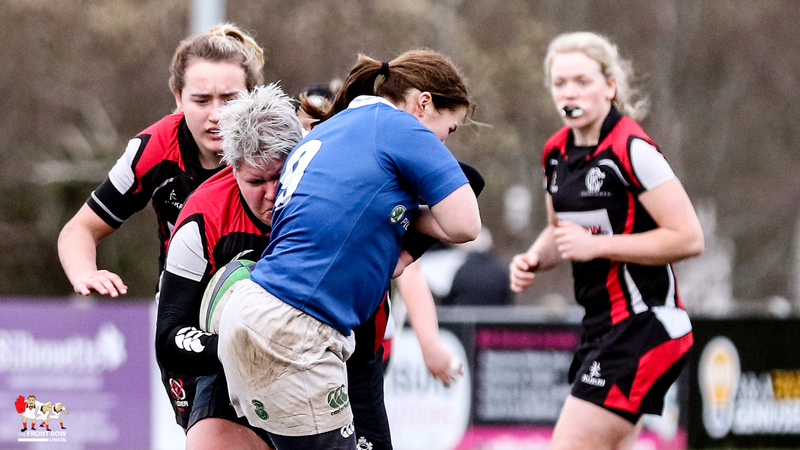 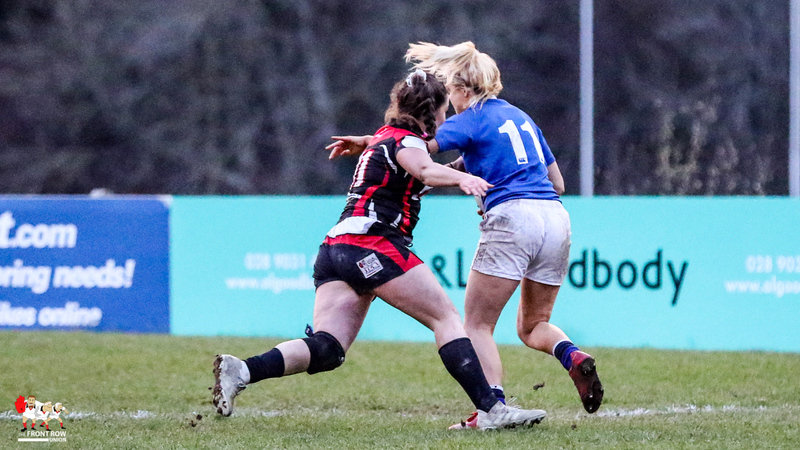 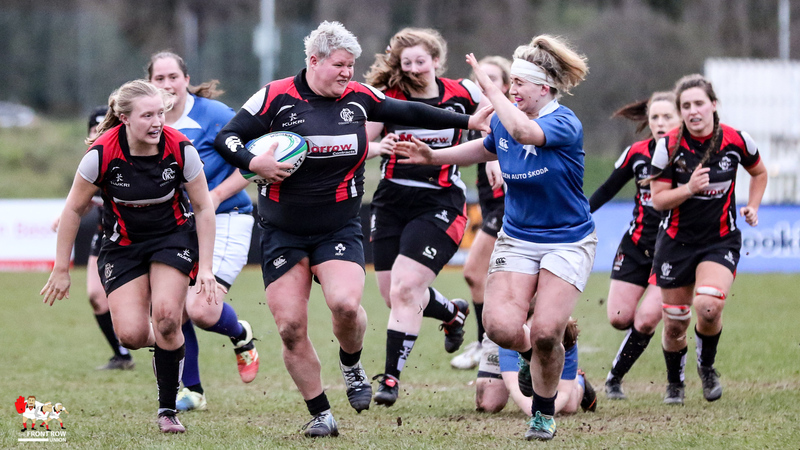 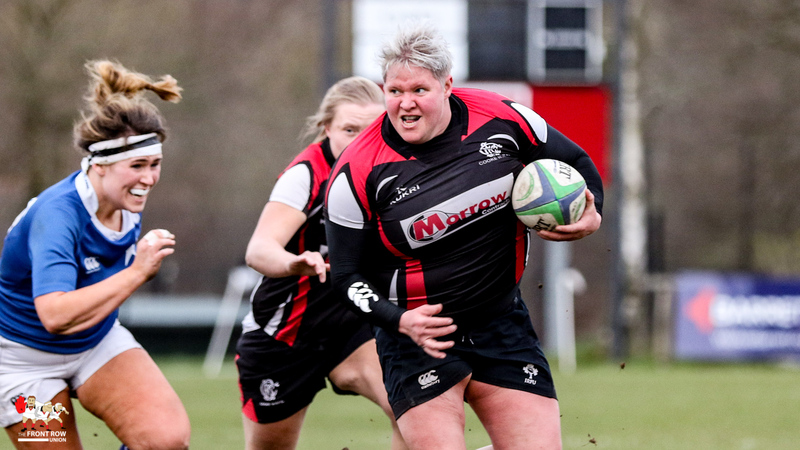 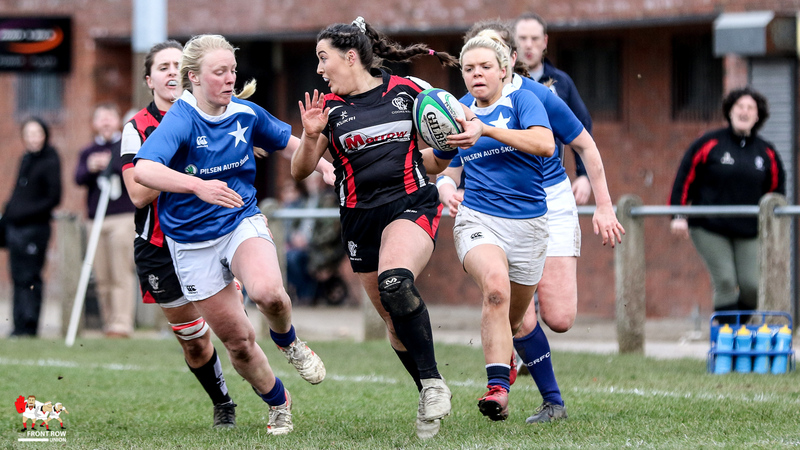 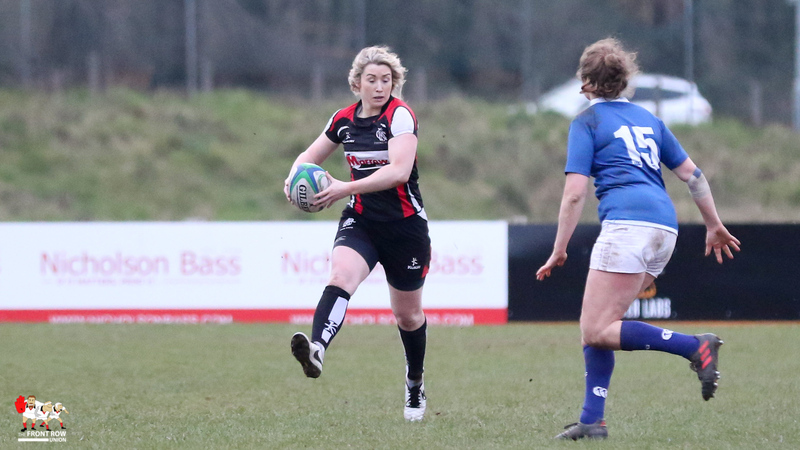 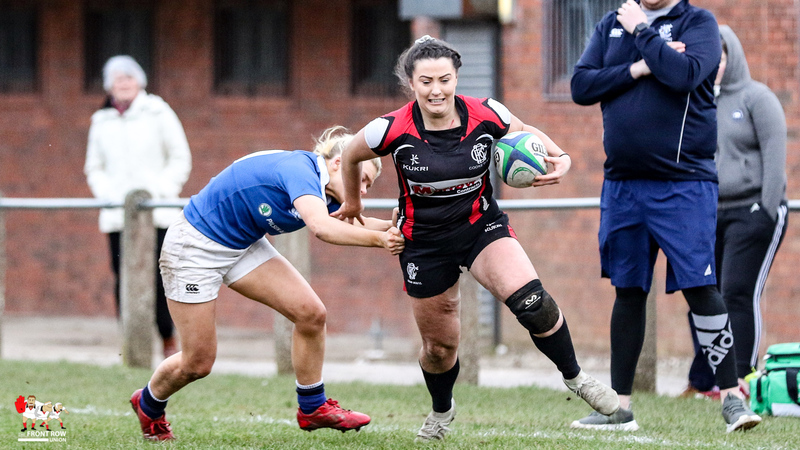 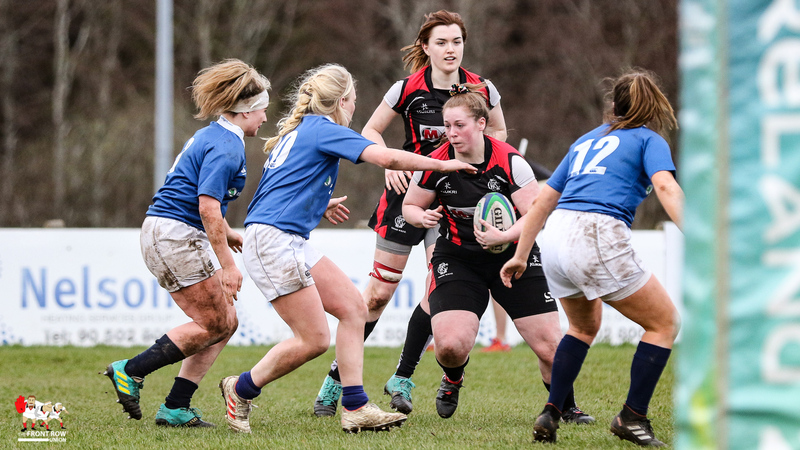 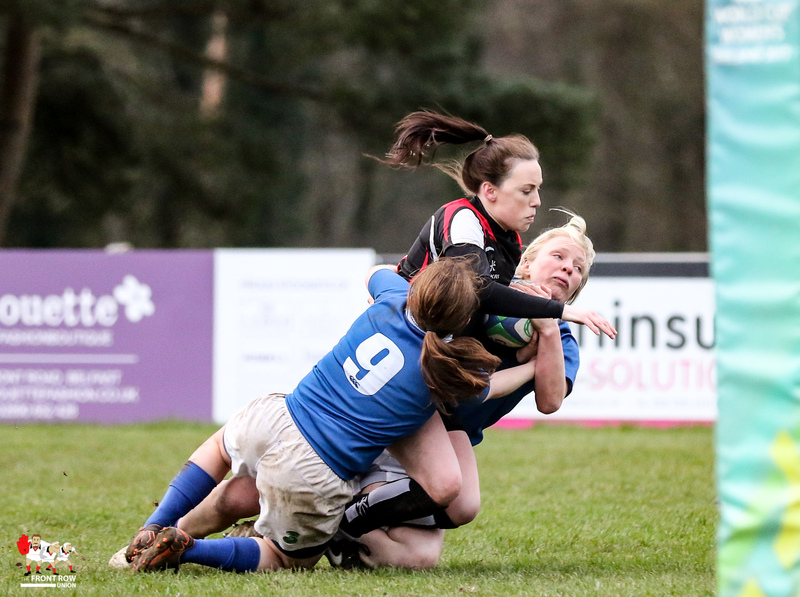 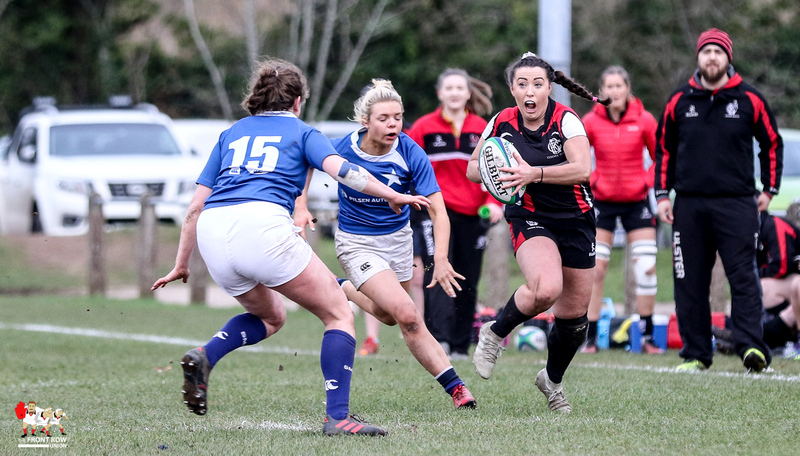 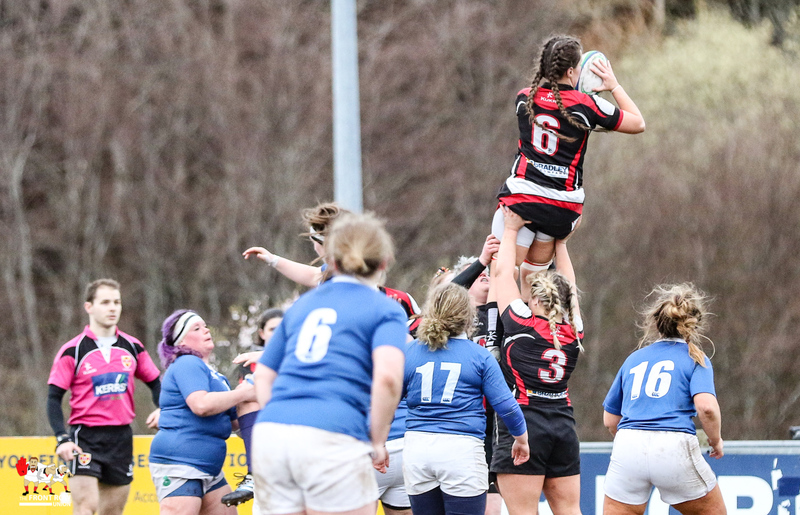 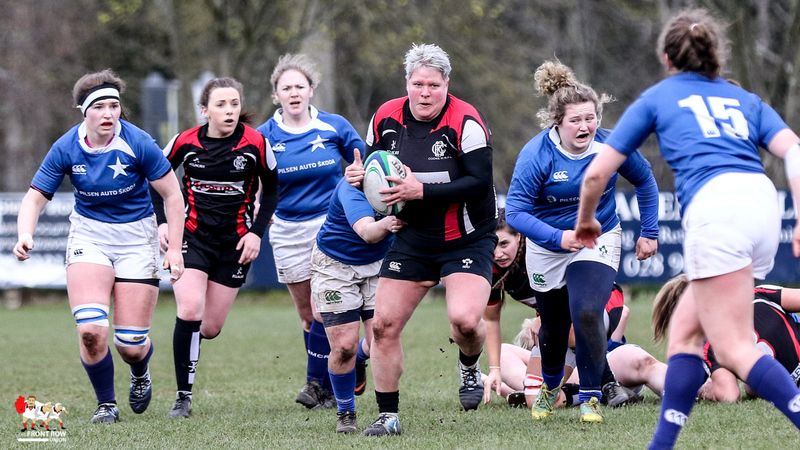 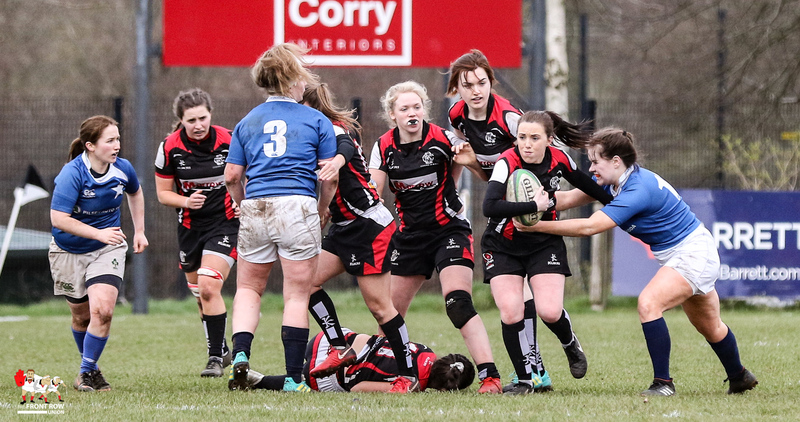 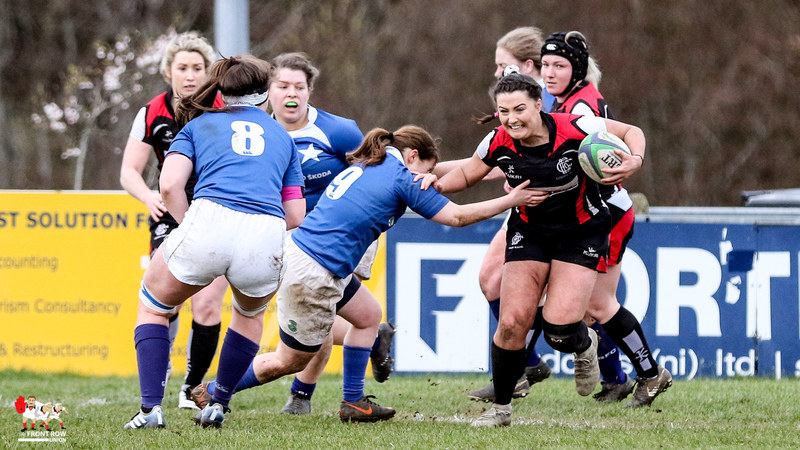 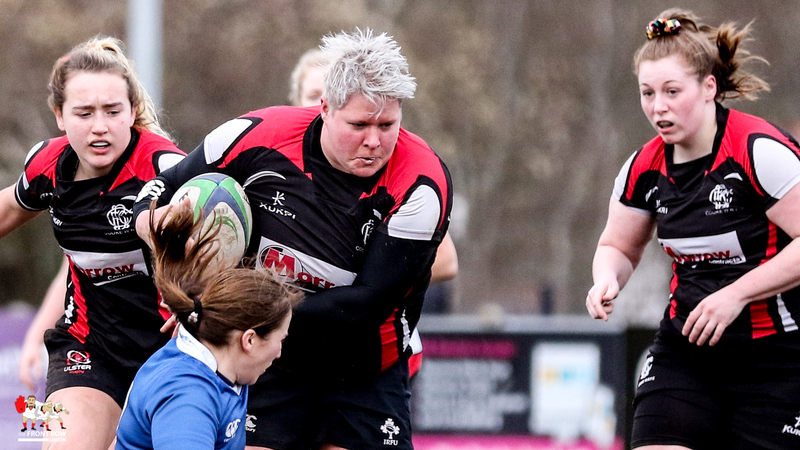 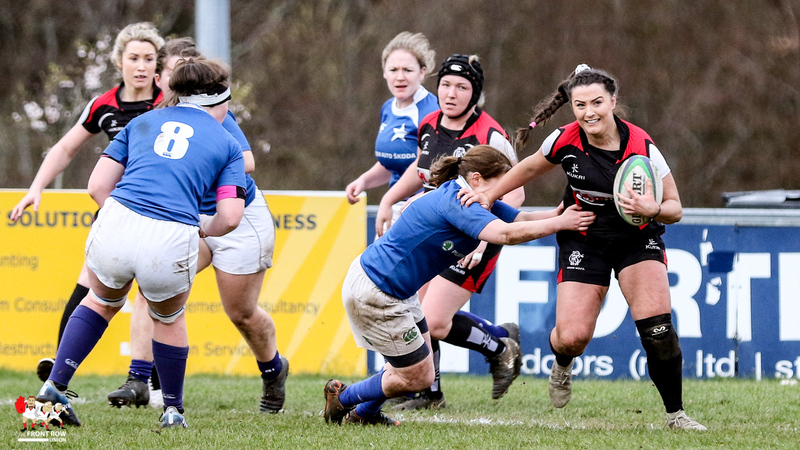 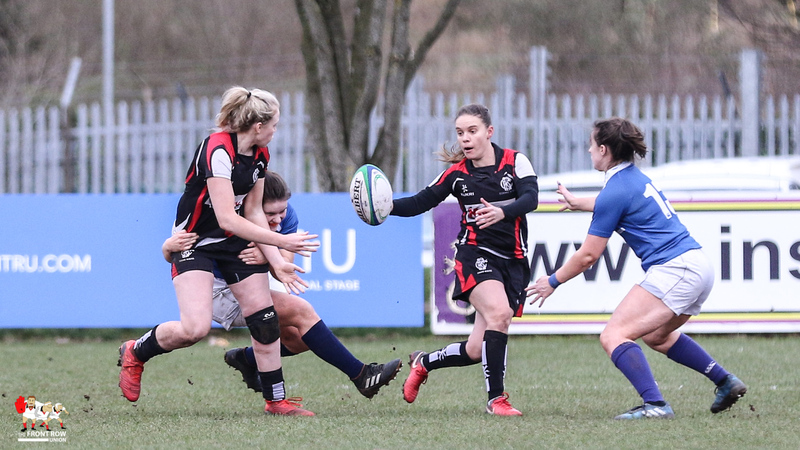 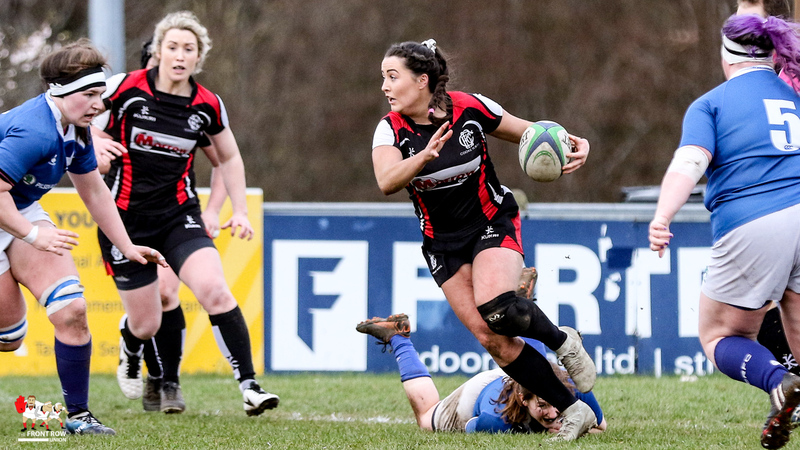 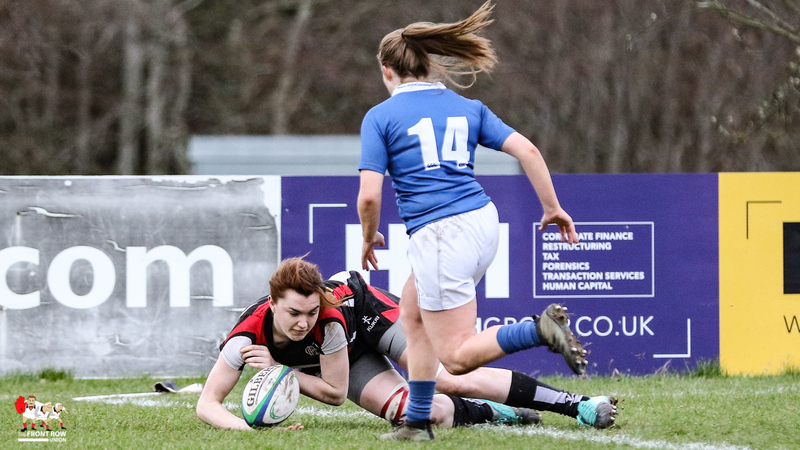 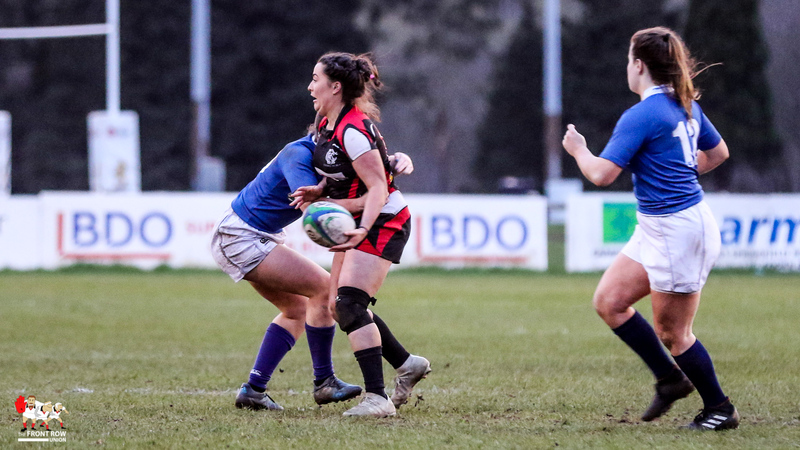 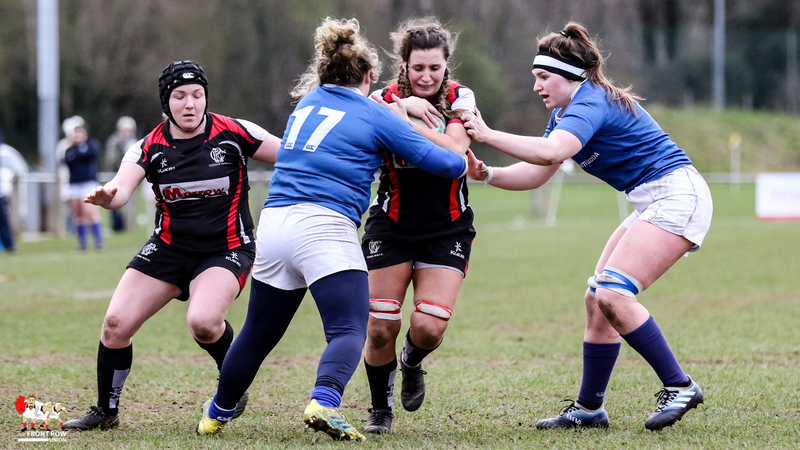 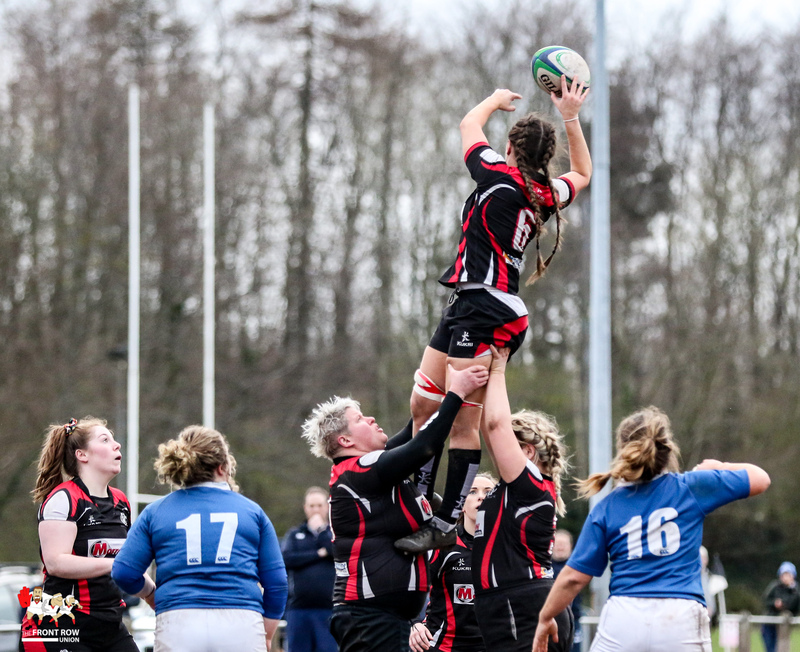 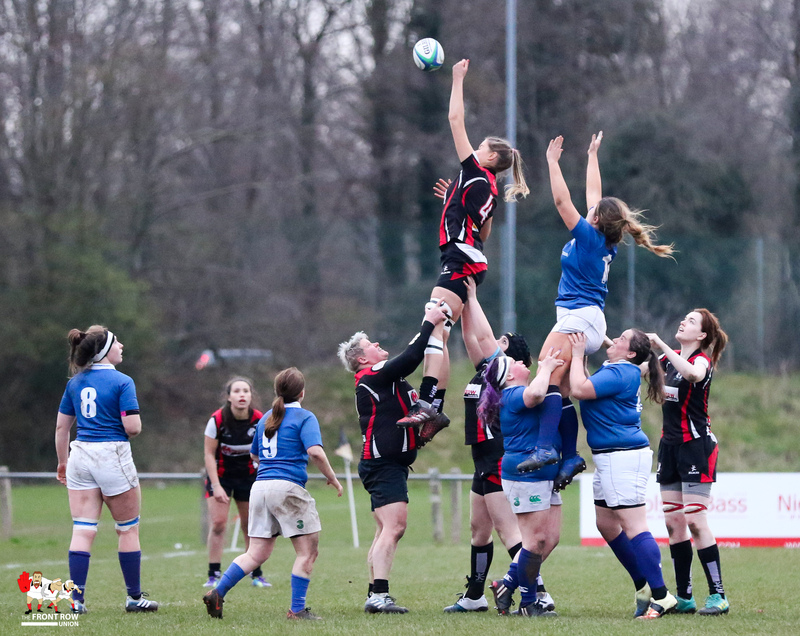 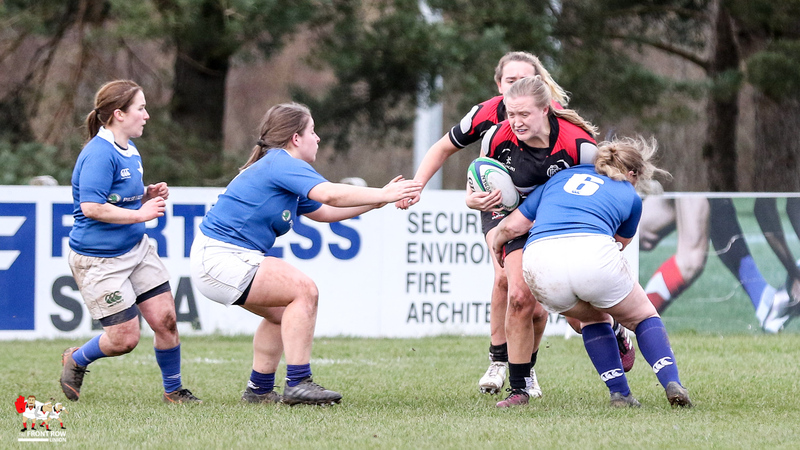 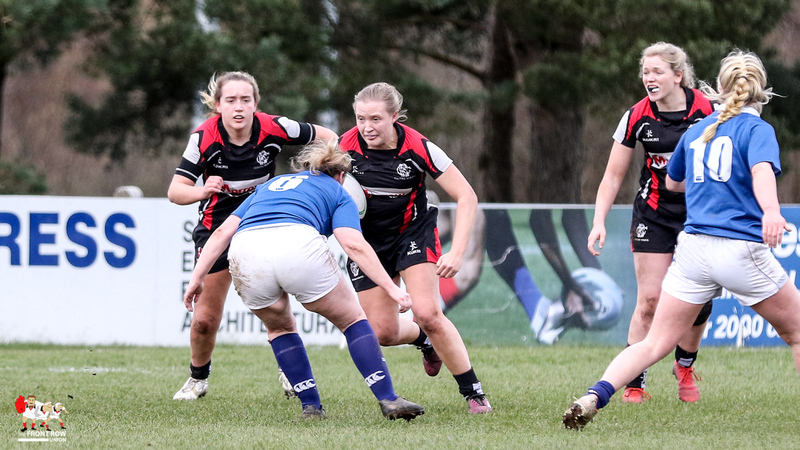 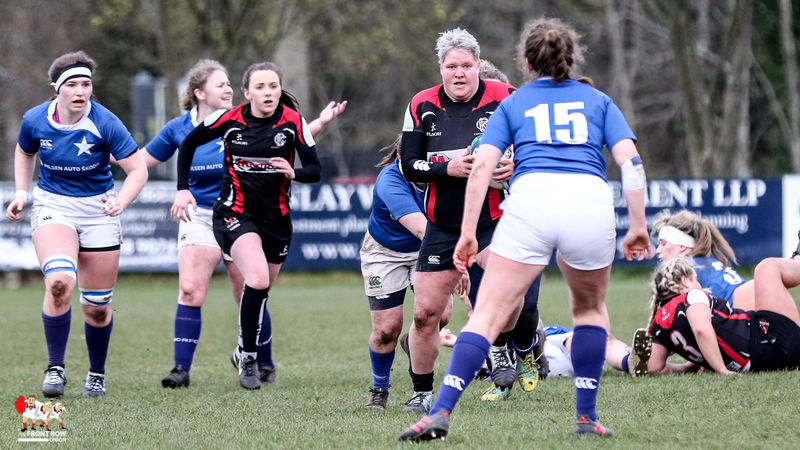 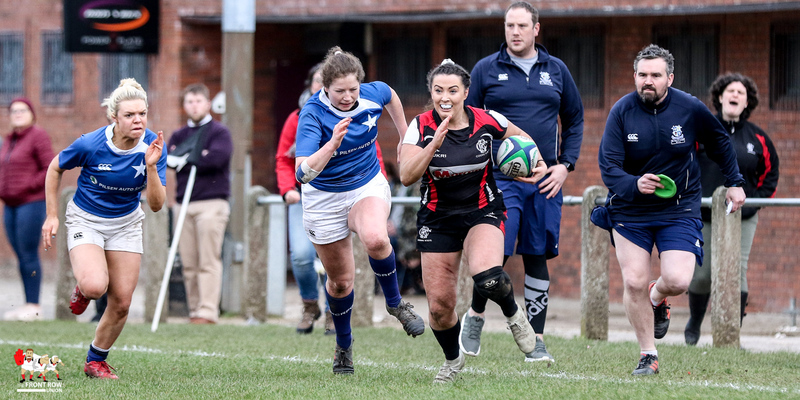 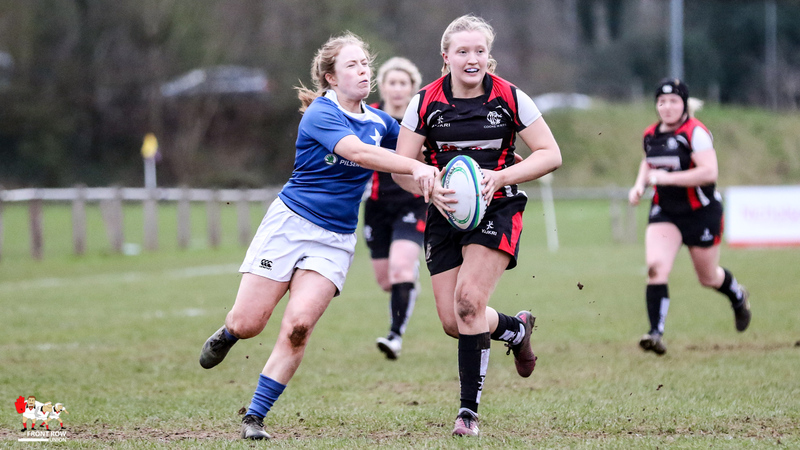 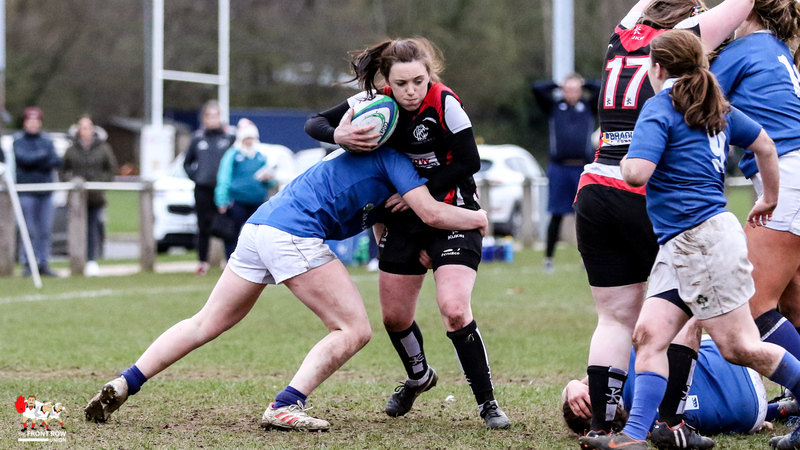 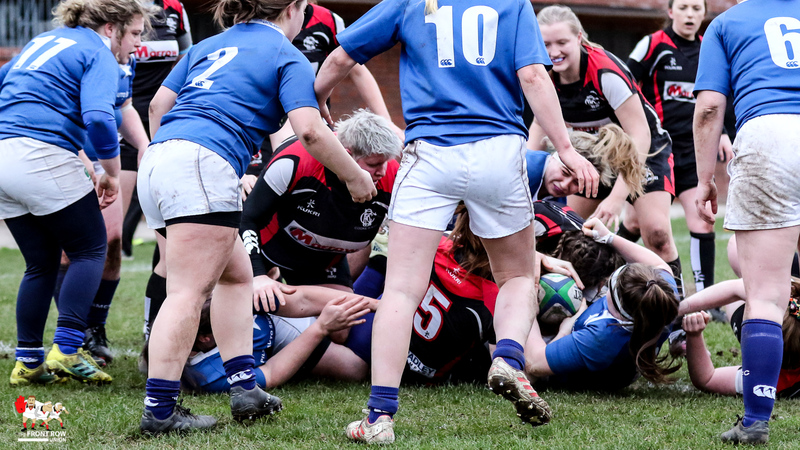 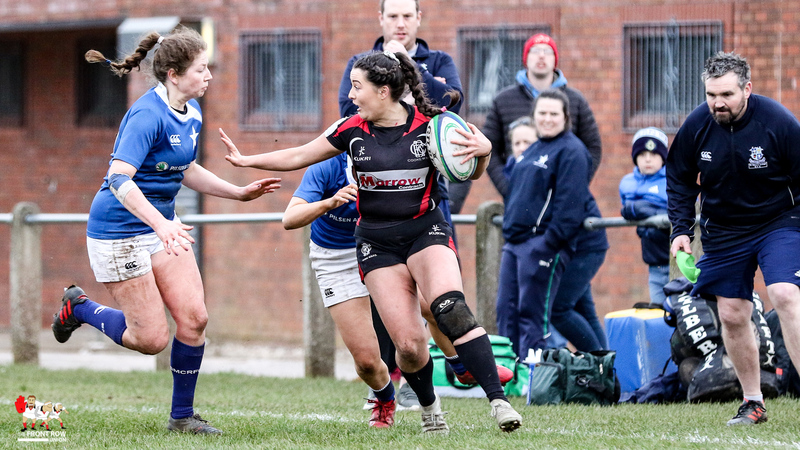 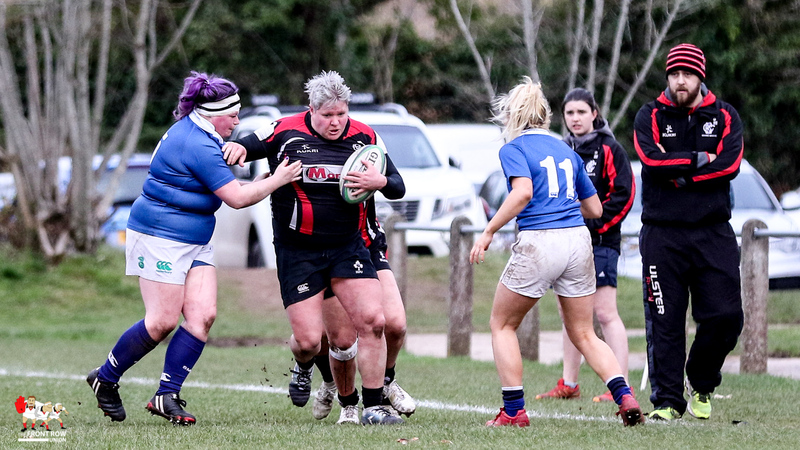 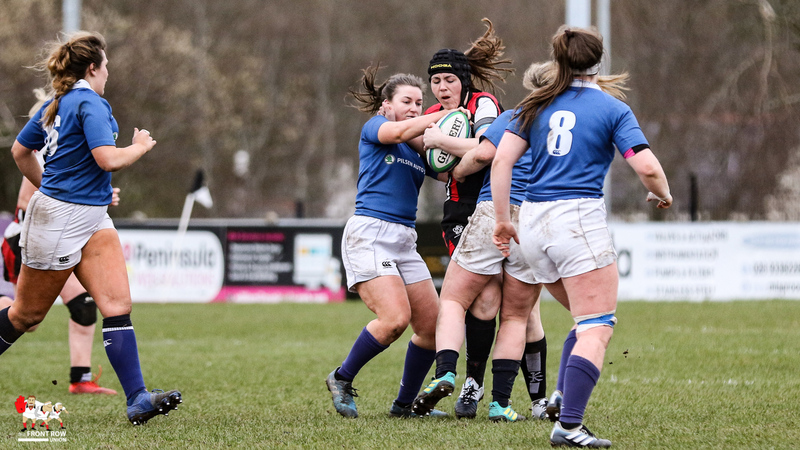 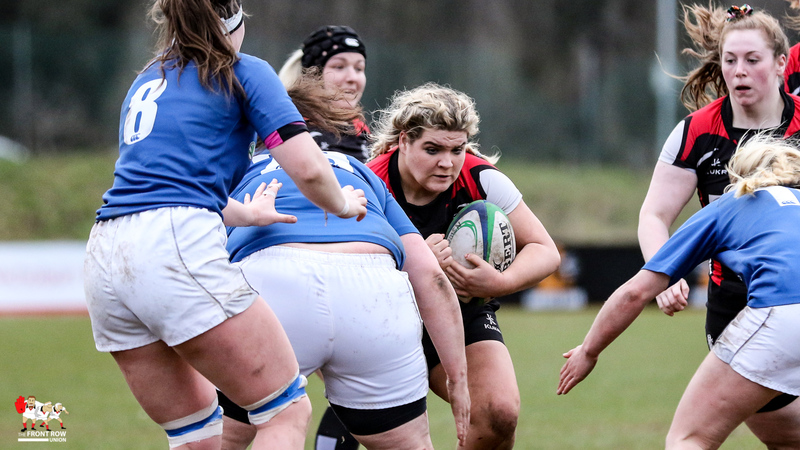 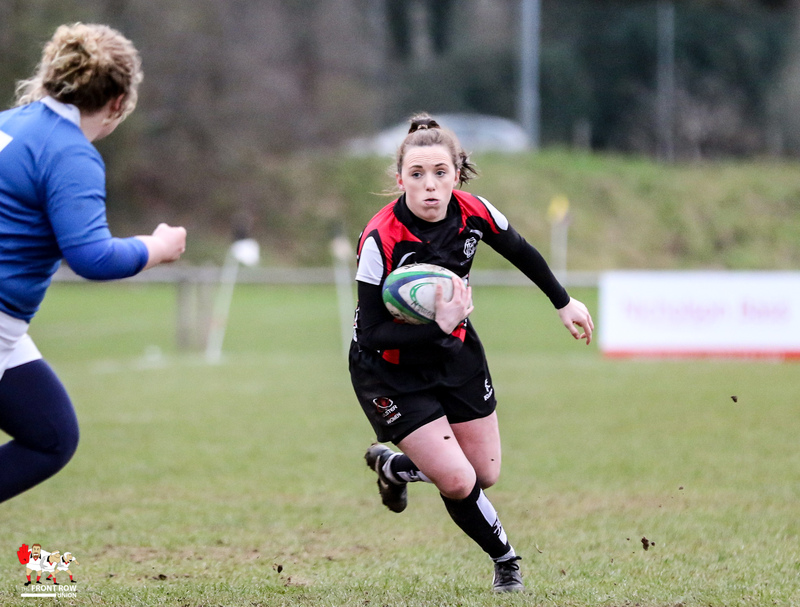 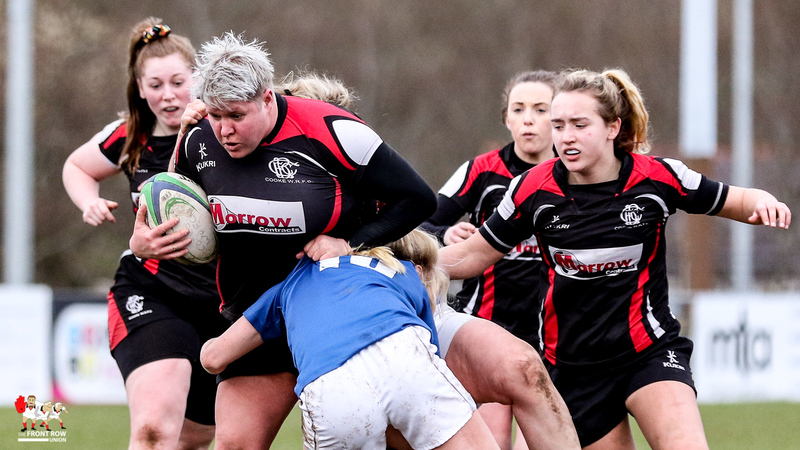 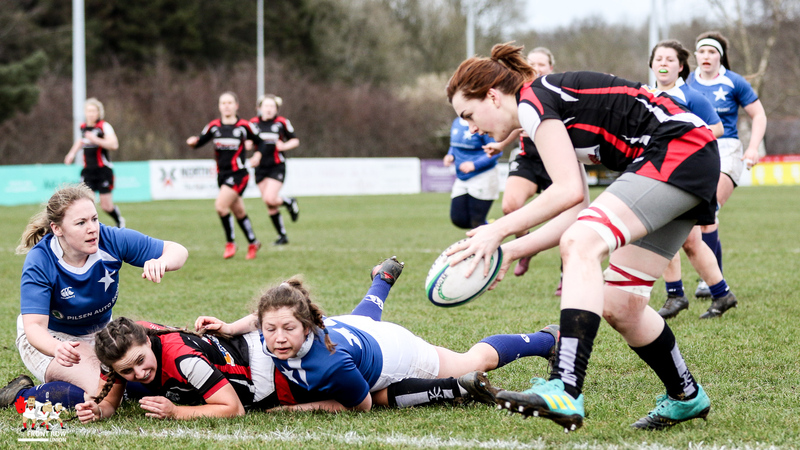 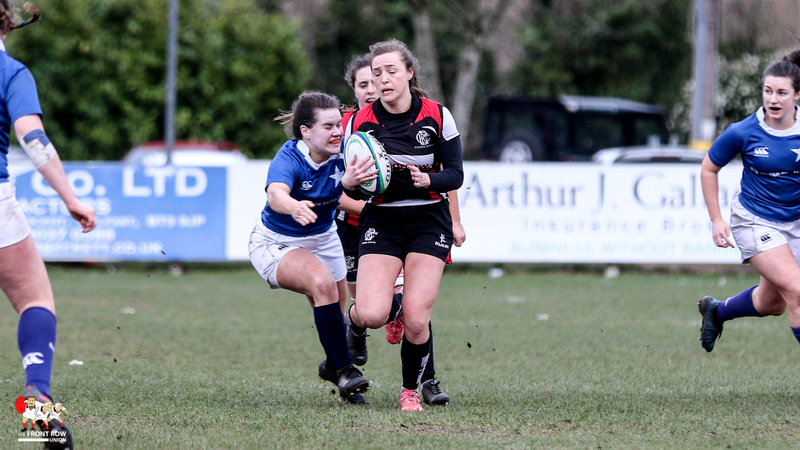 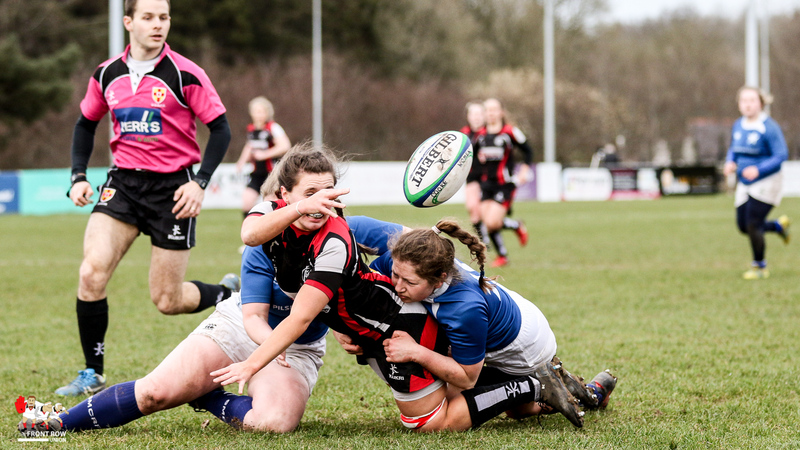 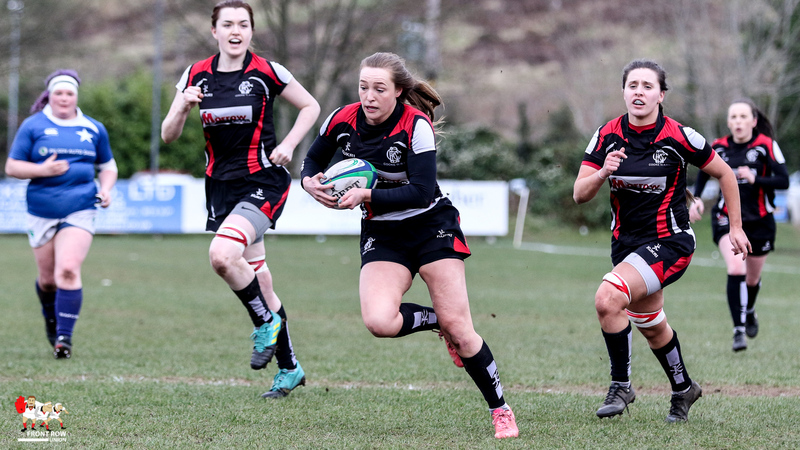 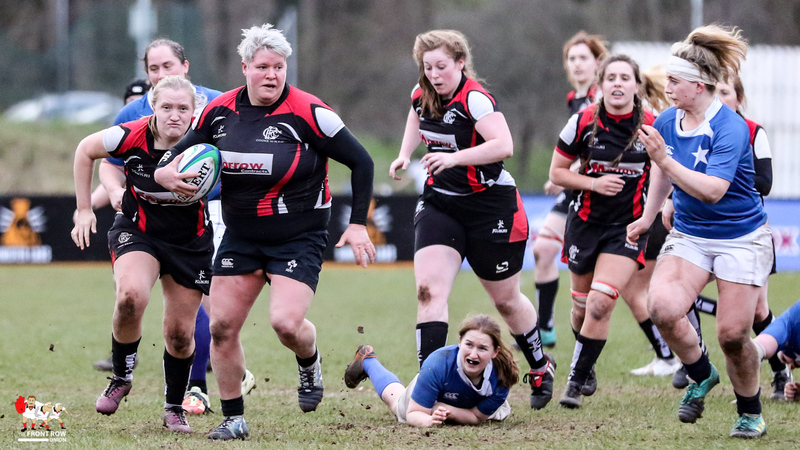 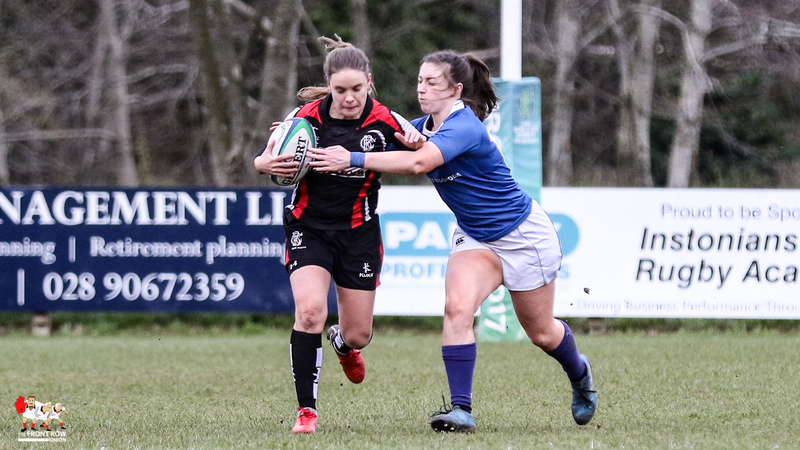 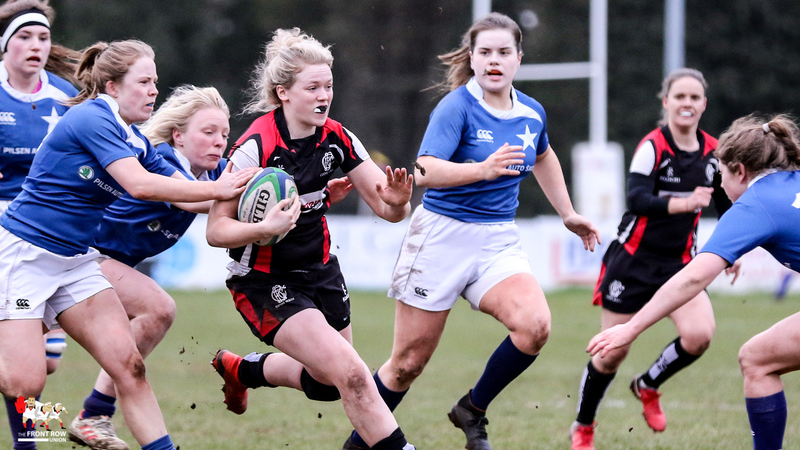 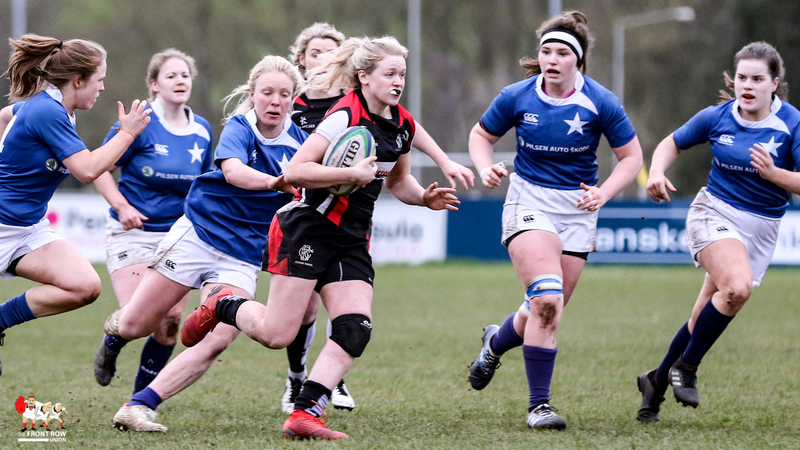 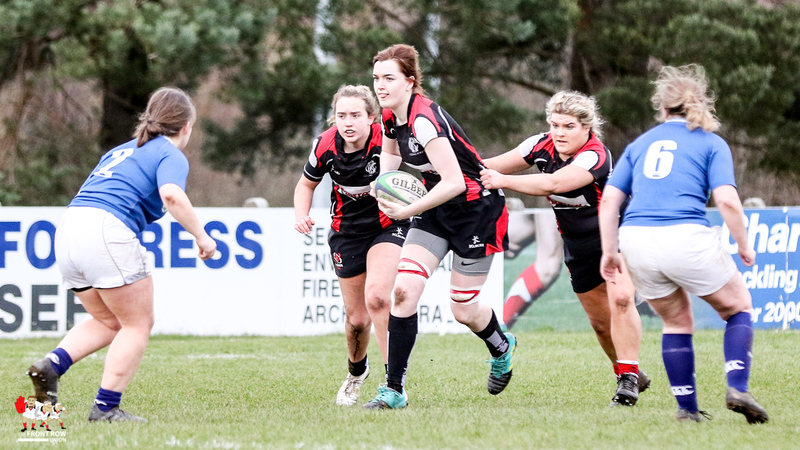 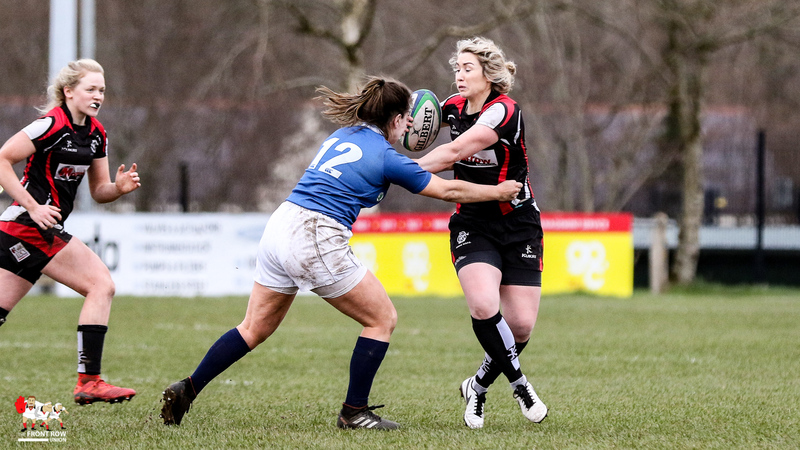 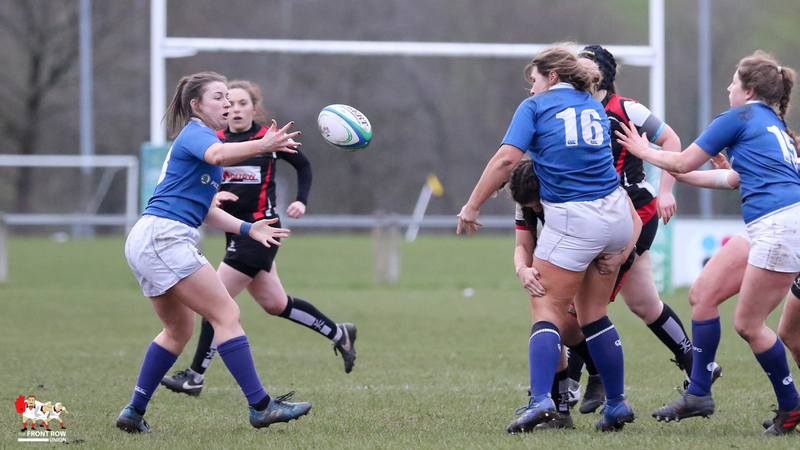 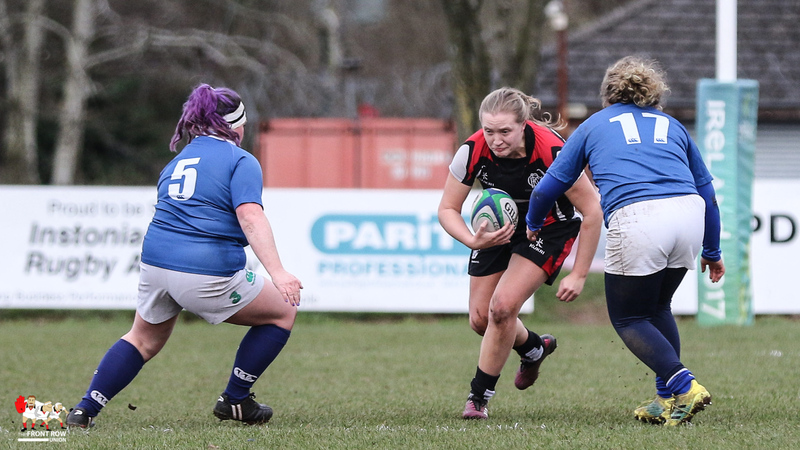 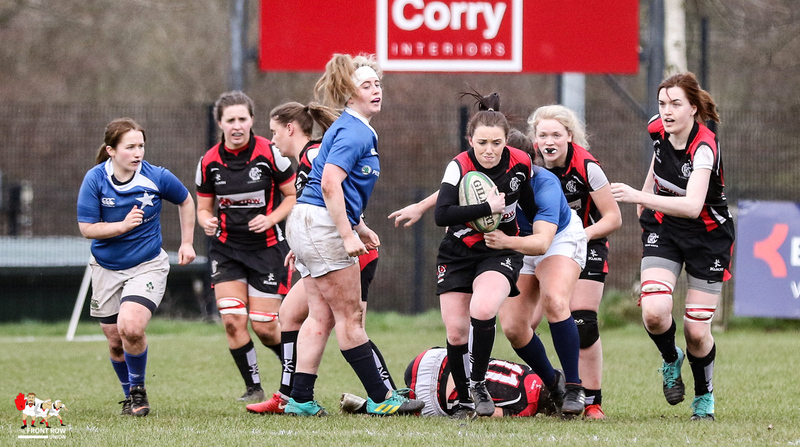 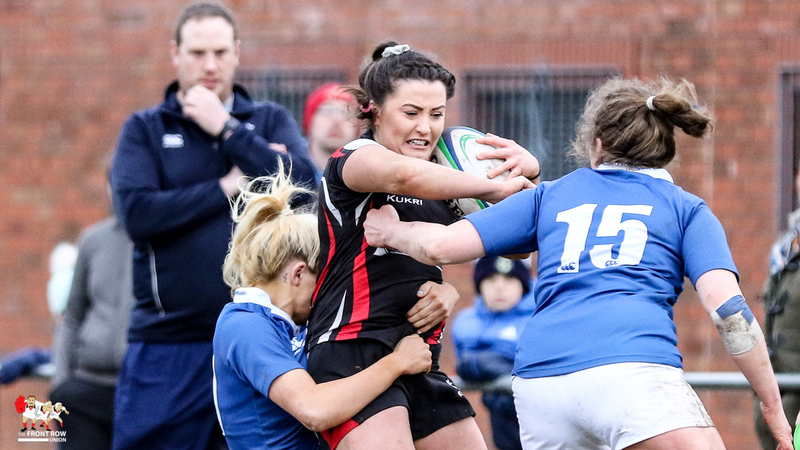 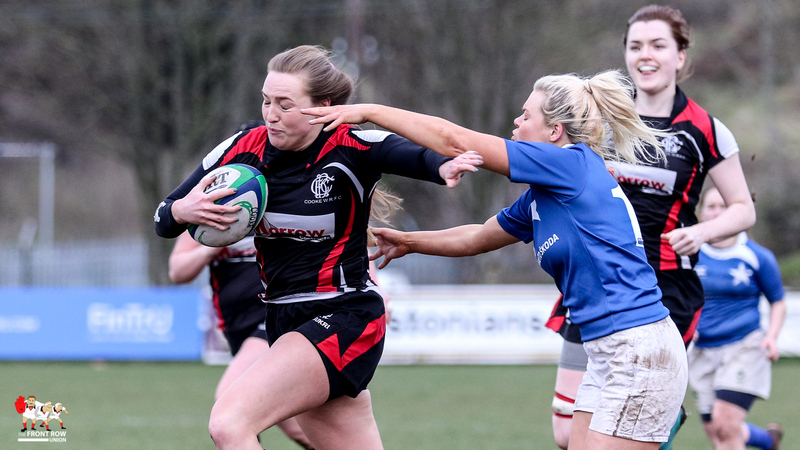 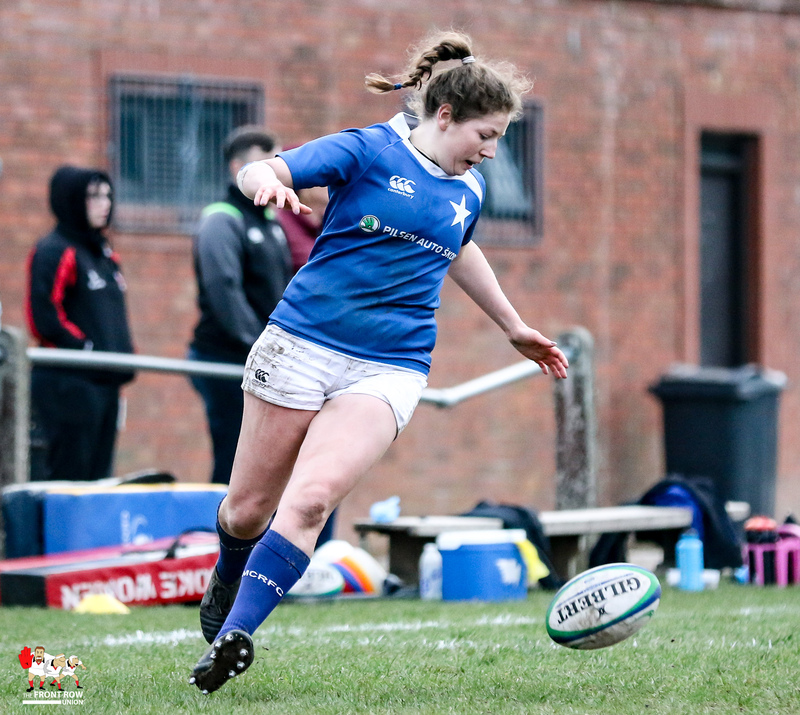 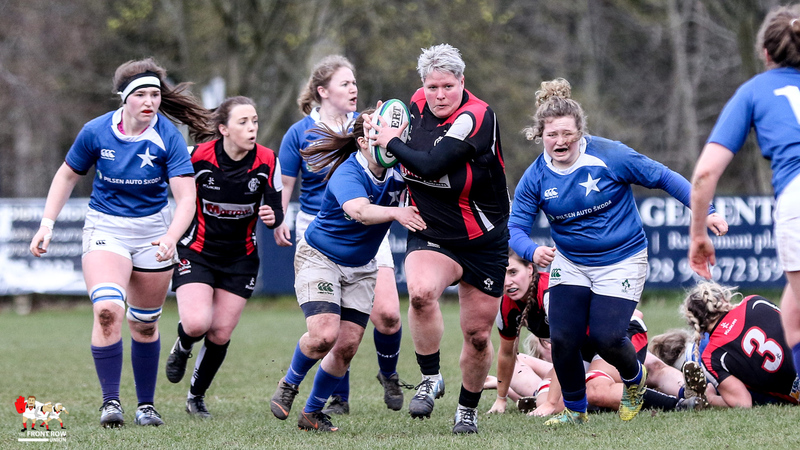 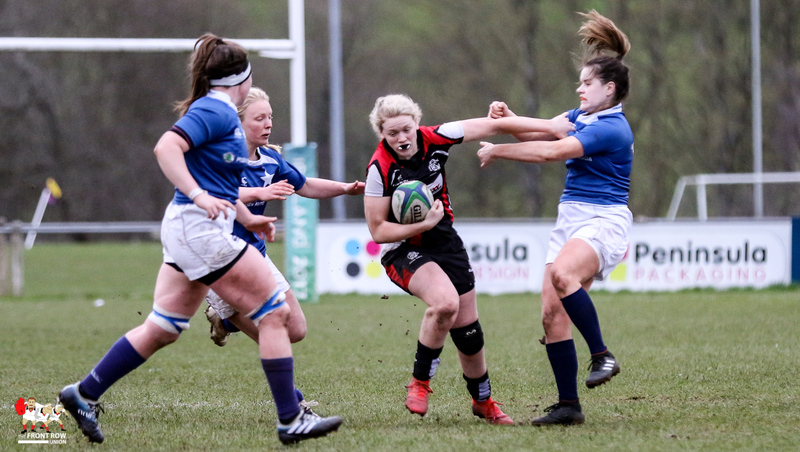 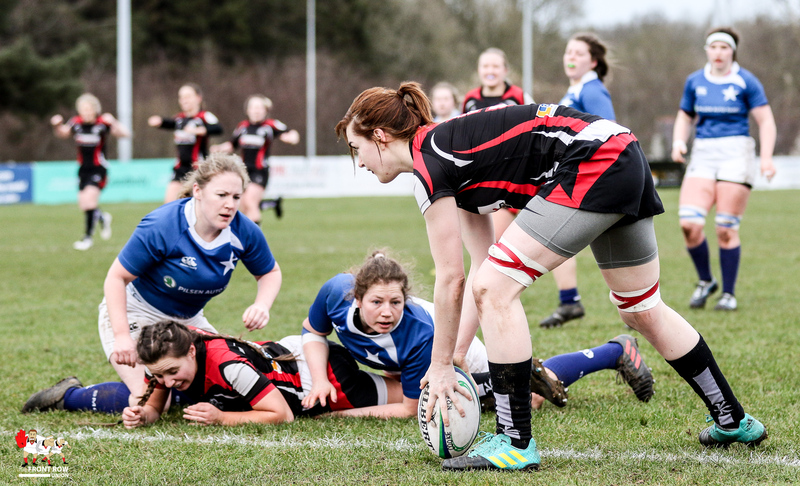 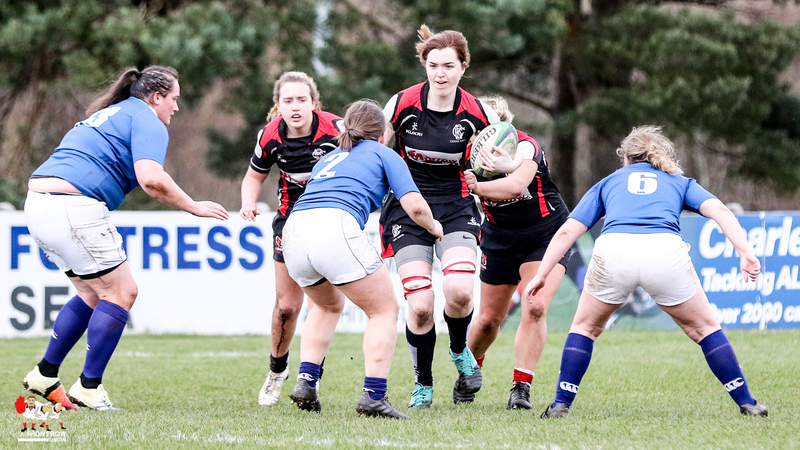 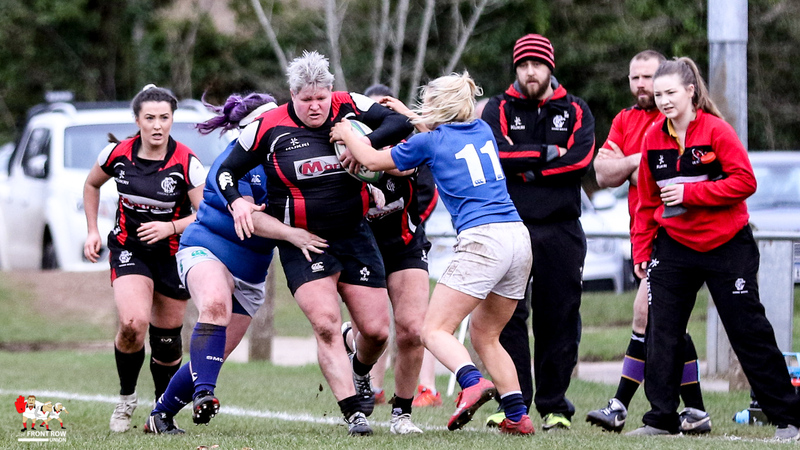 Cooke and St Mary’s College produced an entertaining game at Shawsbridge on Saturday evening to finish off their women’s all Ireland League campaigns, the home side taking the spoils with a 22 – 20 win. 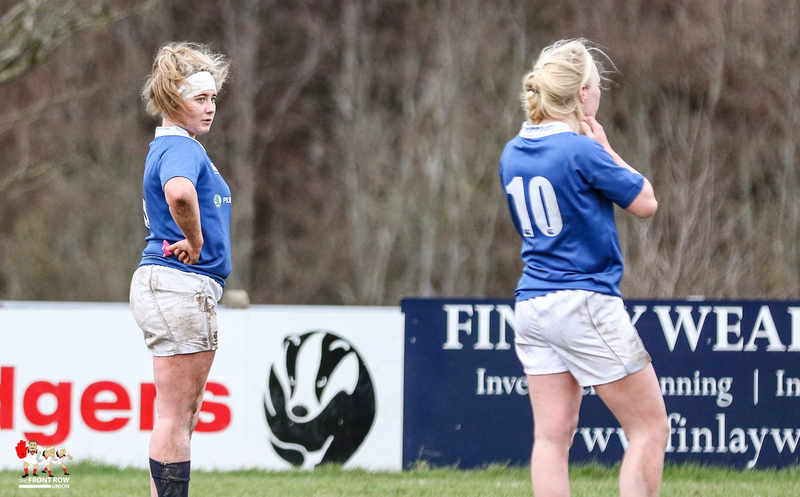 St Mary’s started the game in determined mood, as they looked to put a disappointing campaign behind them. 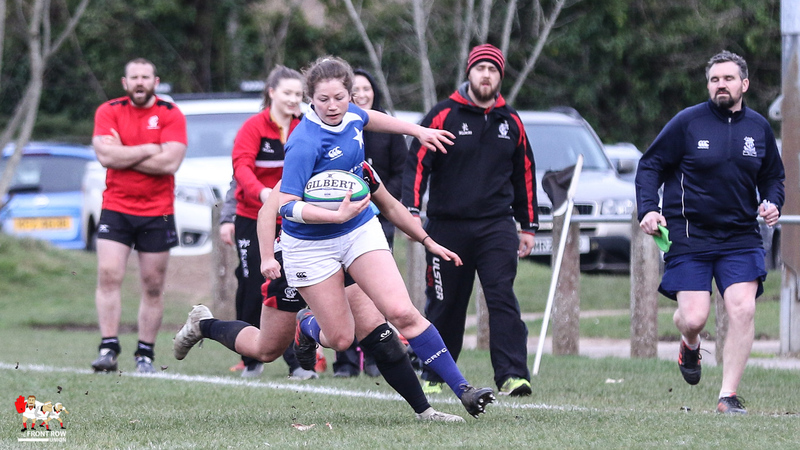 After a period of sustained pressure Henna Heskin broke through the home sides defence to score the opening try. 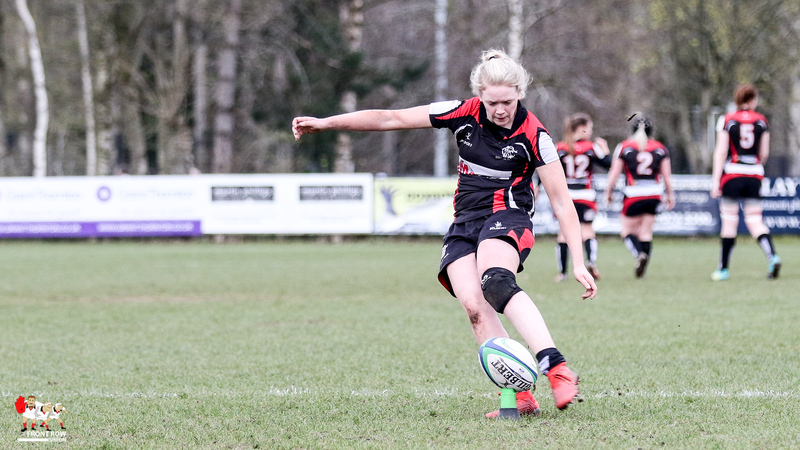 Jet Duinmeijer converted to give Mary’s a 0 – 7 lead. 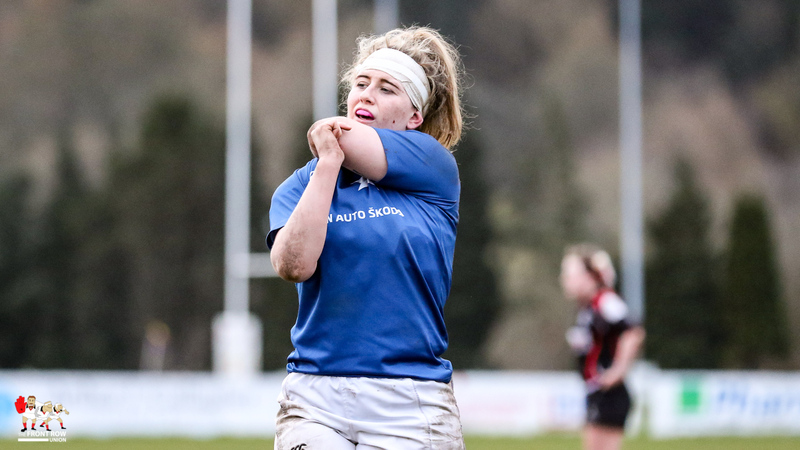 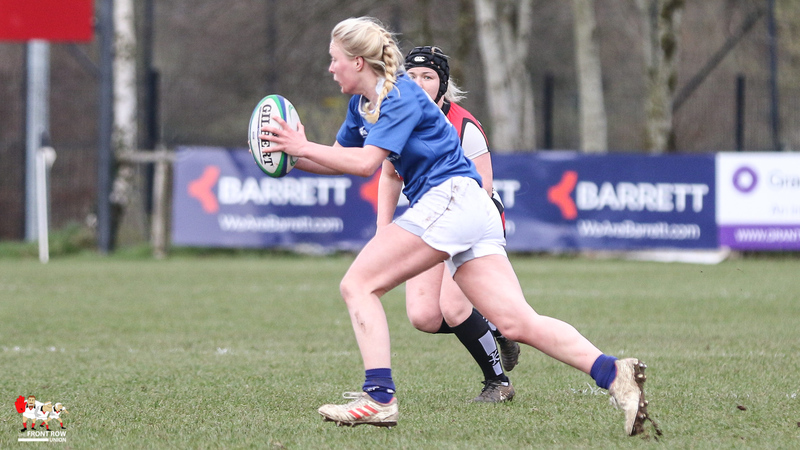 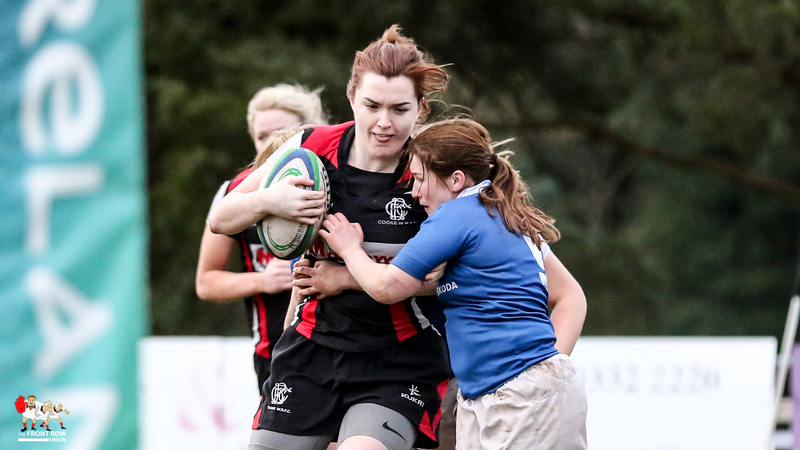 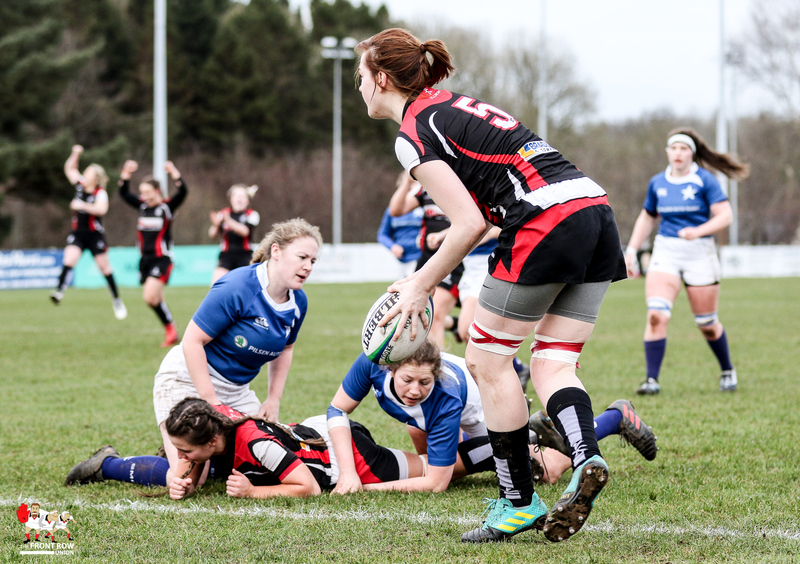 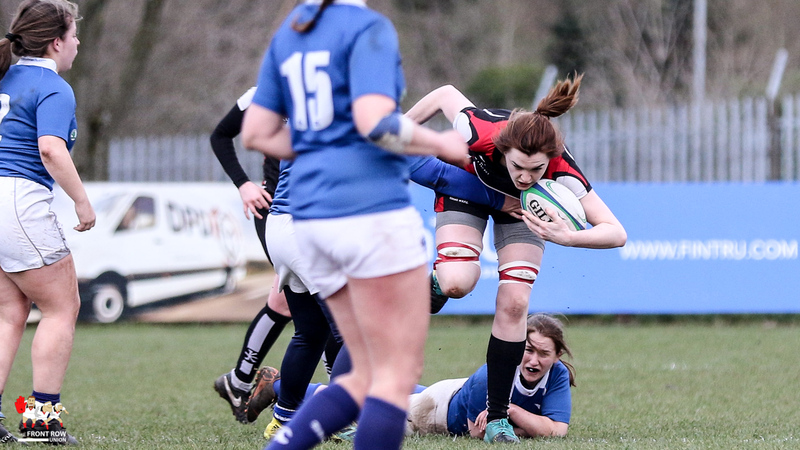 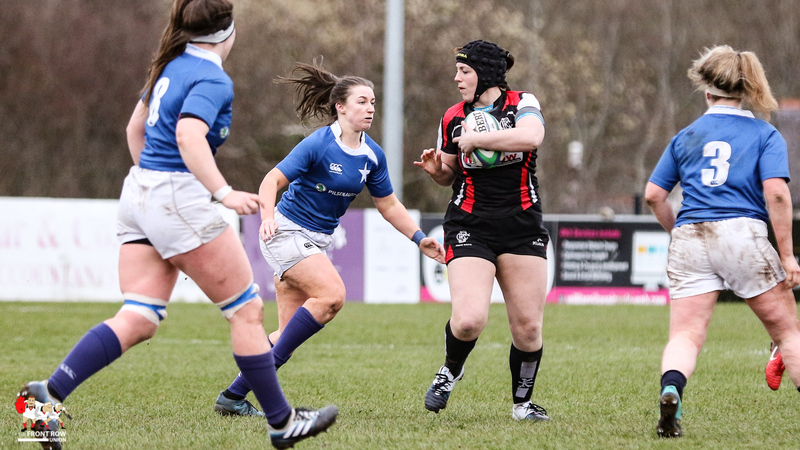 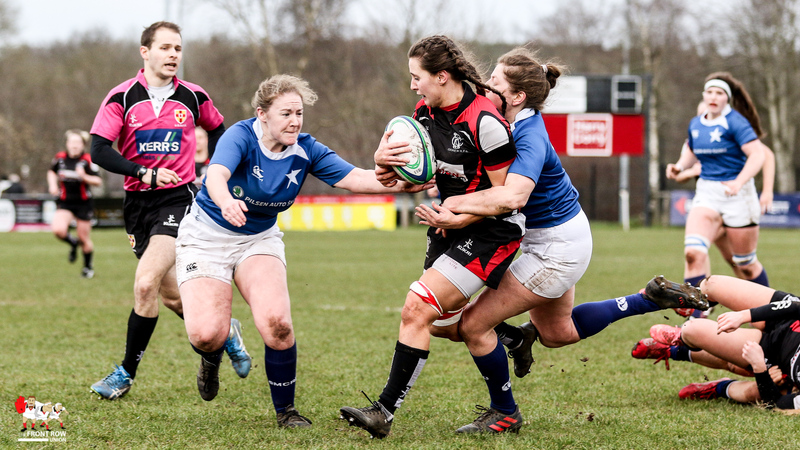 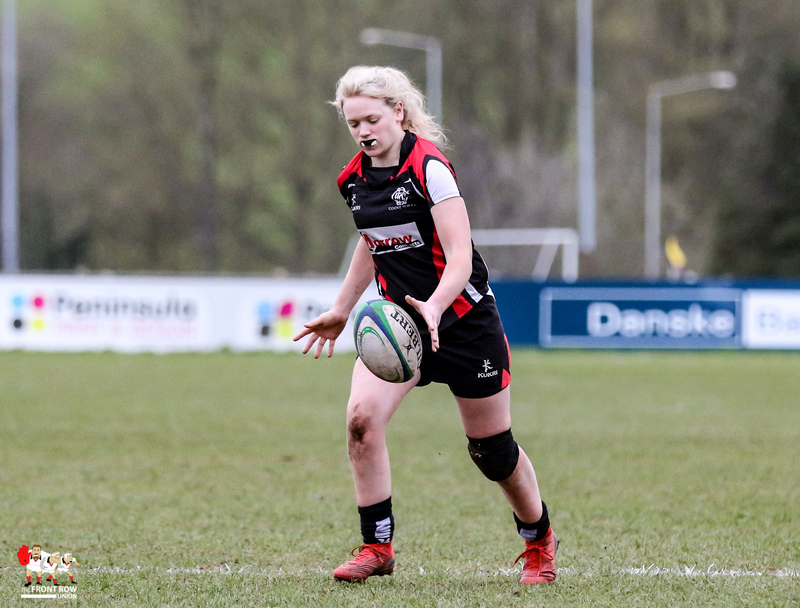 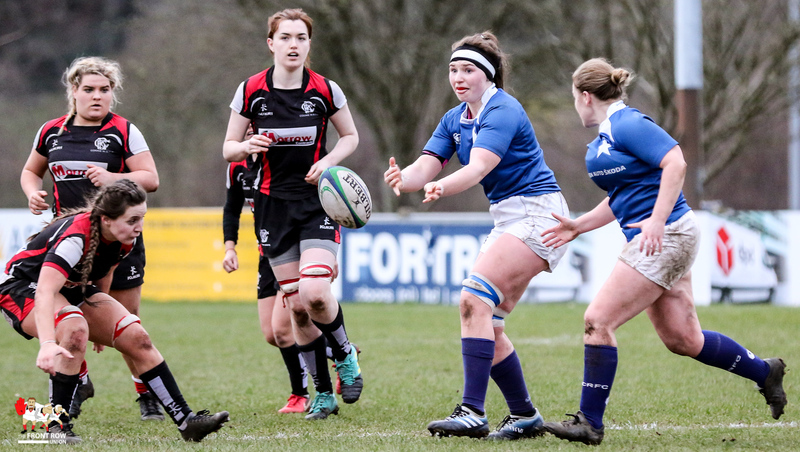 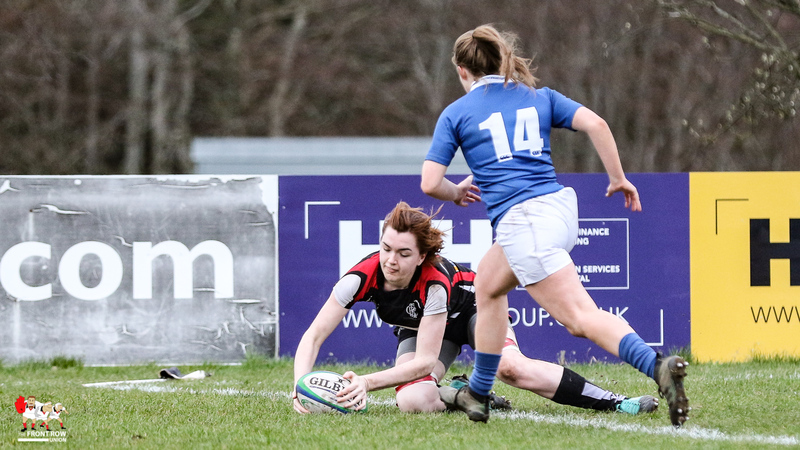 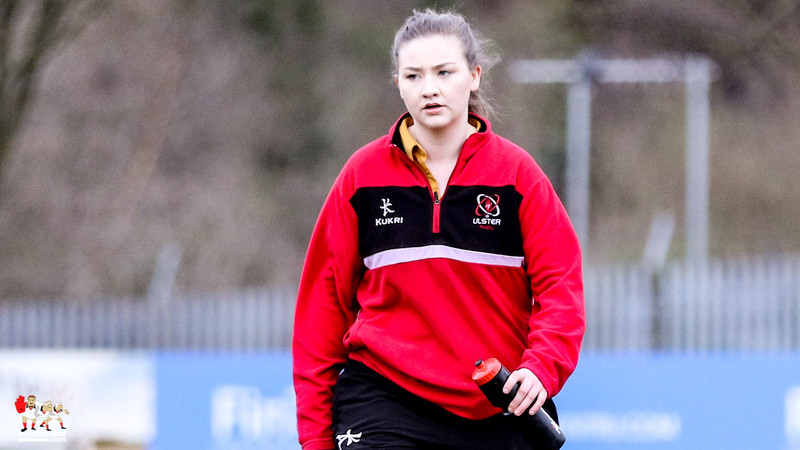 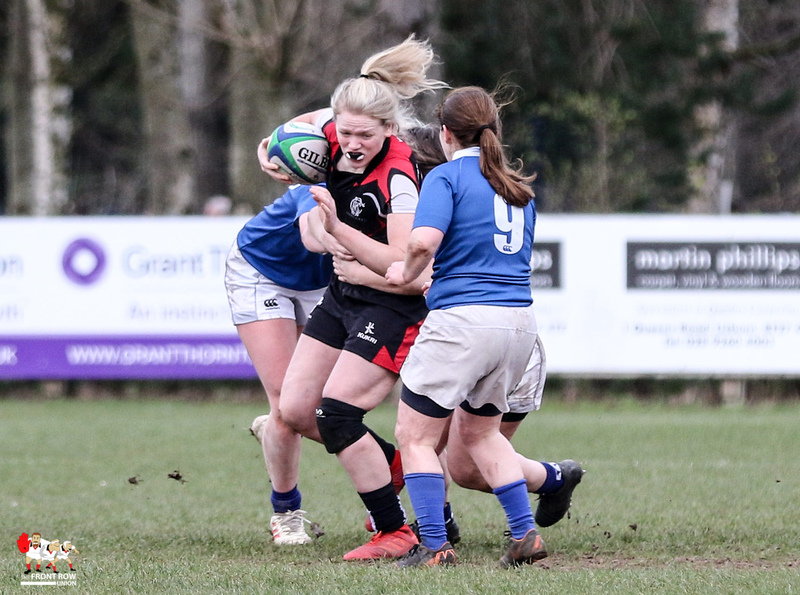 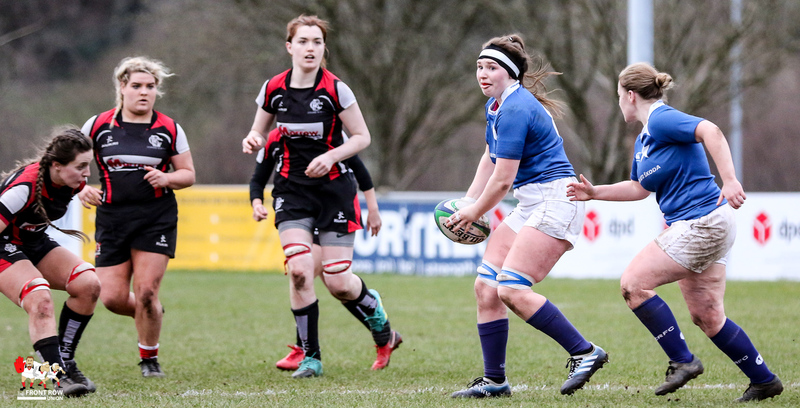 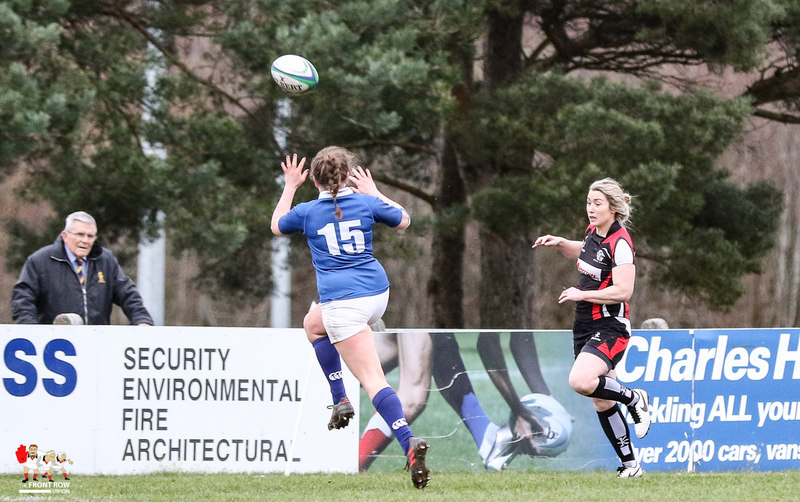 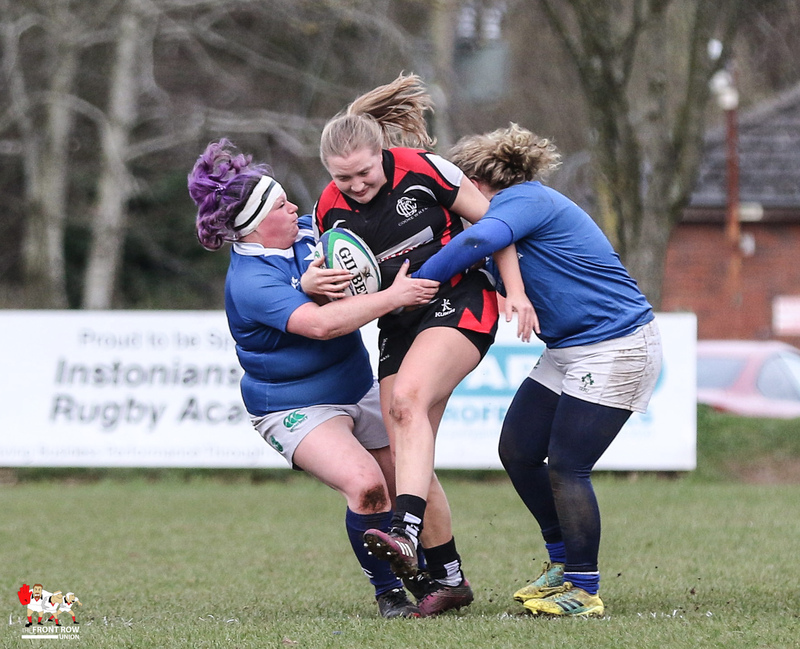 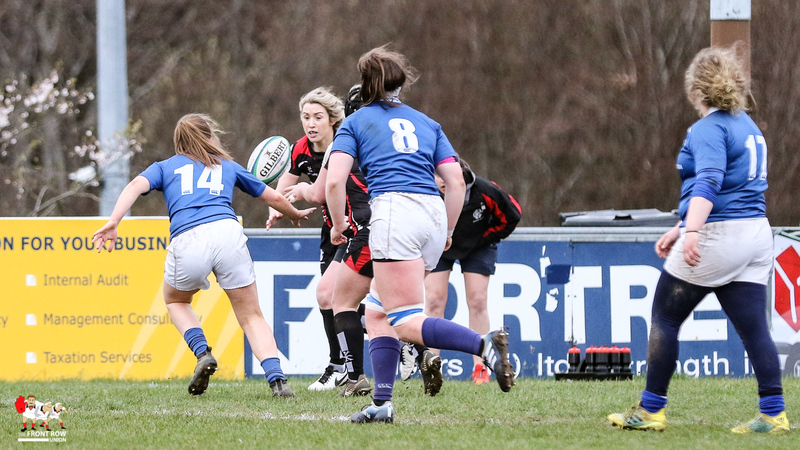 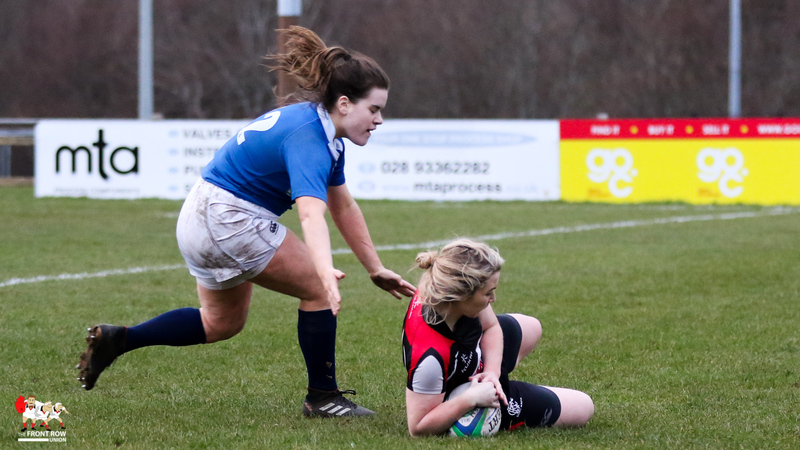 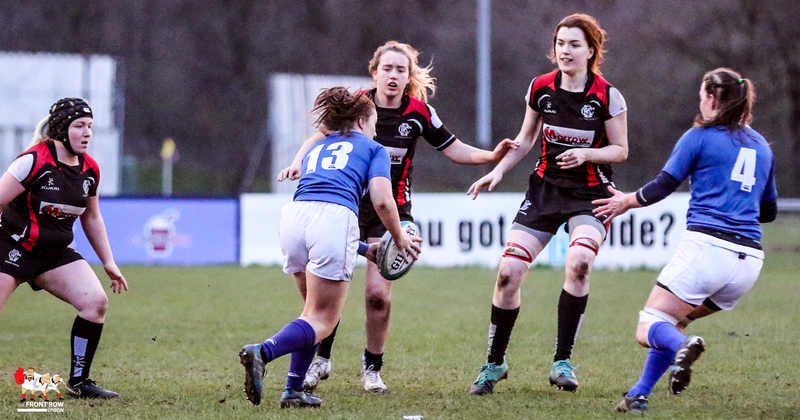 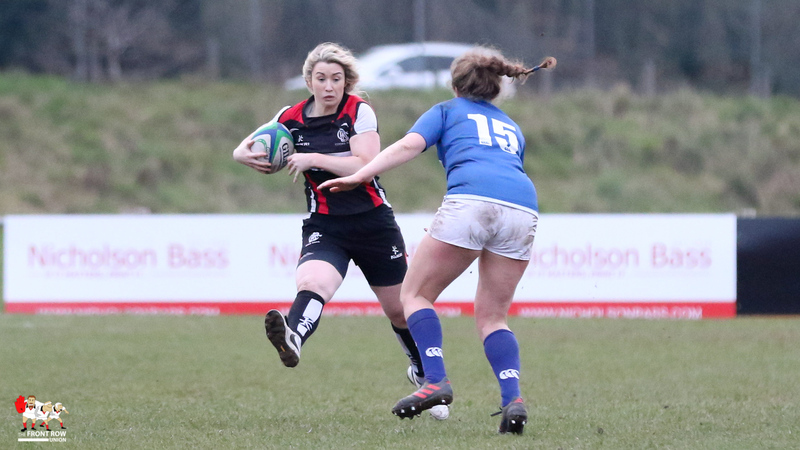 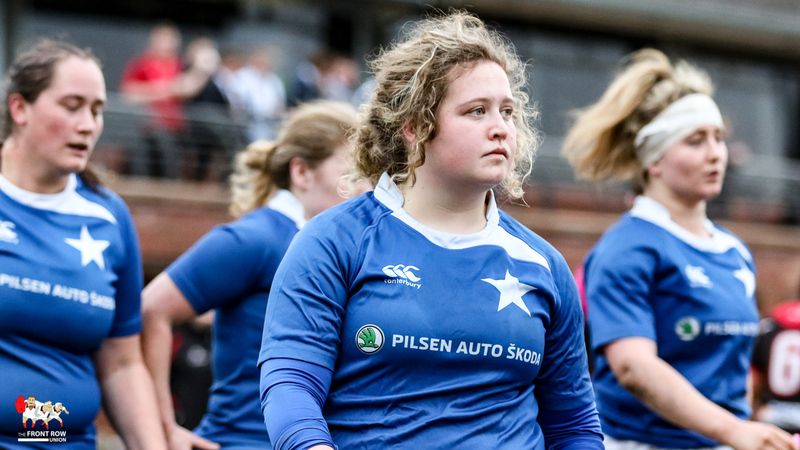 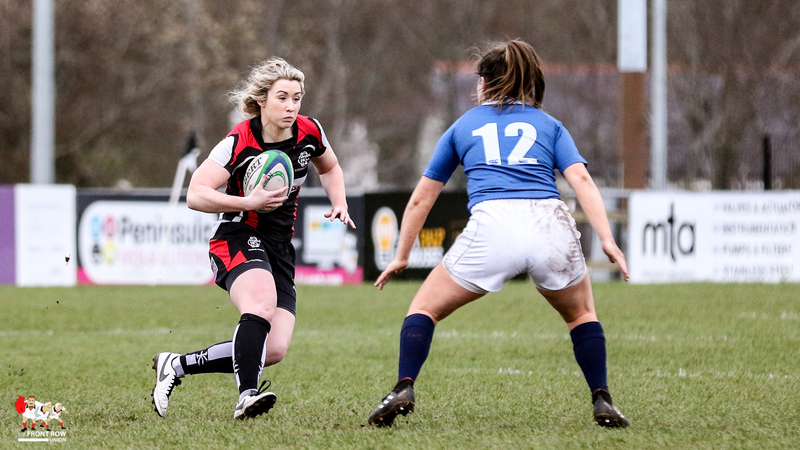 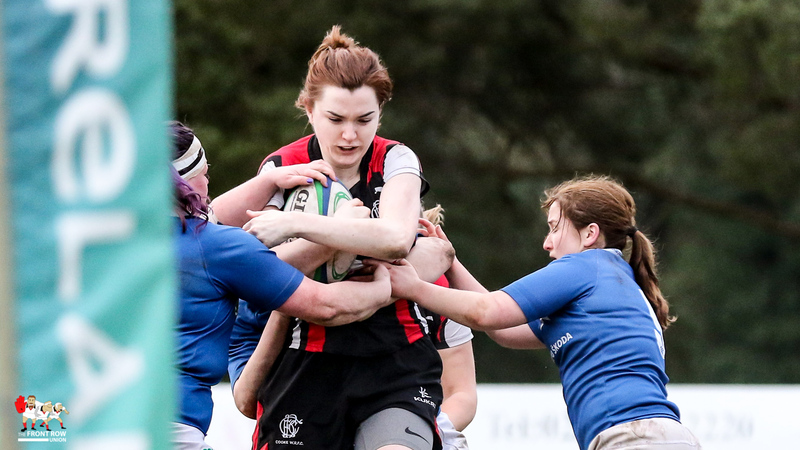 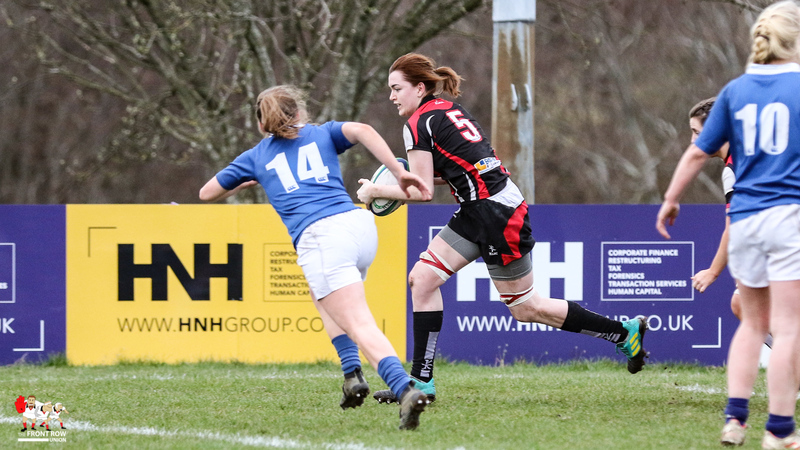 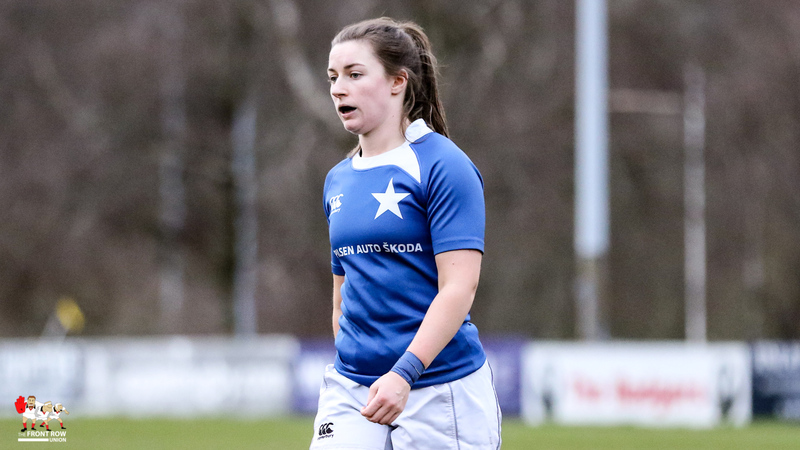 Cooke struck back with a wonderful try, started by Maeve Liston moved on by Claire Johnston and Beth Cregan with Naomi McCullagh on hand to touch it down taking the score to 5 – 7. 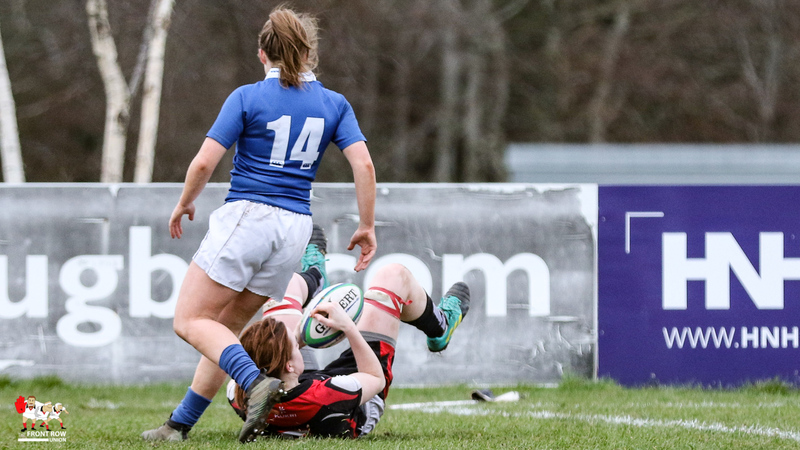 McCullagh looked to have crossed for her second minutes later only to be pulled back for an crossing infringement. 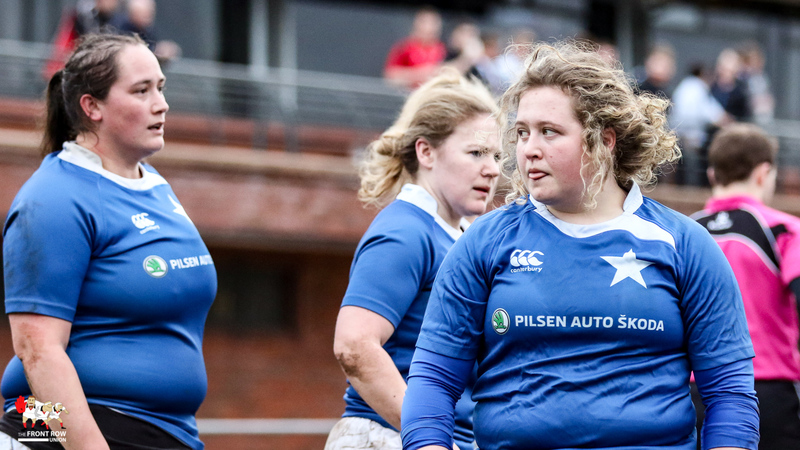 St Mary’s retained their composure and worked their way down field for Duinmeijer to knock over a penalty to push their lead out to 5 points before a powerful run from Ilse van Staden saw the outstanding prop cross for Cooke’s second. 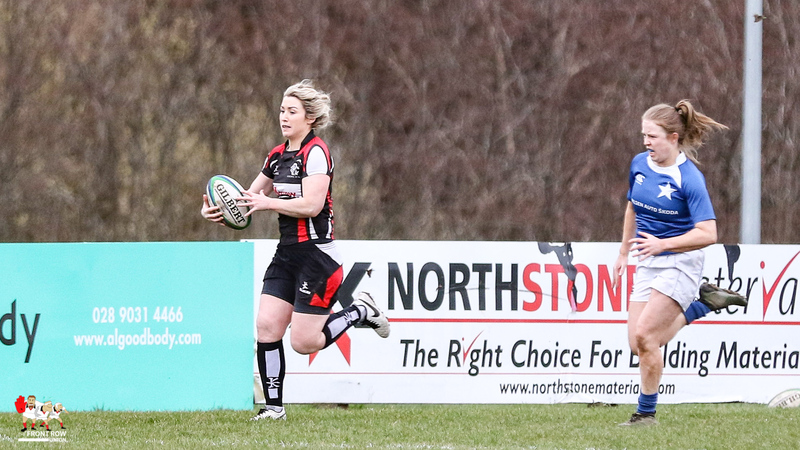 Still no conversion for Cooke leaving the game tied at 10 all. 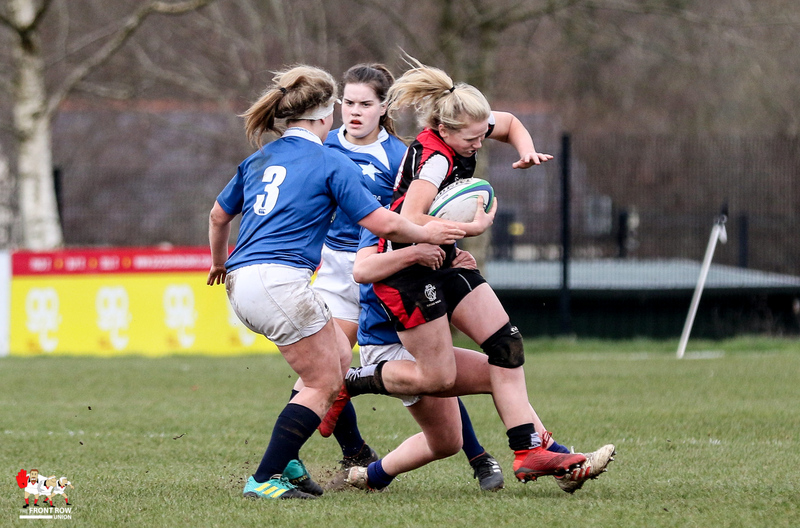 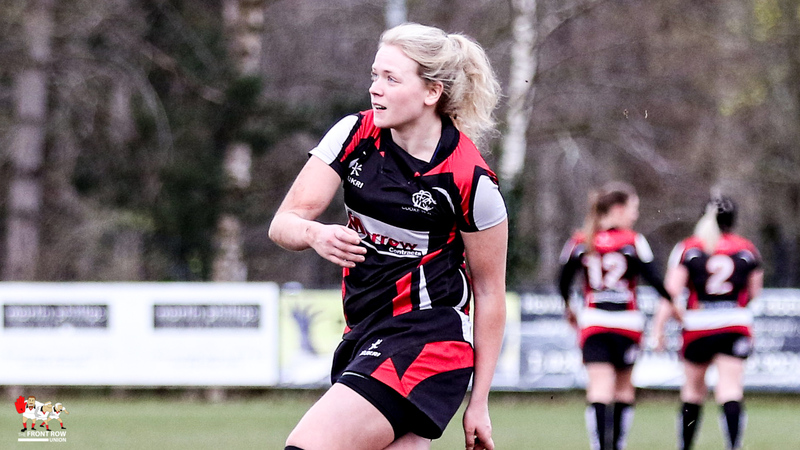 However, St Mary’s were determined to get something out of this season and a period of pressure before the break saw them take a 10 – 13 lead at half time after Duinmeijer knocked over her second penalty. 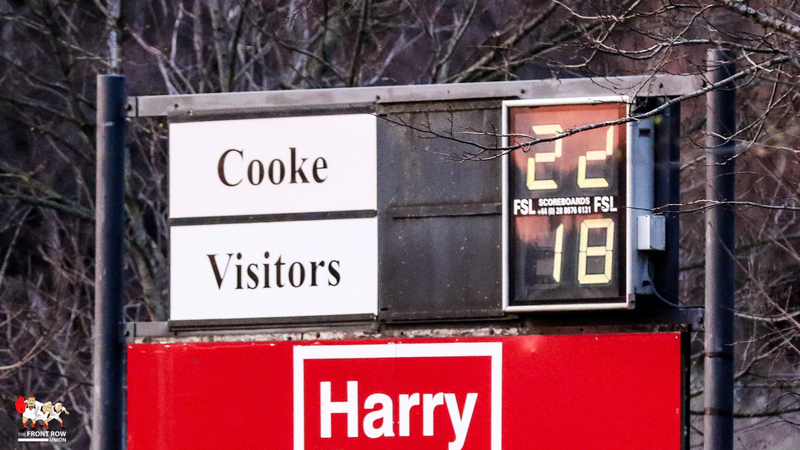 Cooke started the second half strongly but St Mary’s made them work hard for any territory. 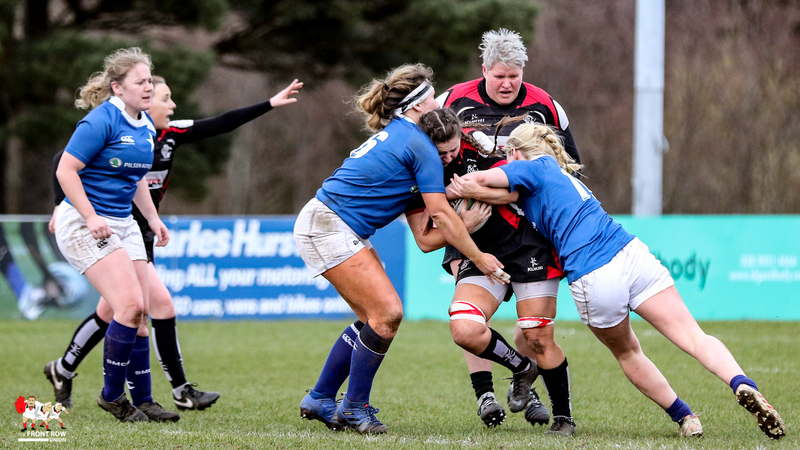 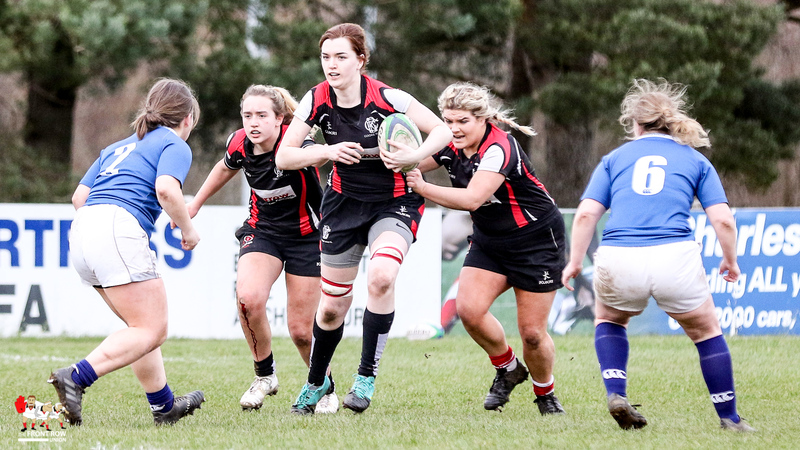 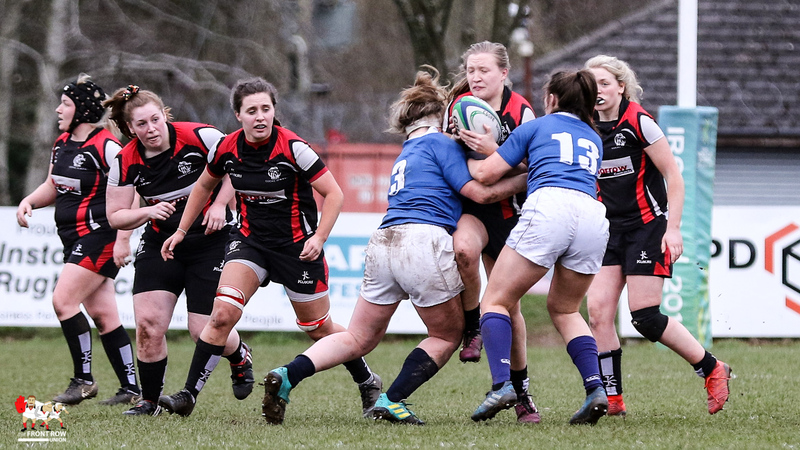 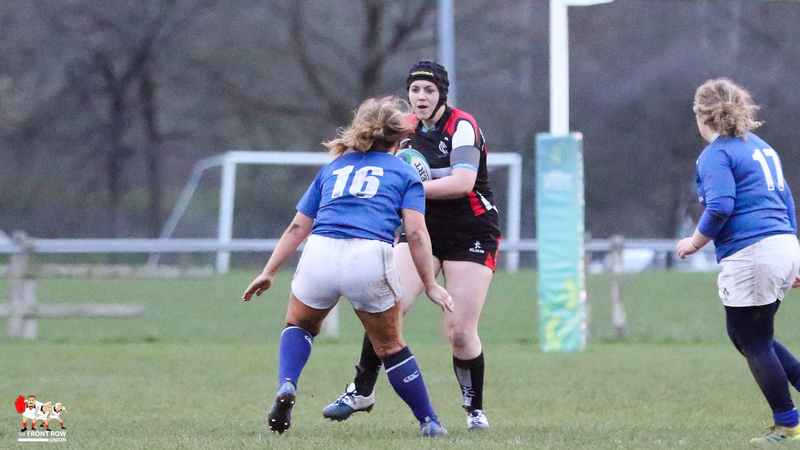 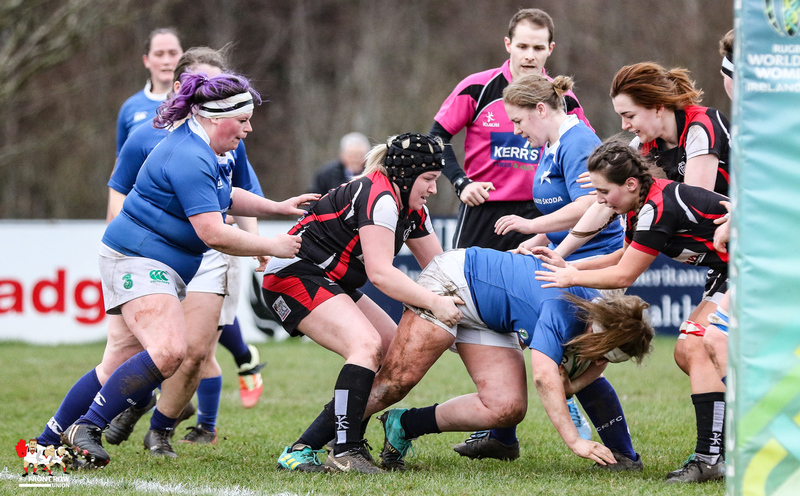 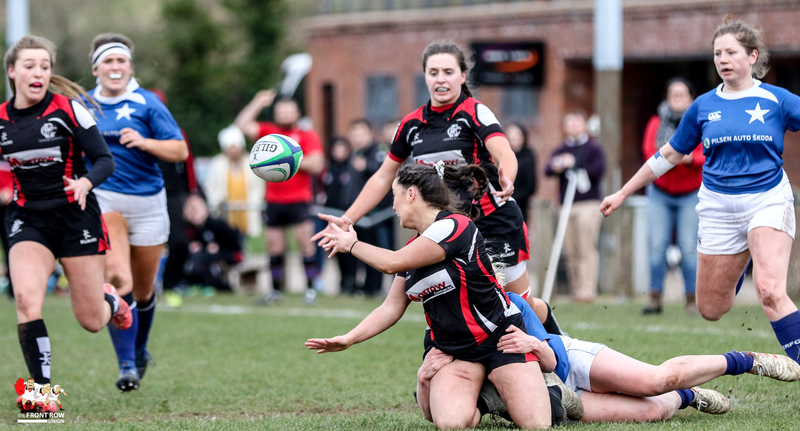 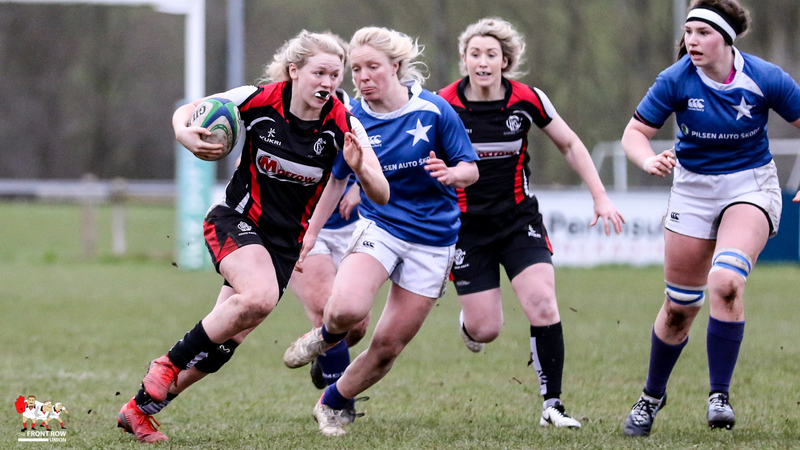 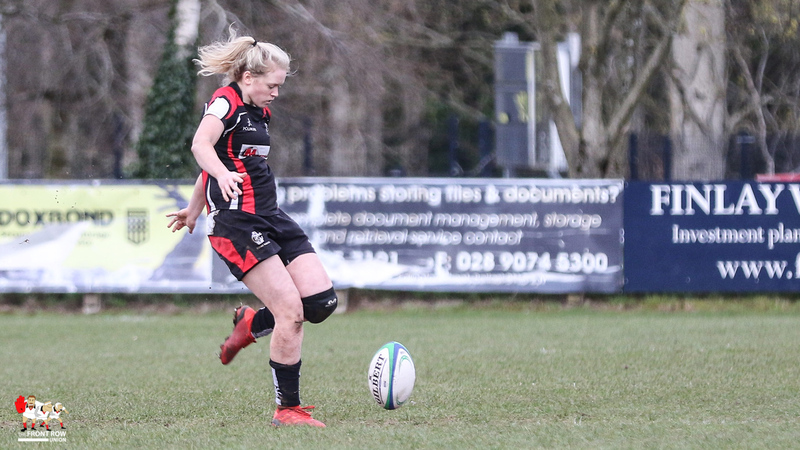 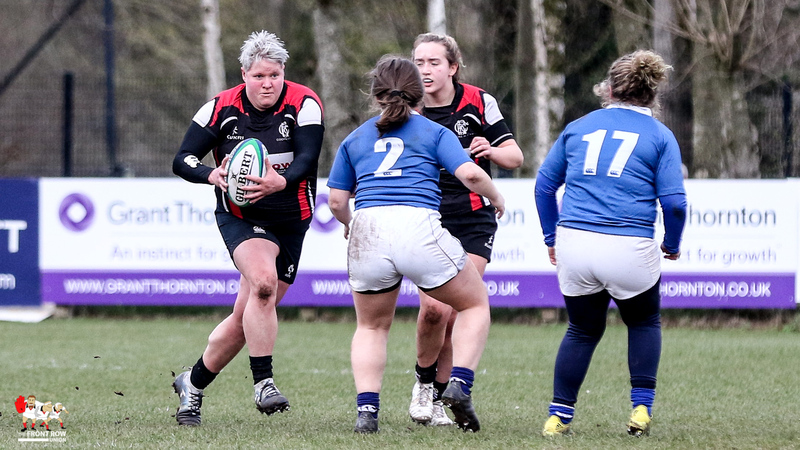 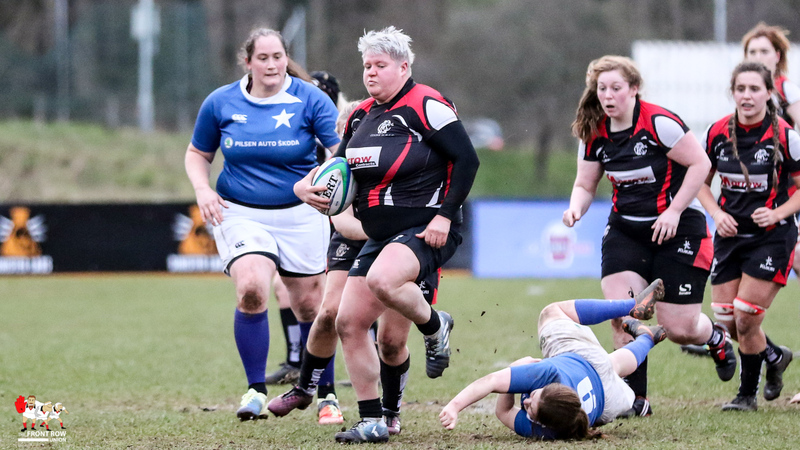 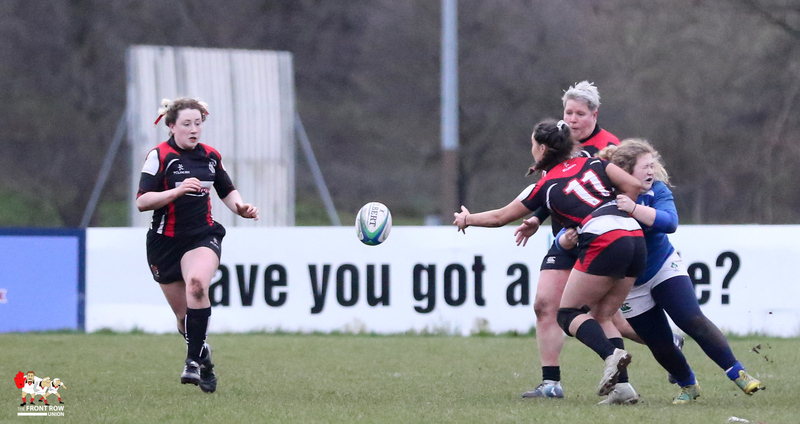 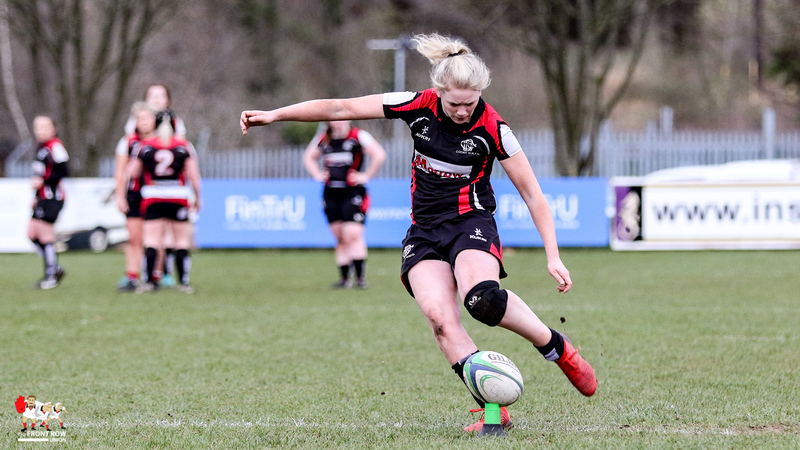 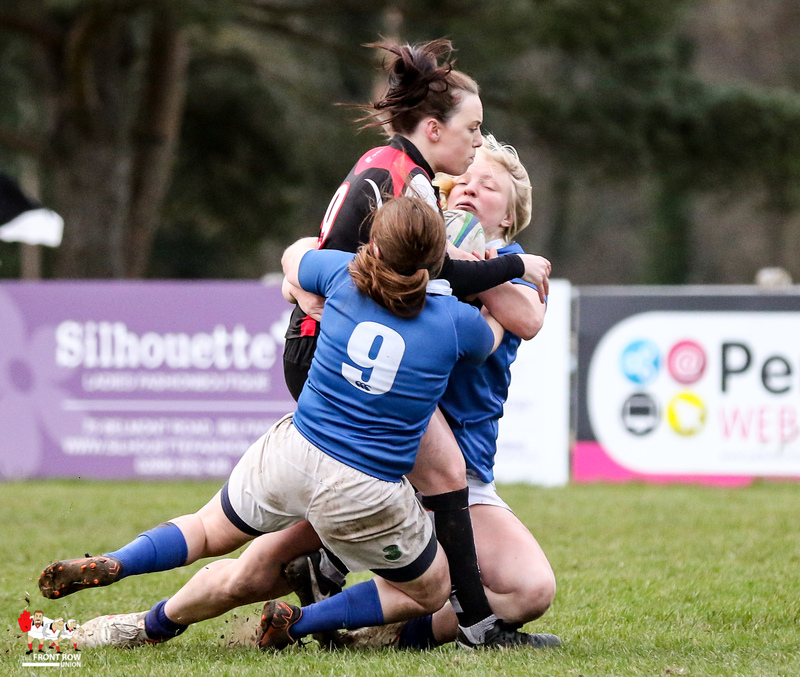 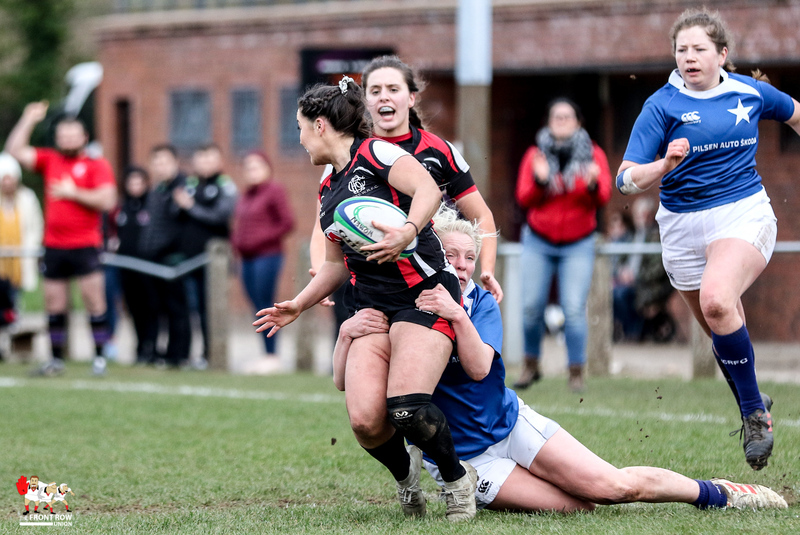 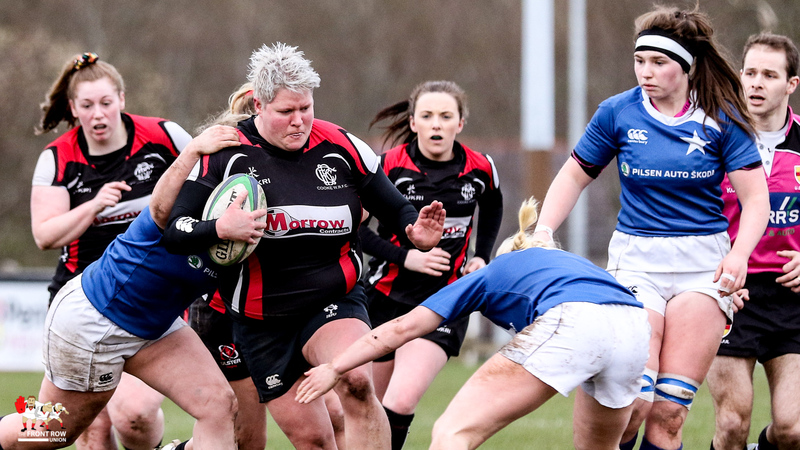 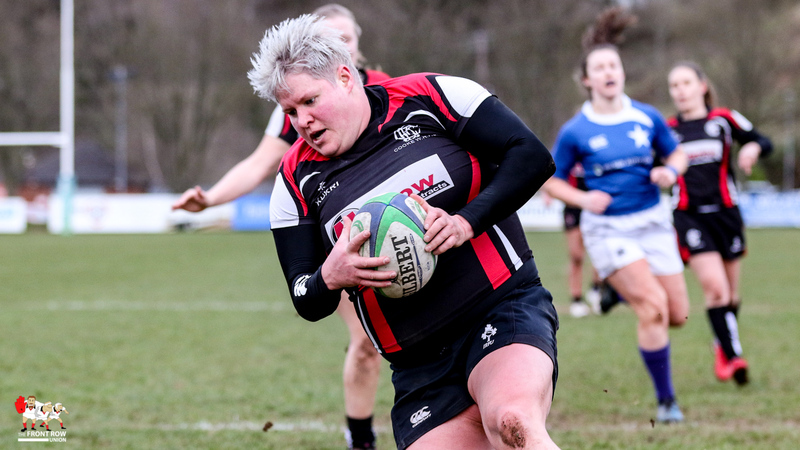 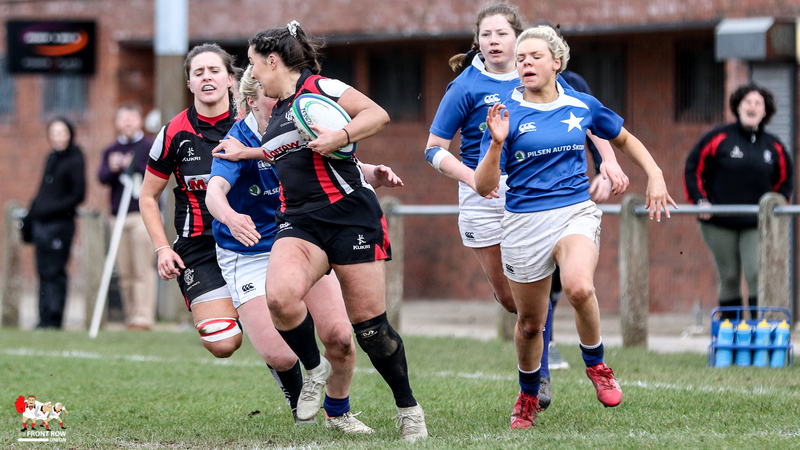 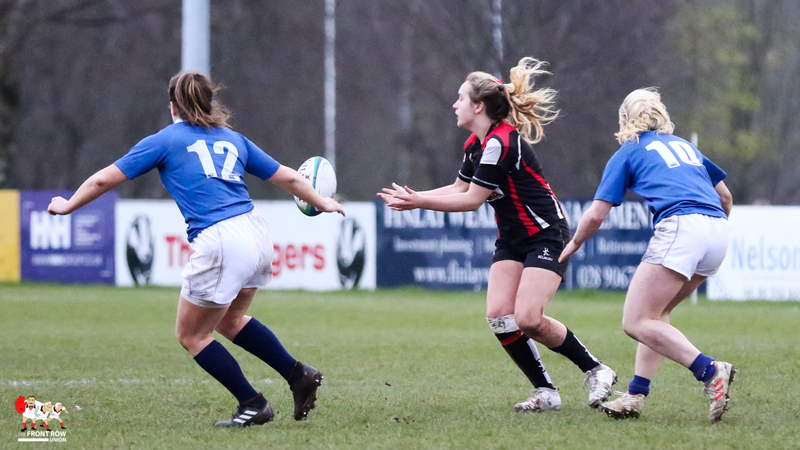 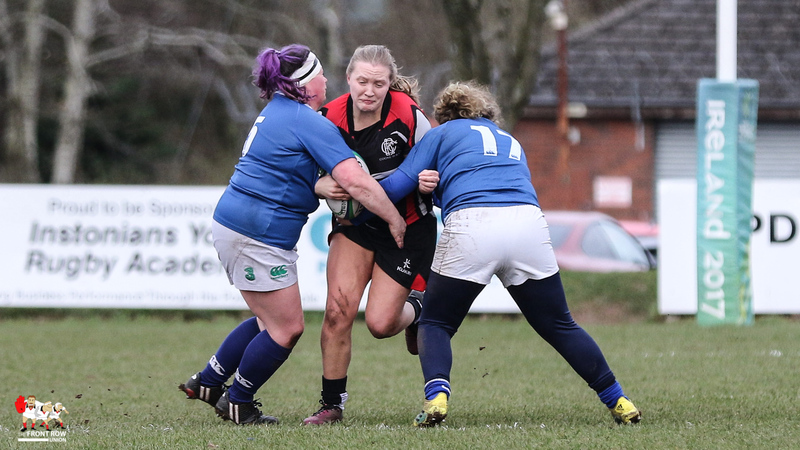 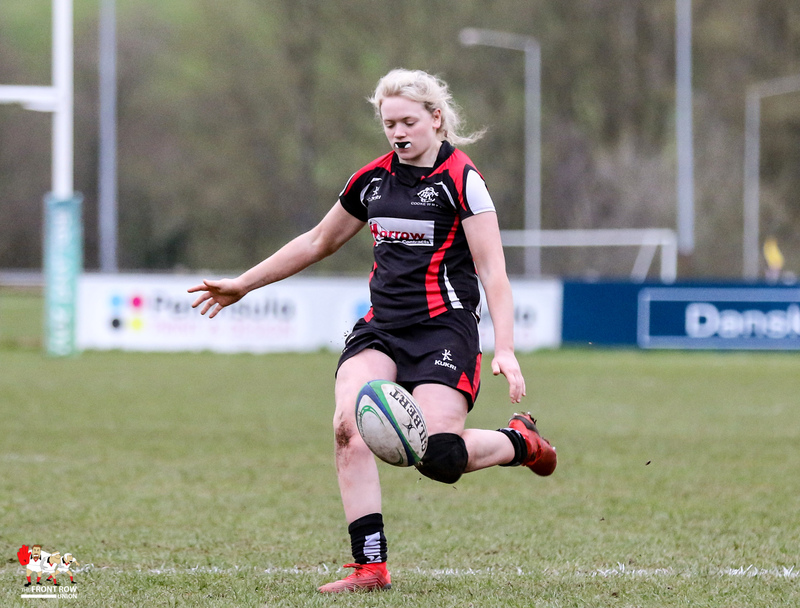 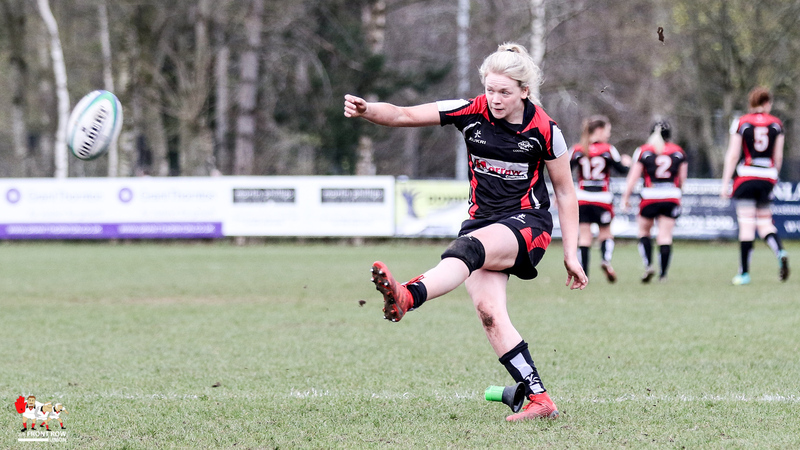 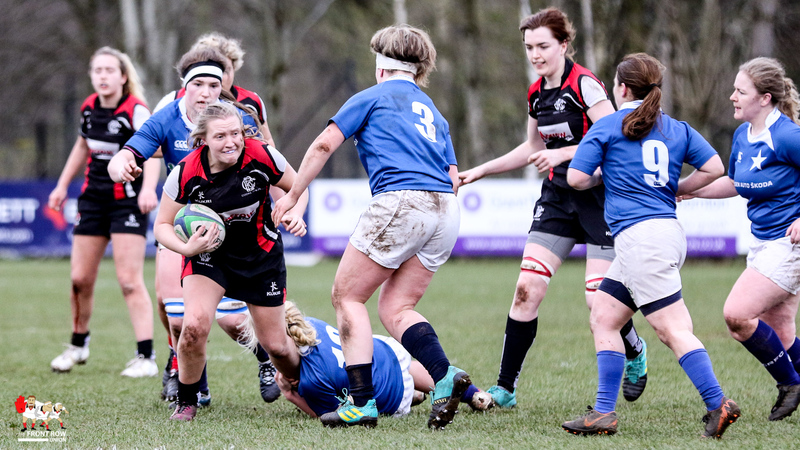 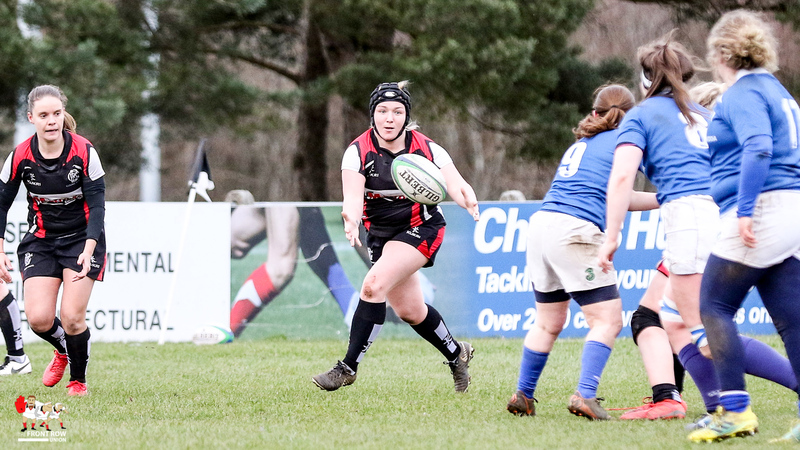 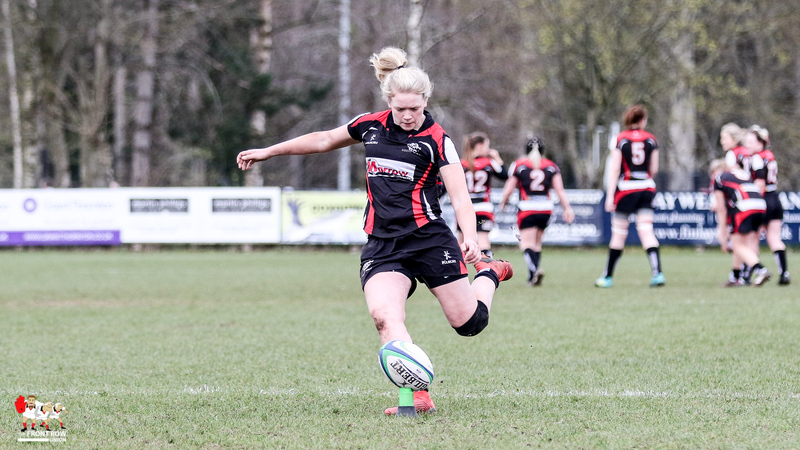 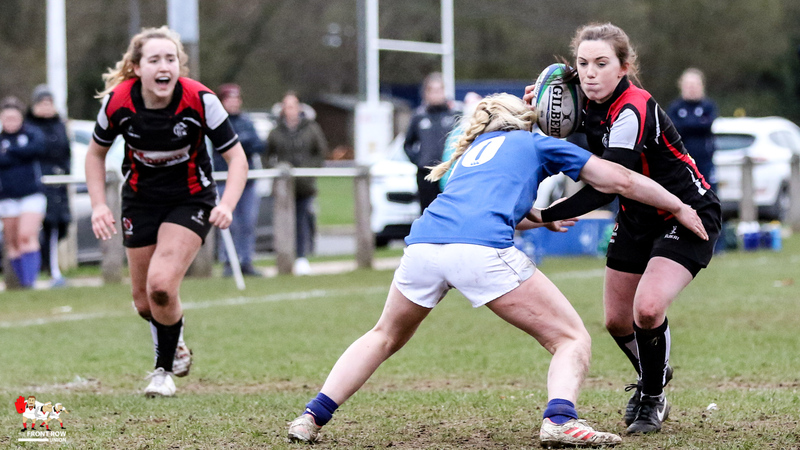 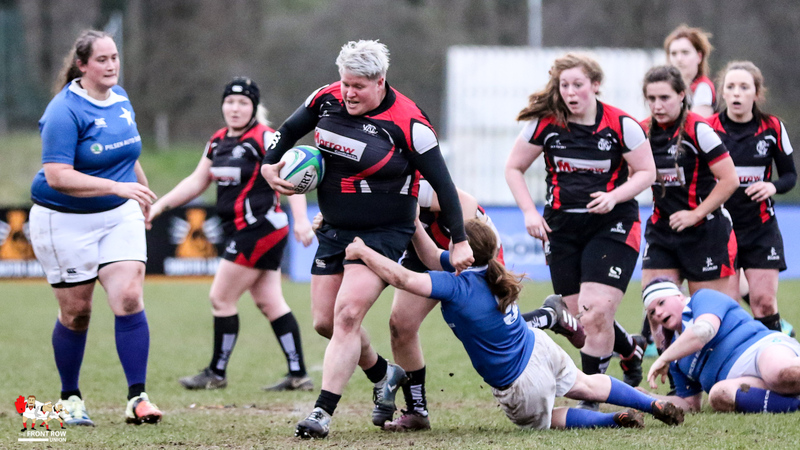 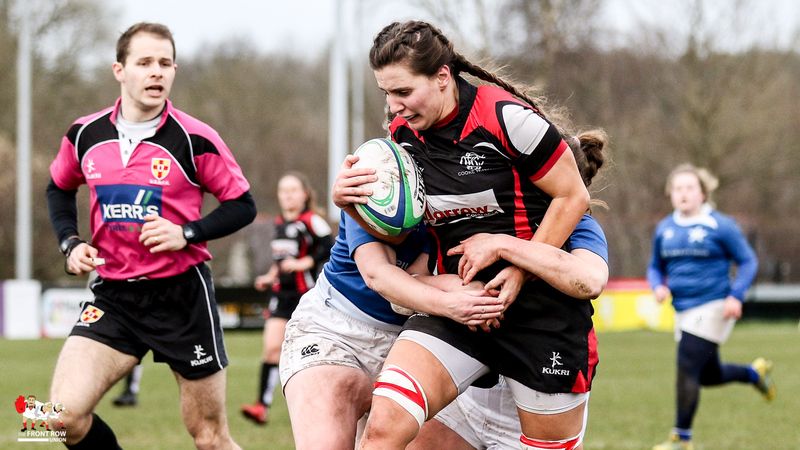 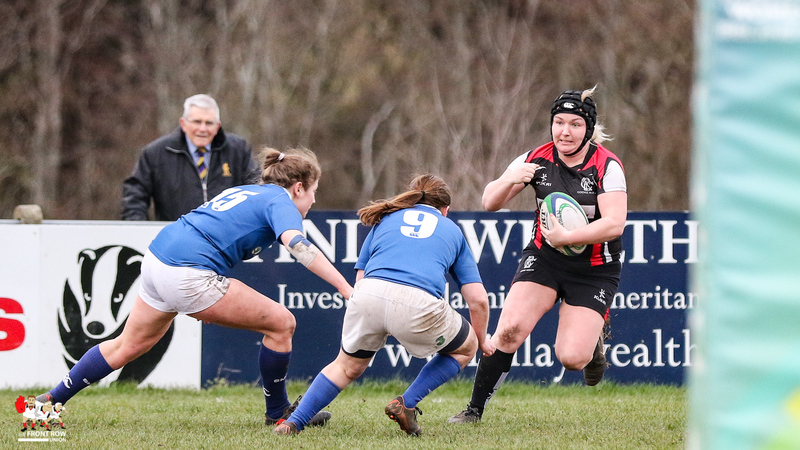 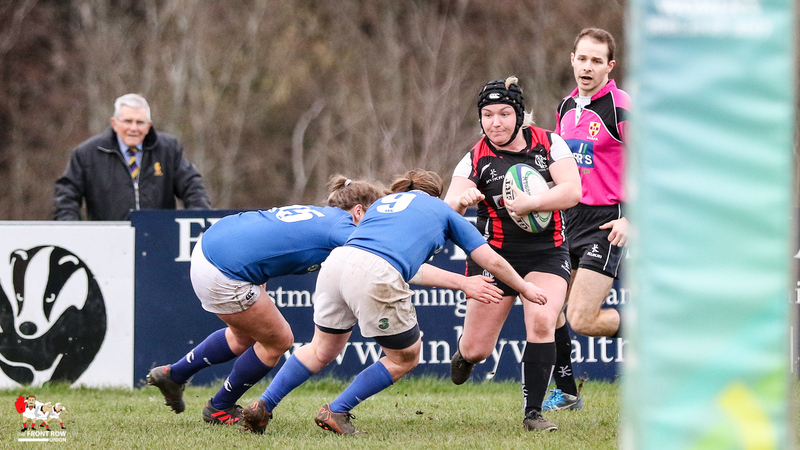 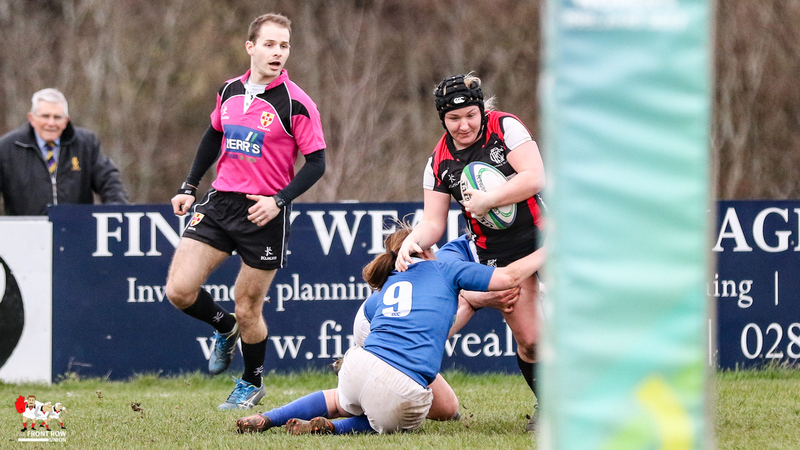 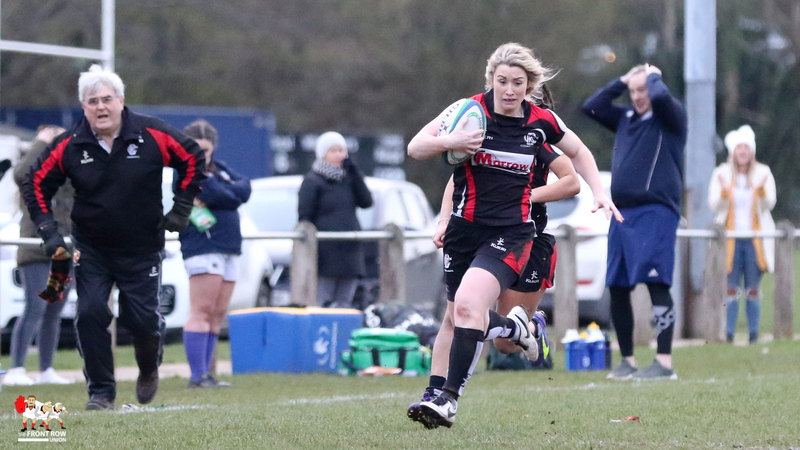 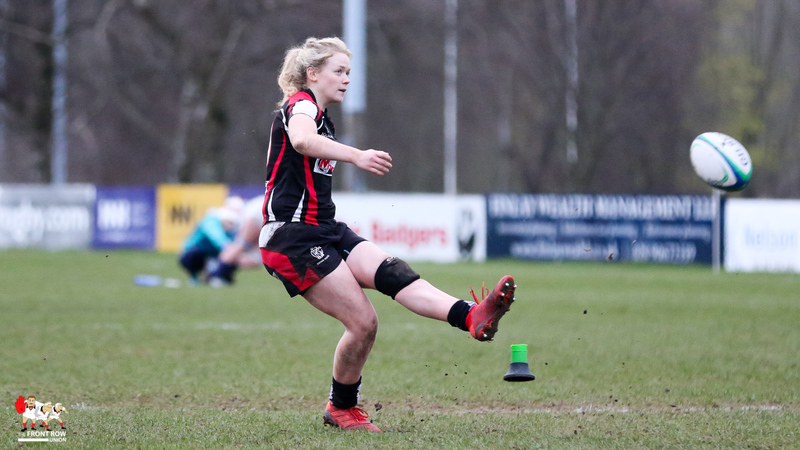 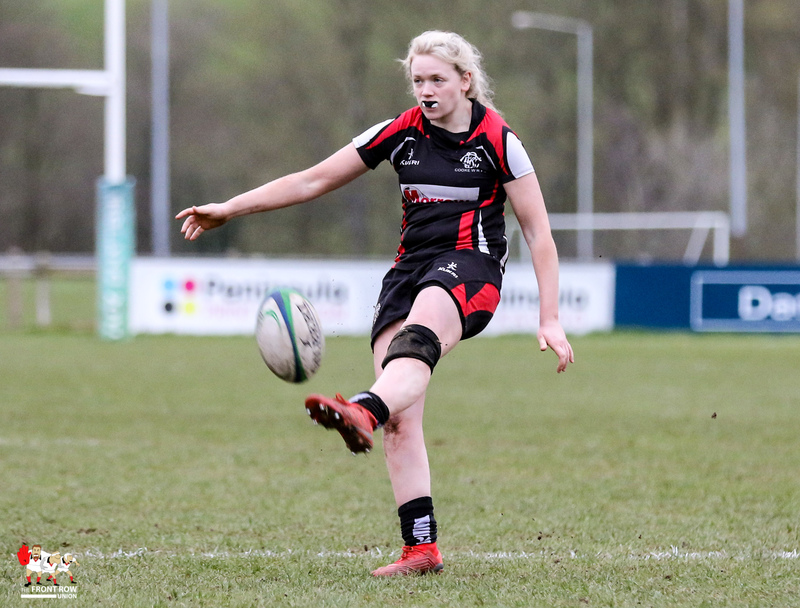 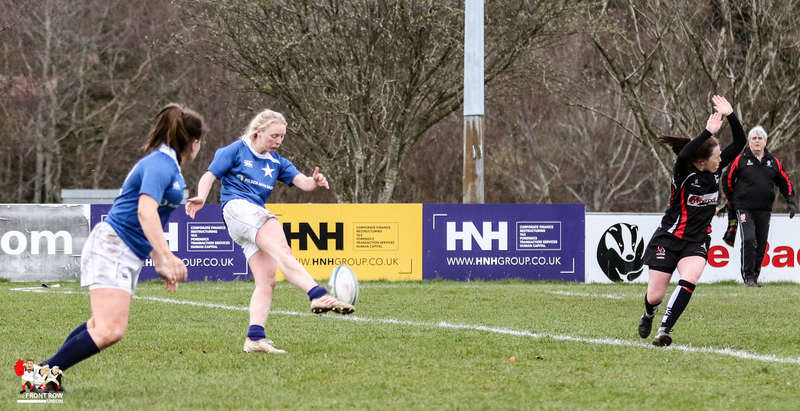 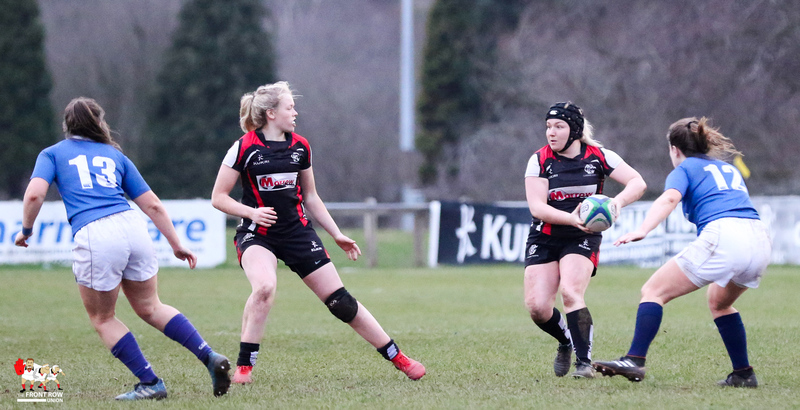 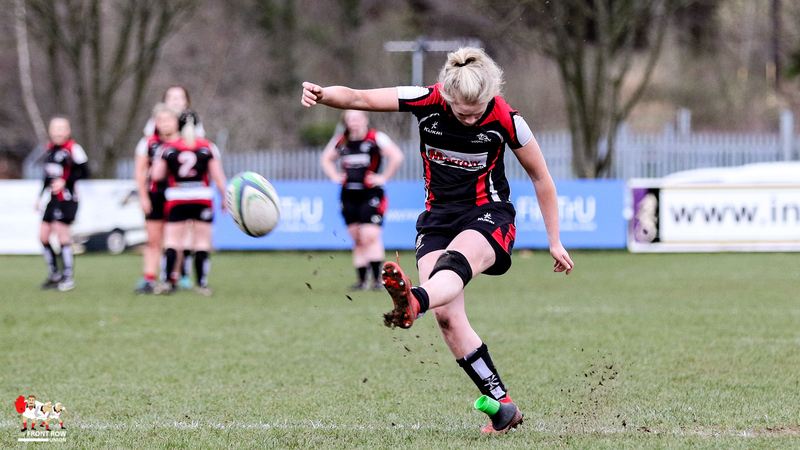 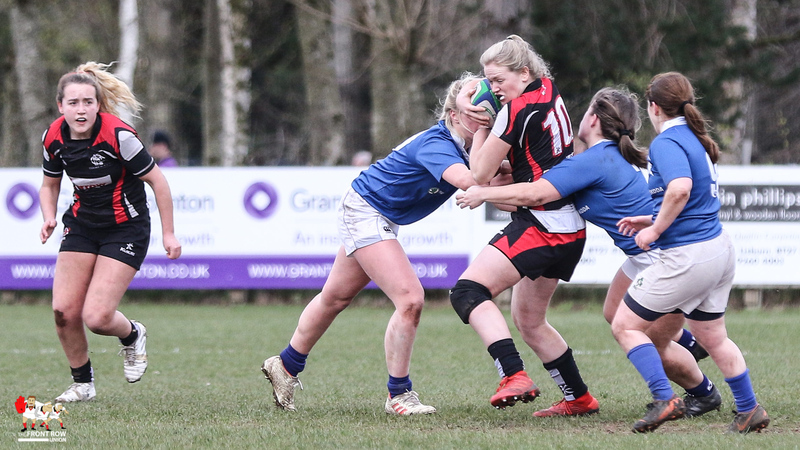 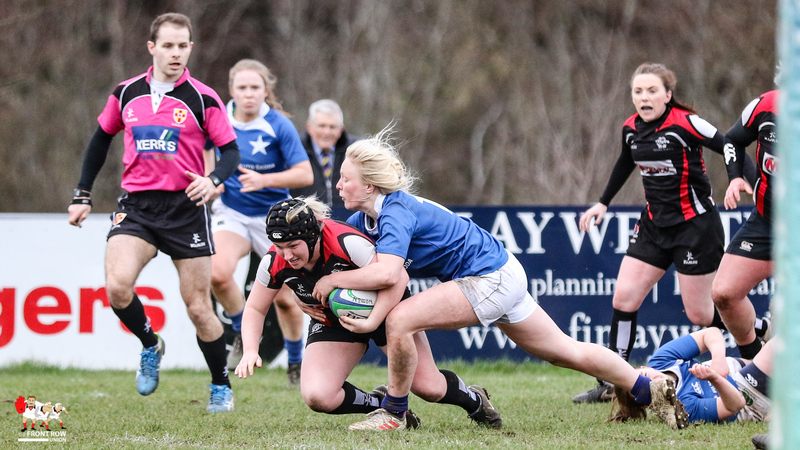 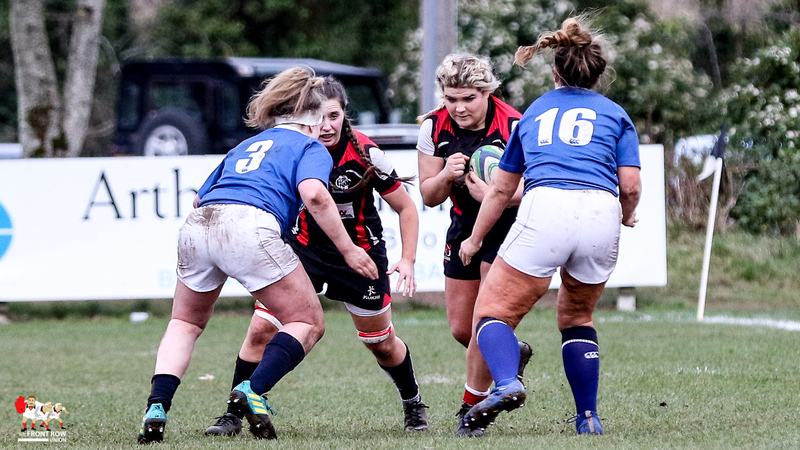 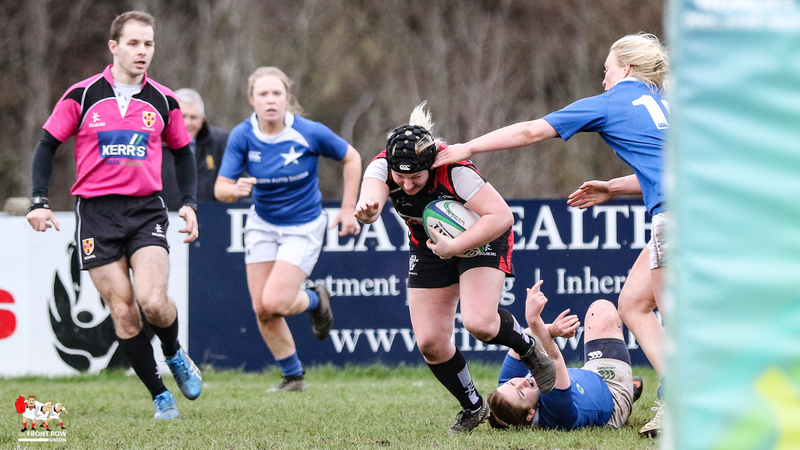 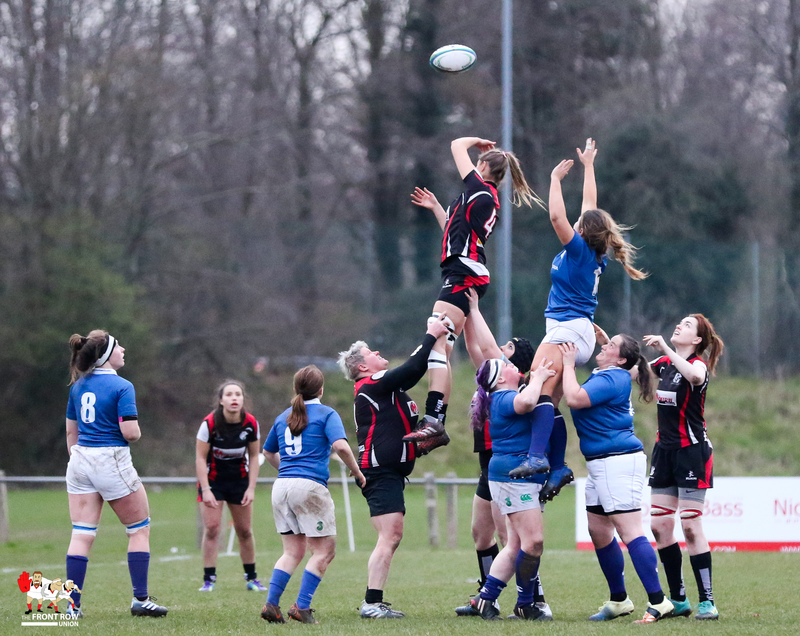 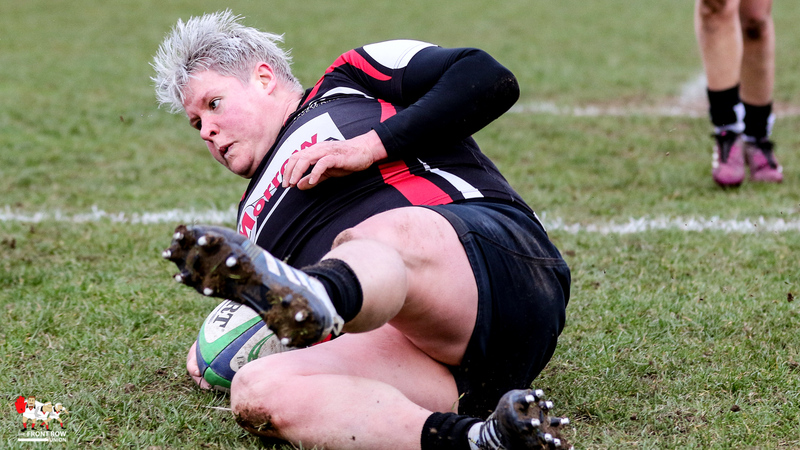 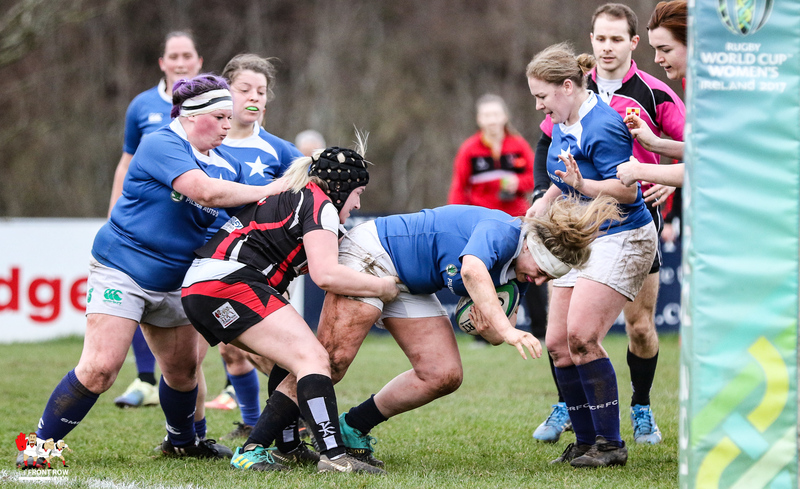 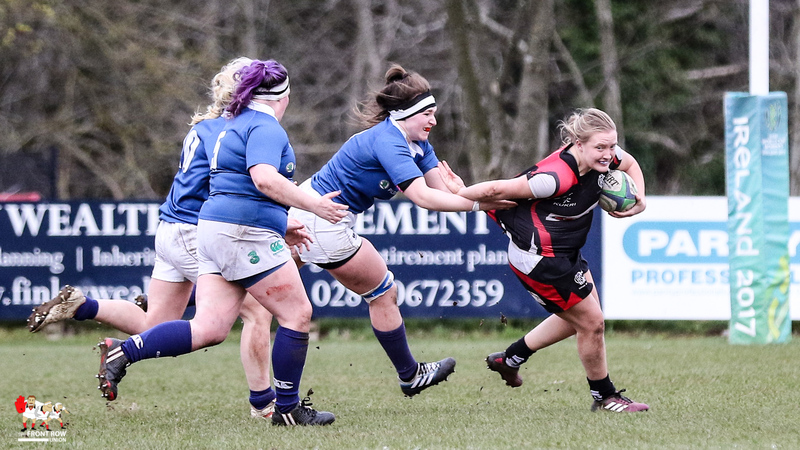 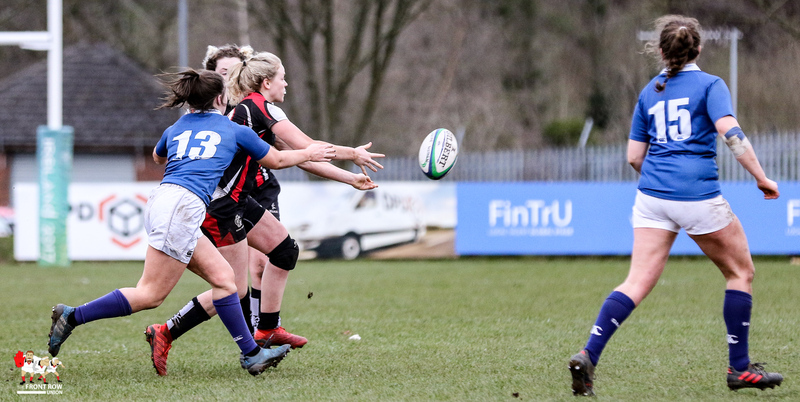 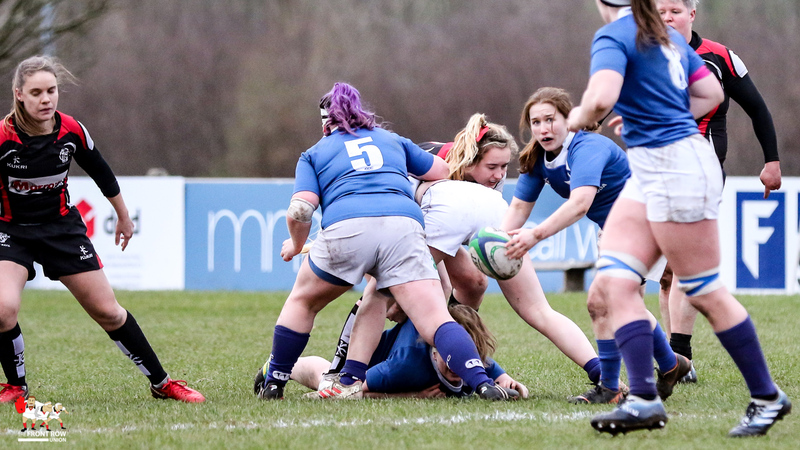 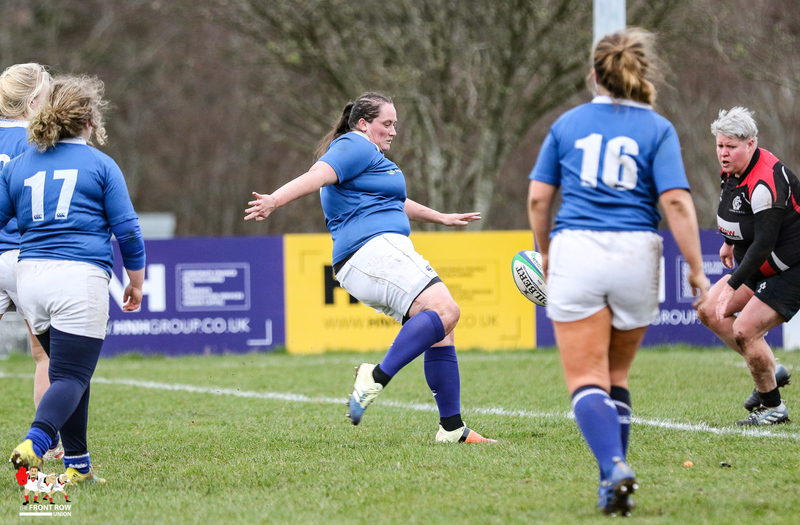 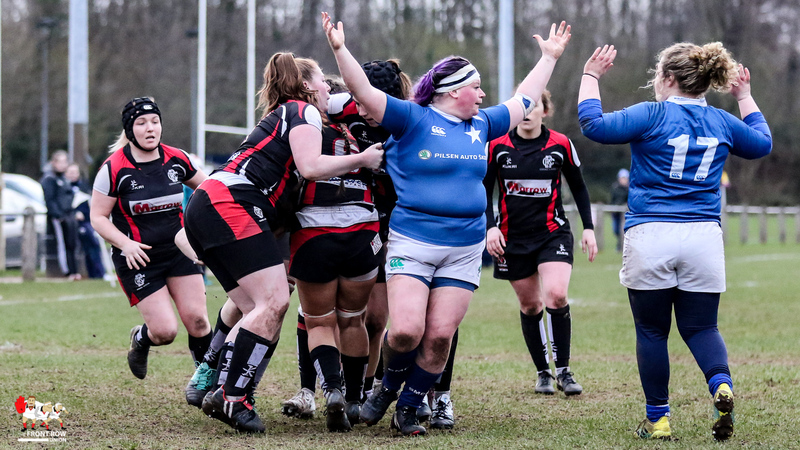 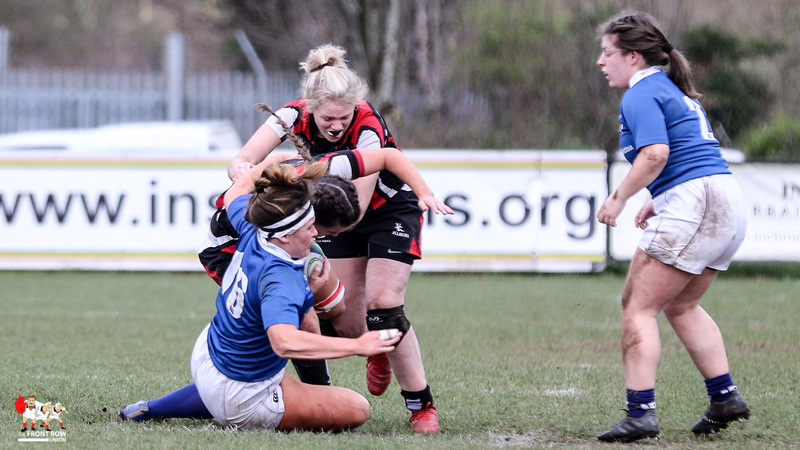 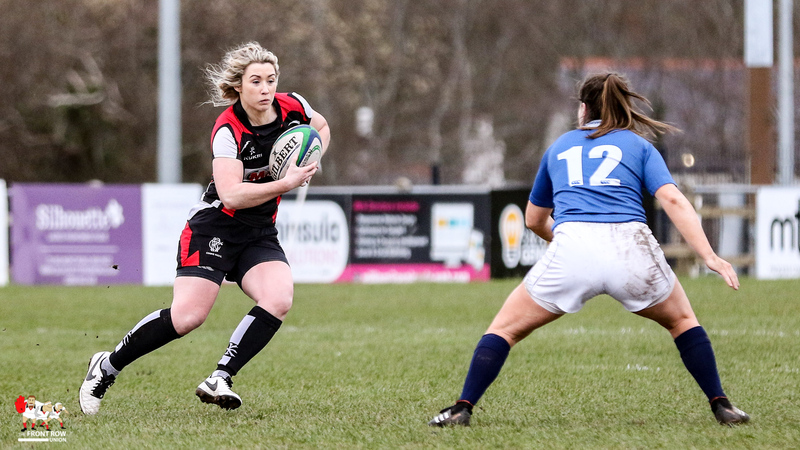 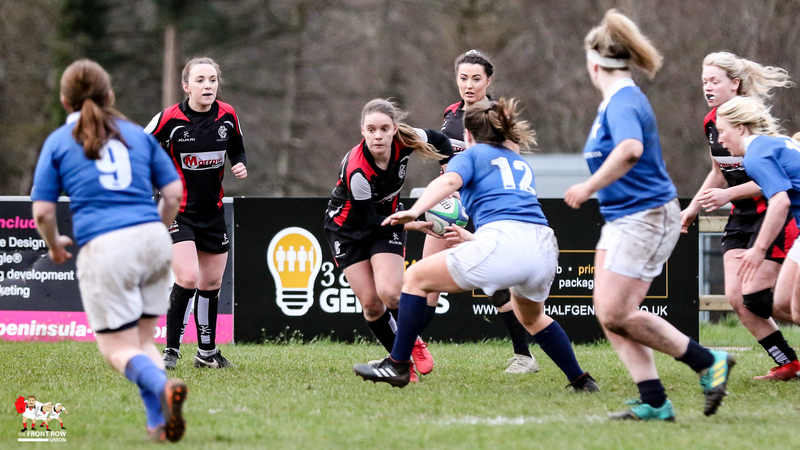 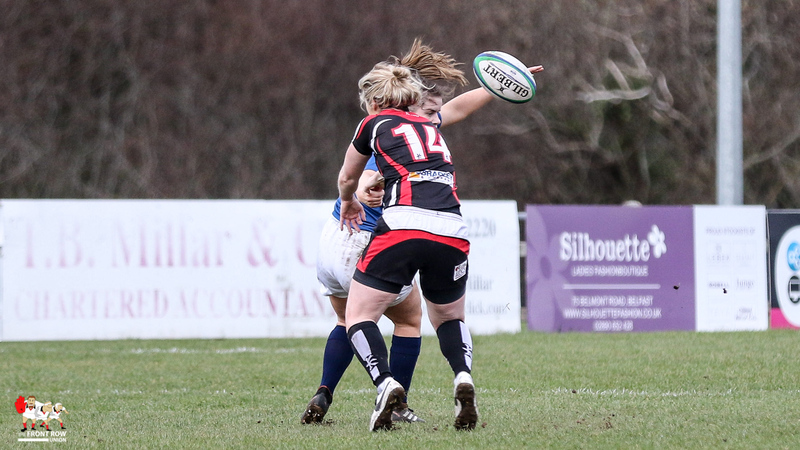 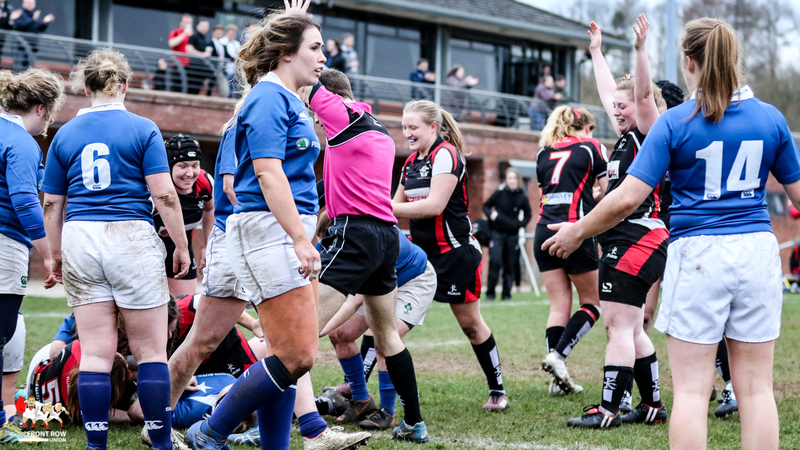 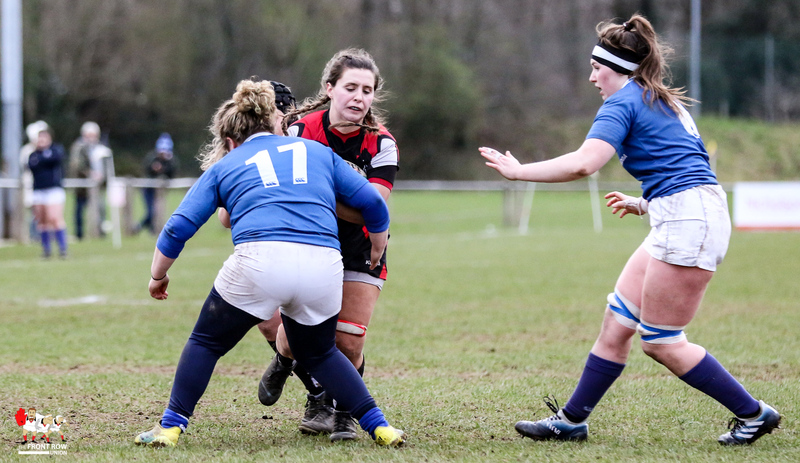 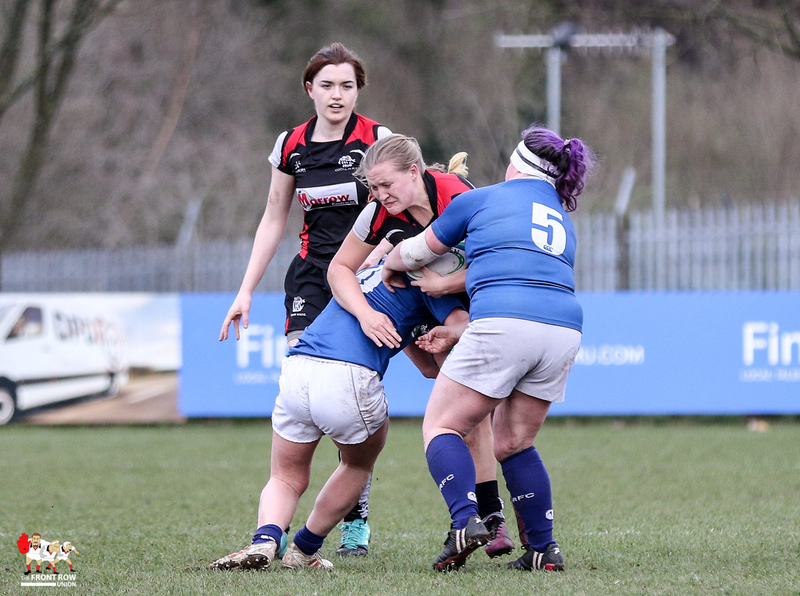 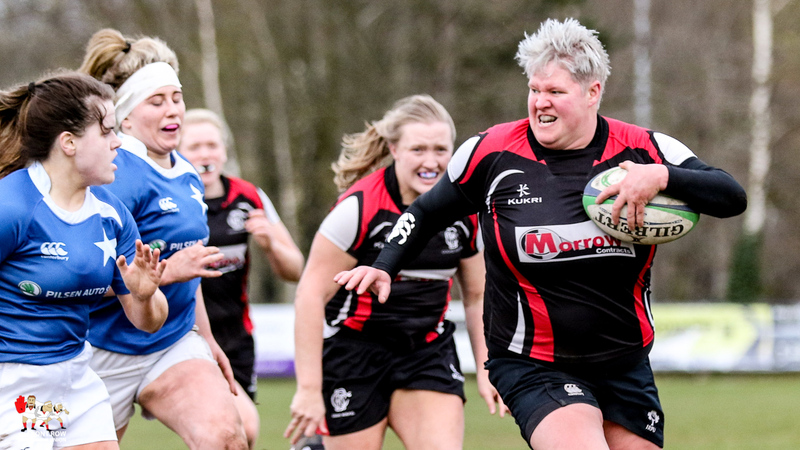 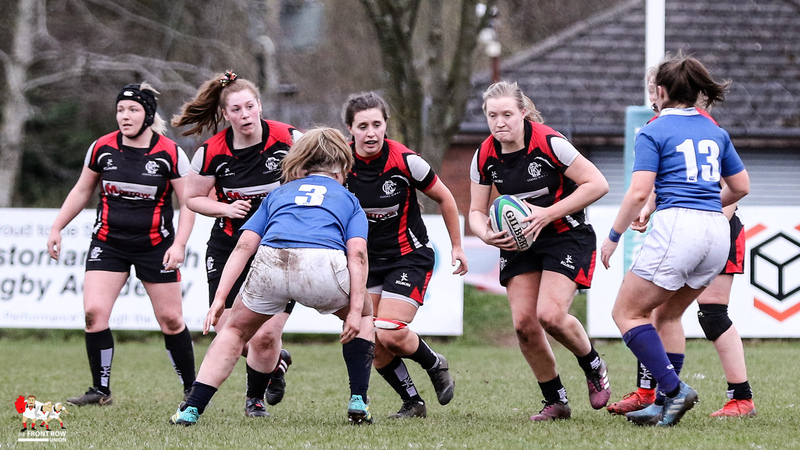 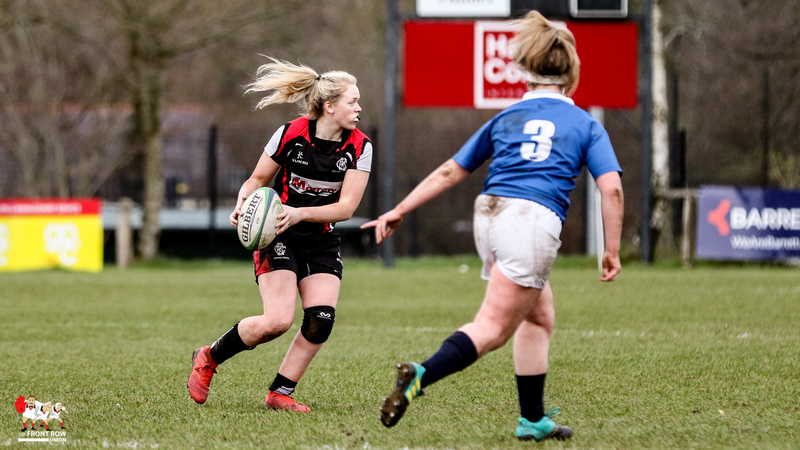 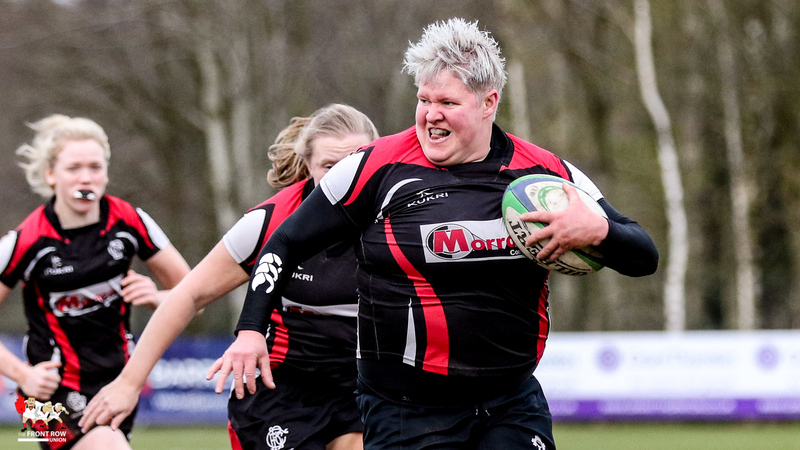 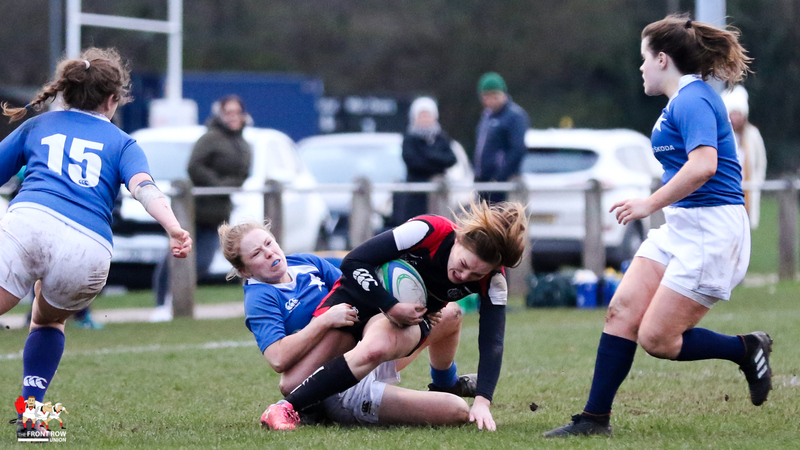 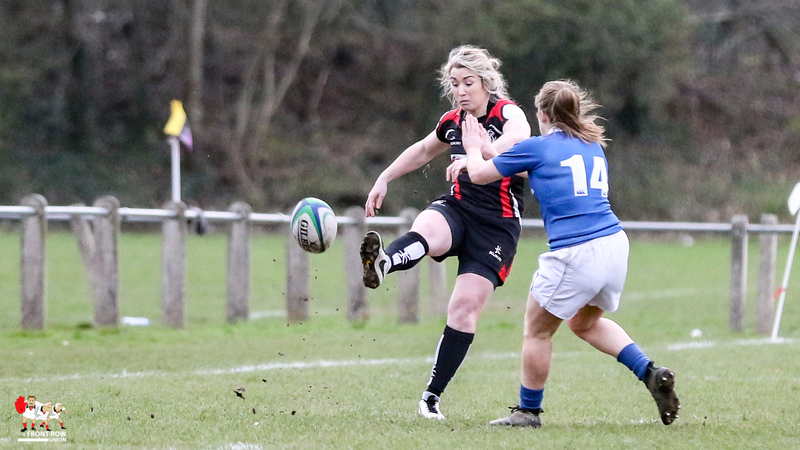 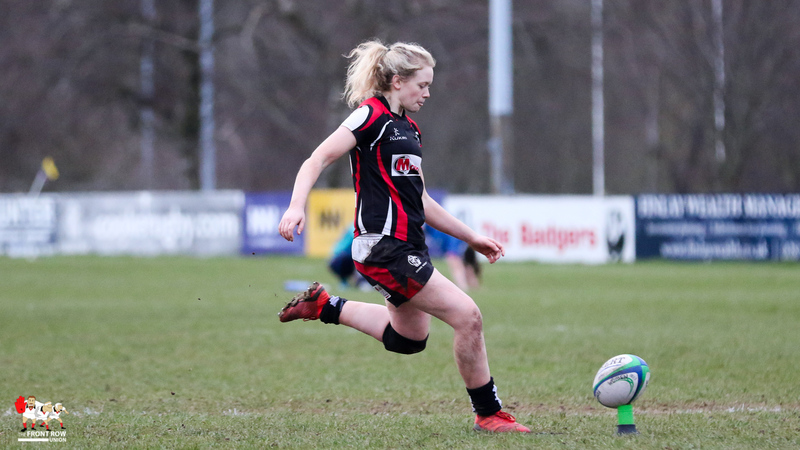 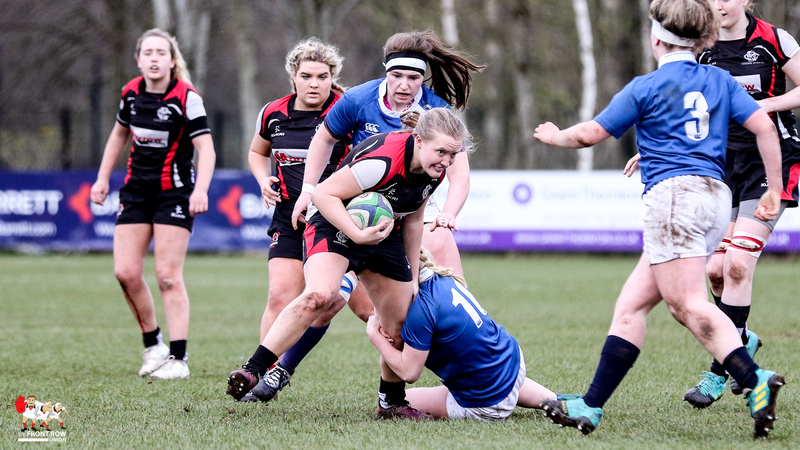 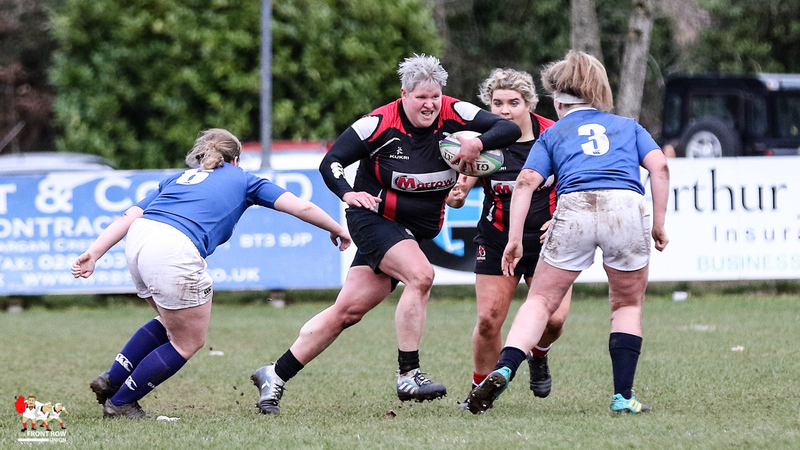 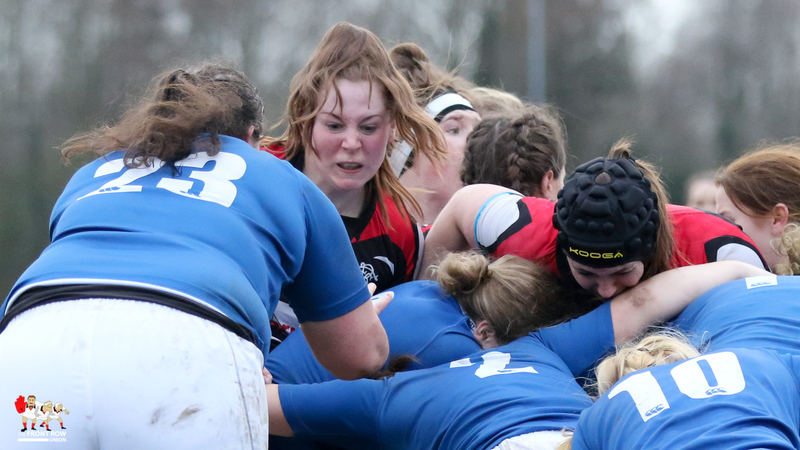 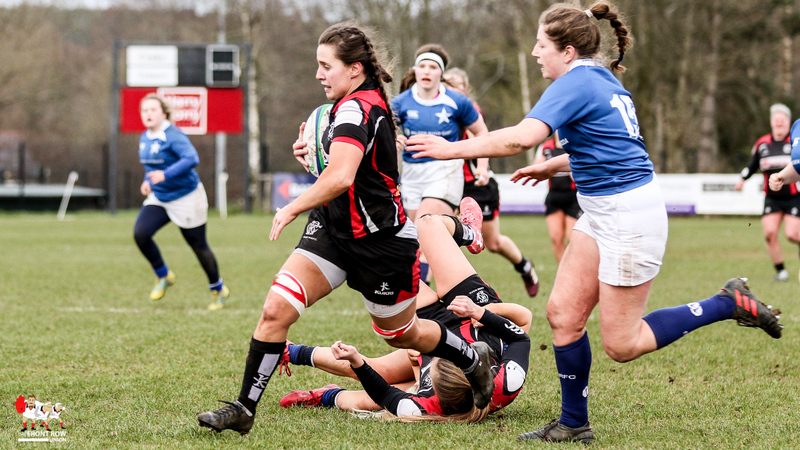 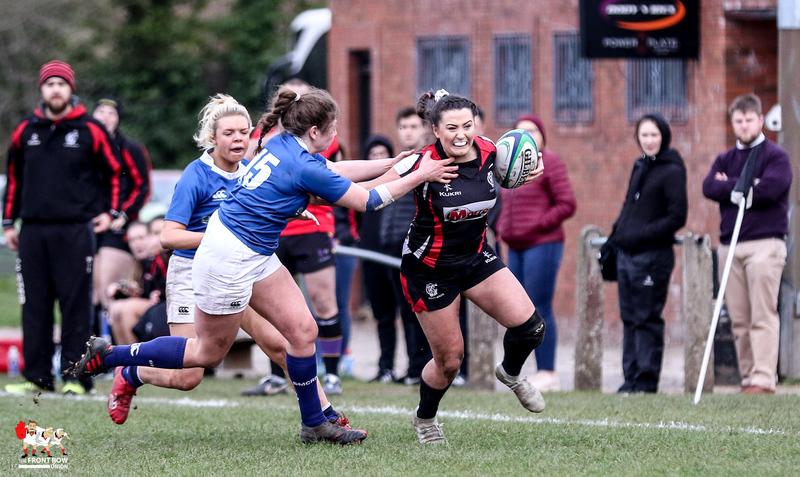 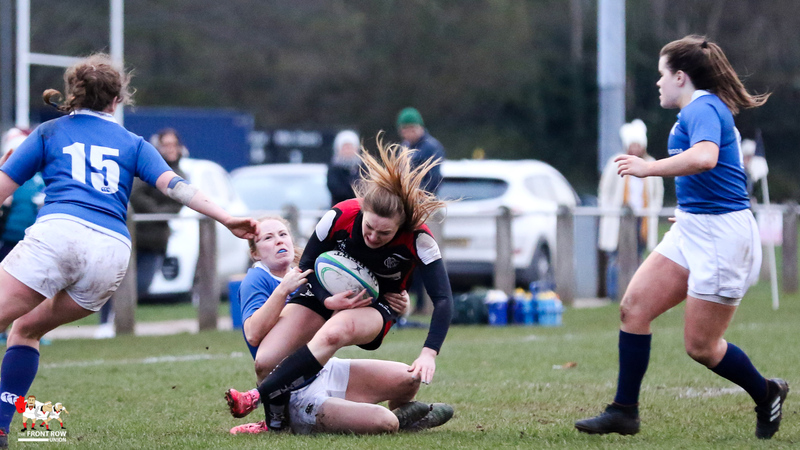 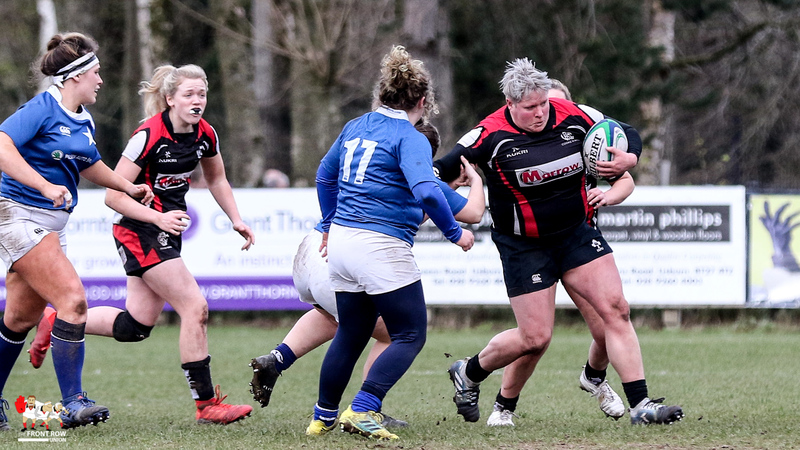 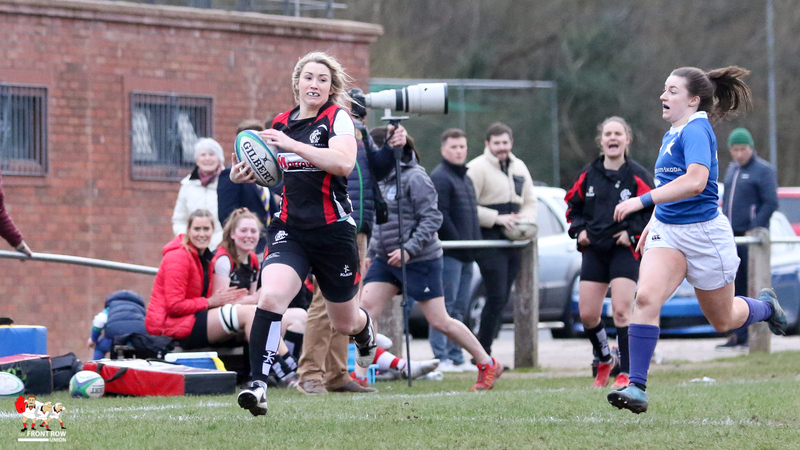 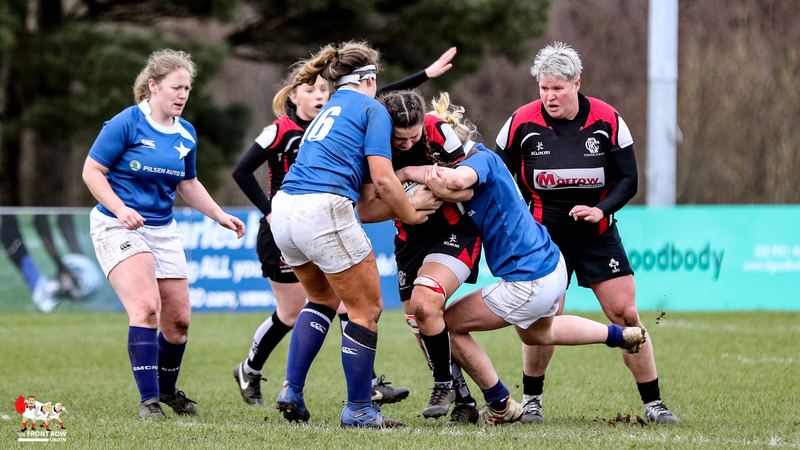 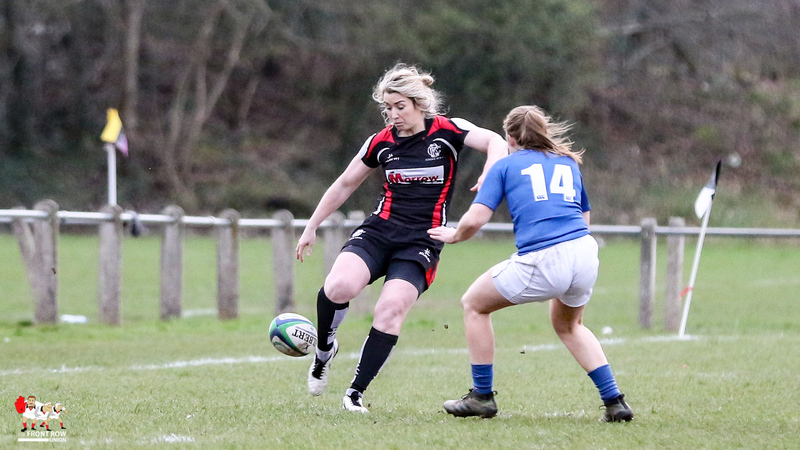 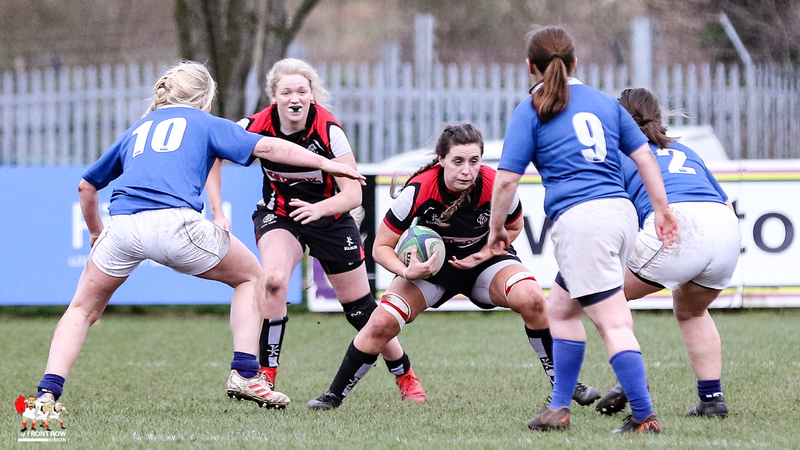 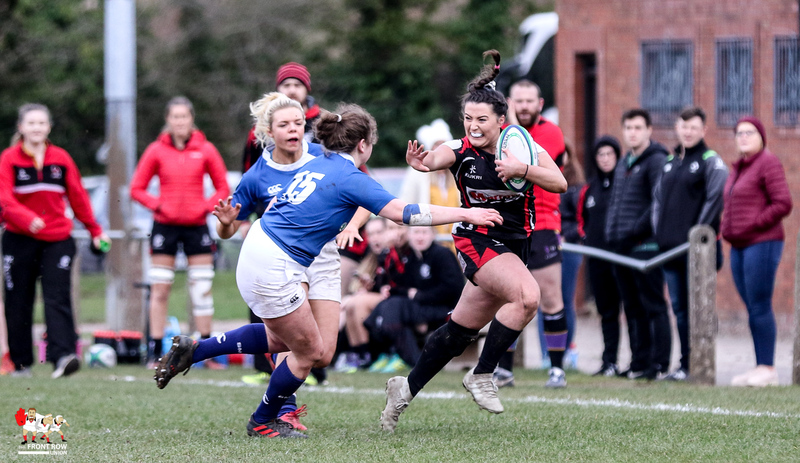 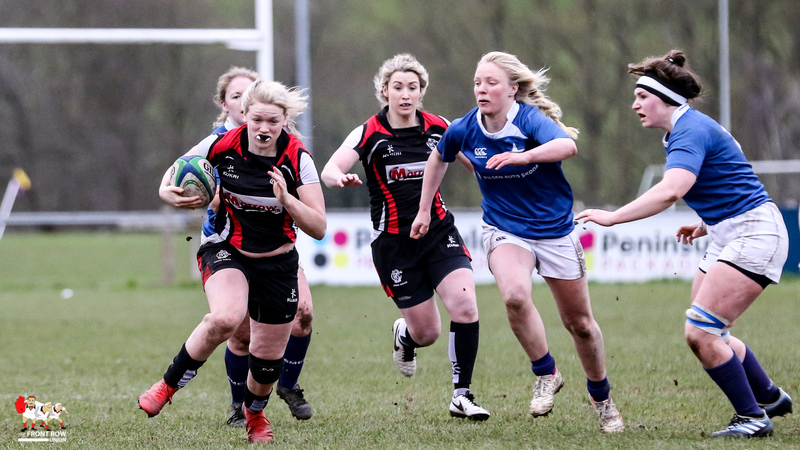 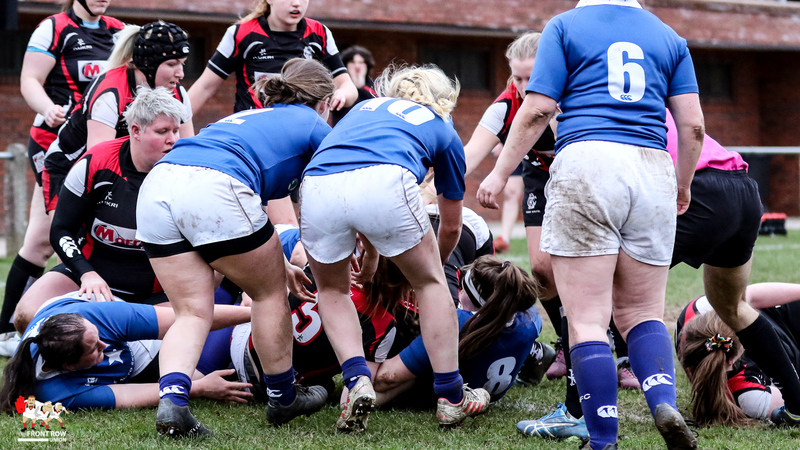 However a series of penalties saw Vicky Irwin stick the pack on the 5 meter line and an impressive maul saw Beth Cregan at the bottom of the heap to claim Cooke’s third. 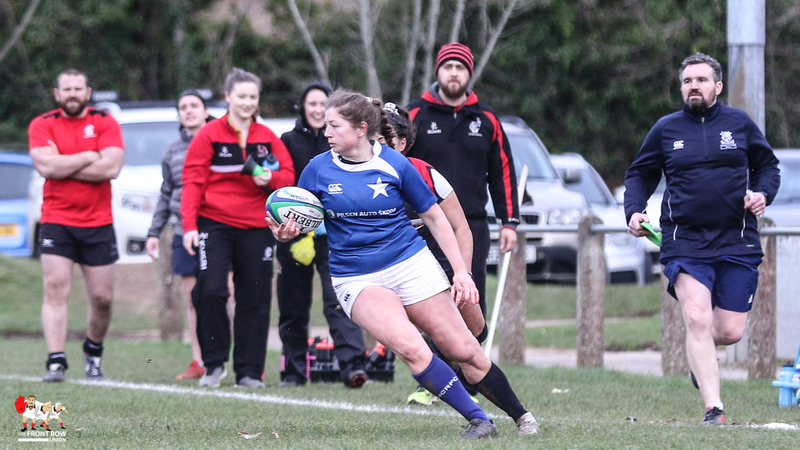 Eliza Downey was next up for Cooke with a fine individual effort as the International player took on all comers down the right wing to finish up under the posts. 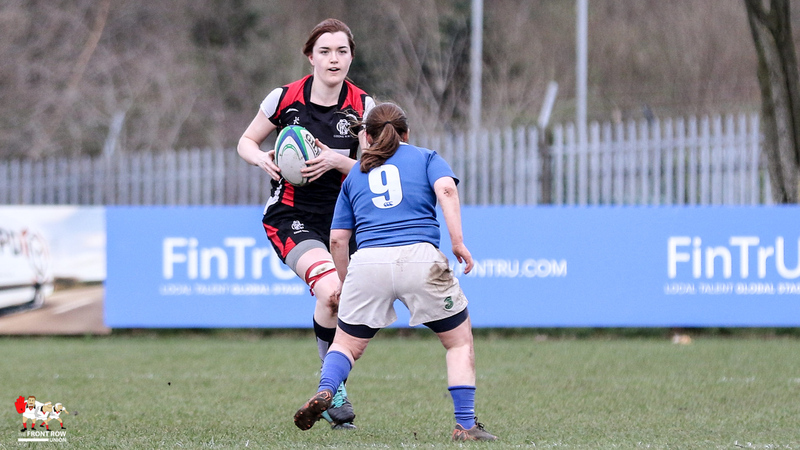 Irwin converted and Cooke had breathing space, and a bonus point, with the score reading 22 – 13. 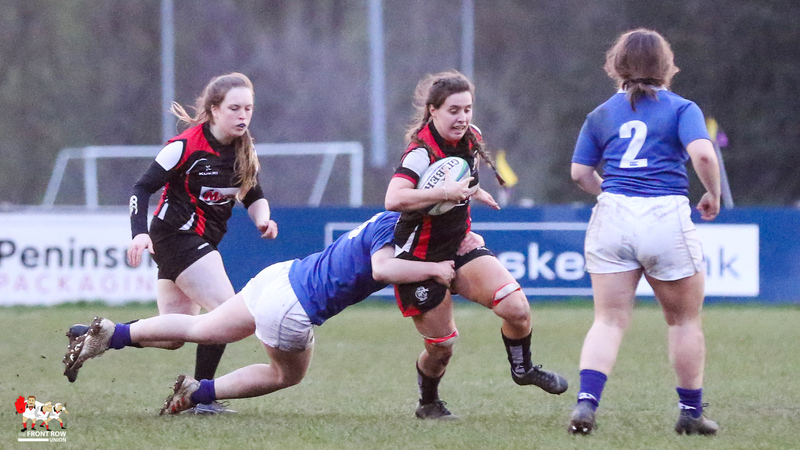 Fittingly though, the hard working, and much improved, St Mary’s side had the final say with a late try from Ciara Scanlan, converted by Duinmeijer to take the final score to Cooke 22 St Mary’s College 20.